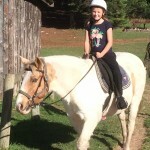 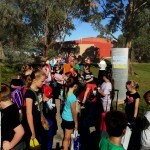 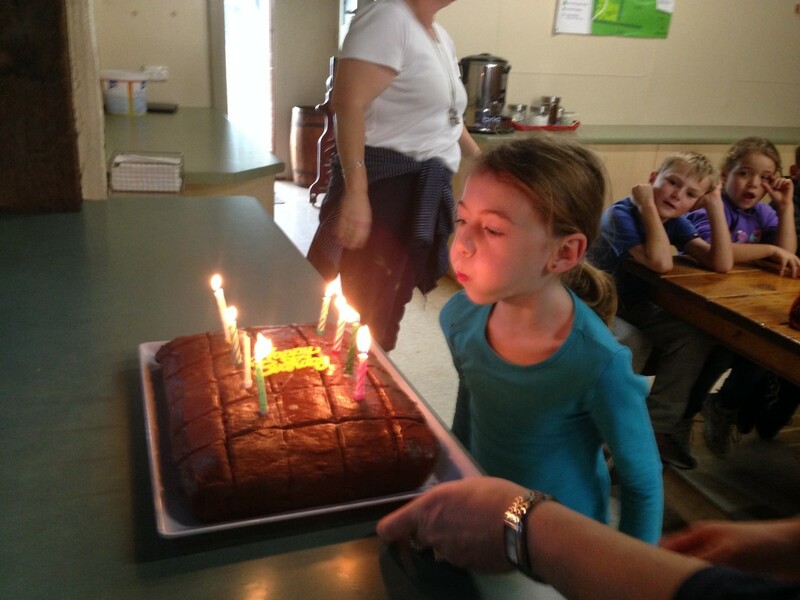 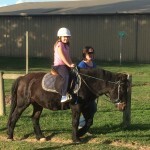 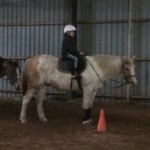 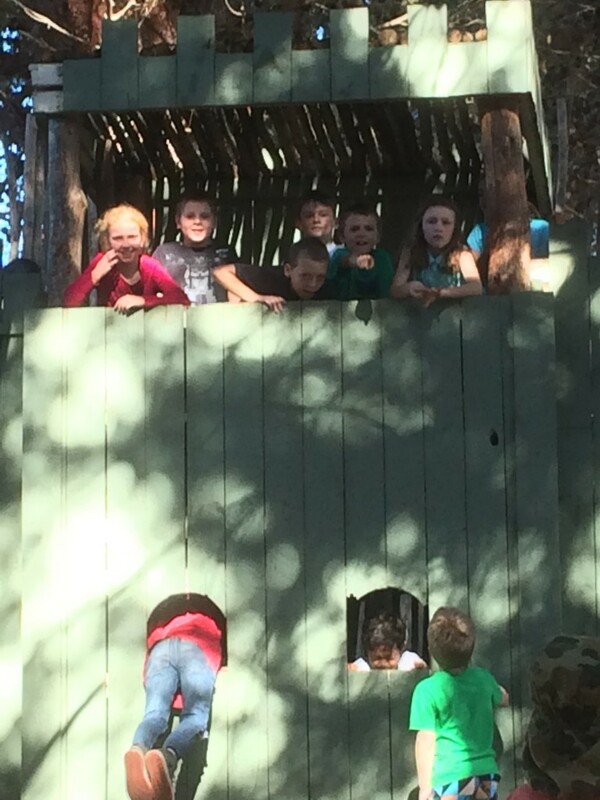 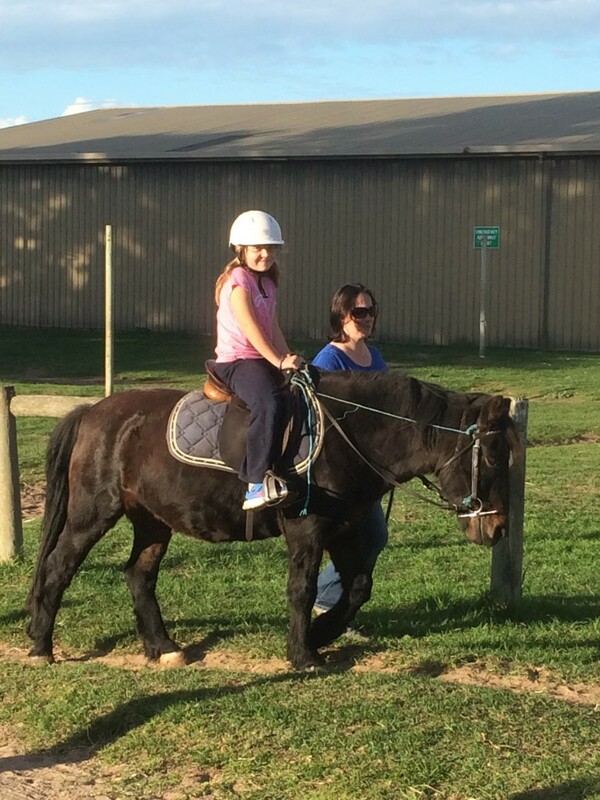 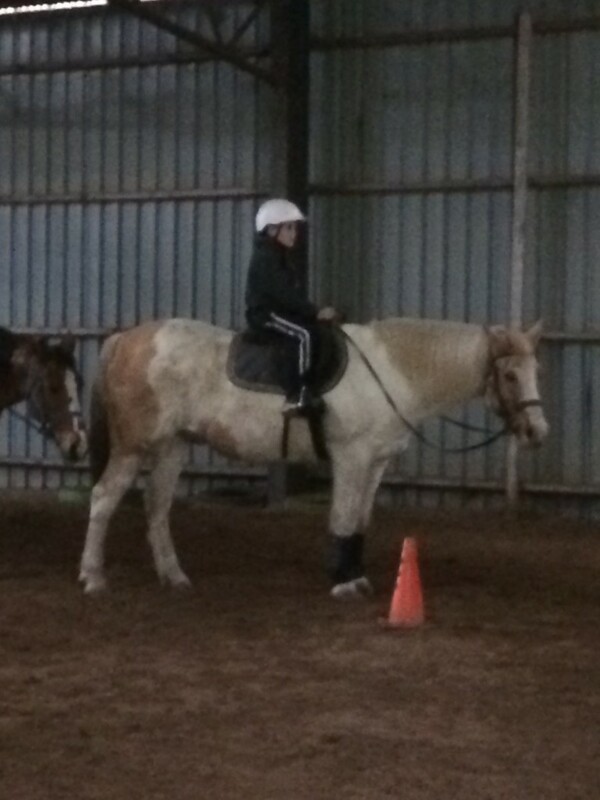 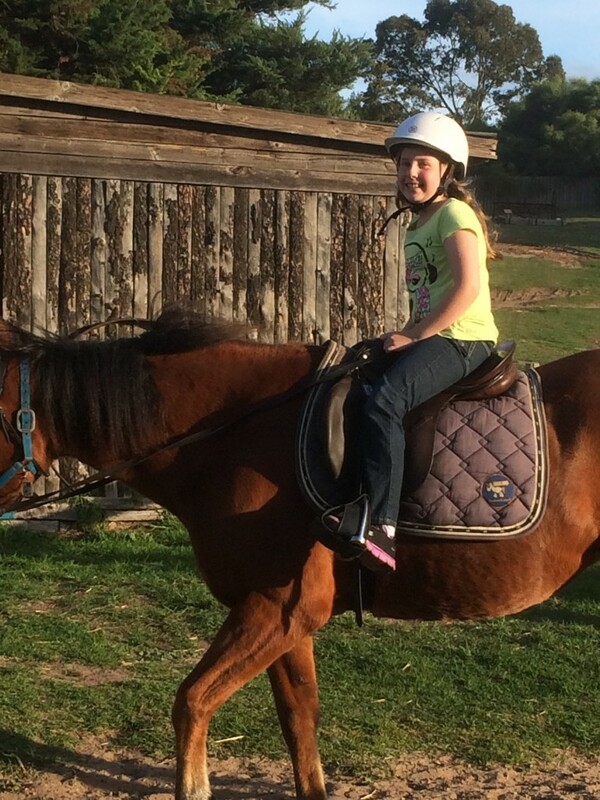 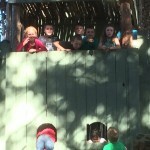 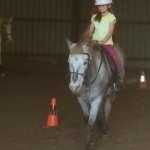 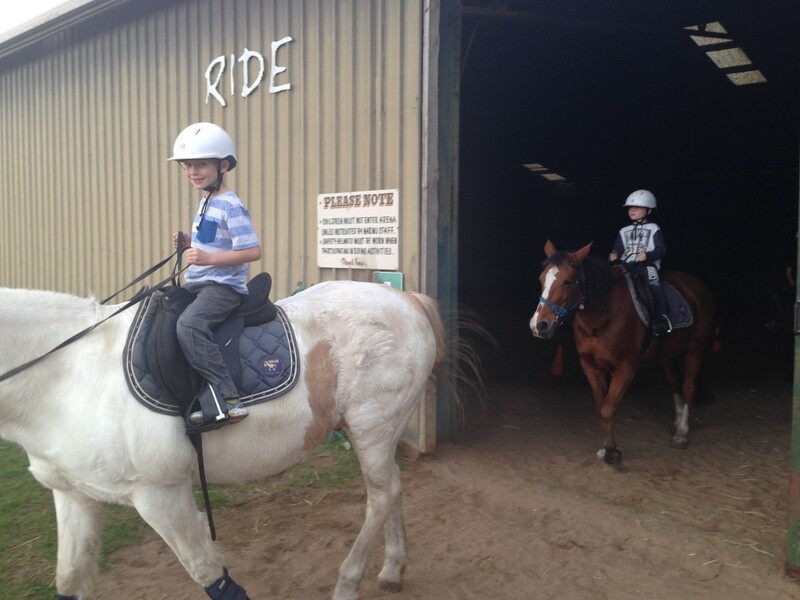 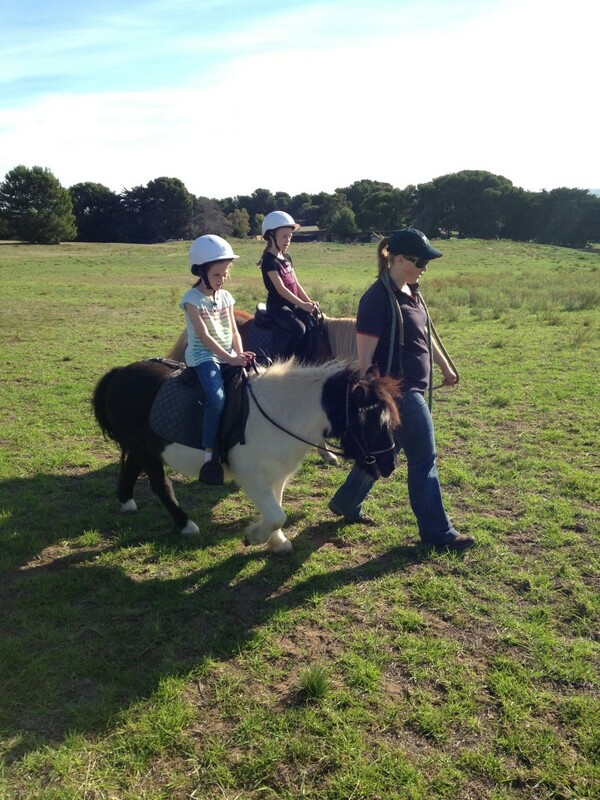 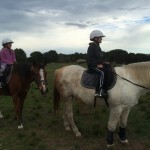 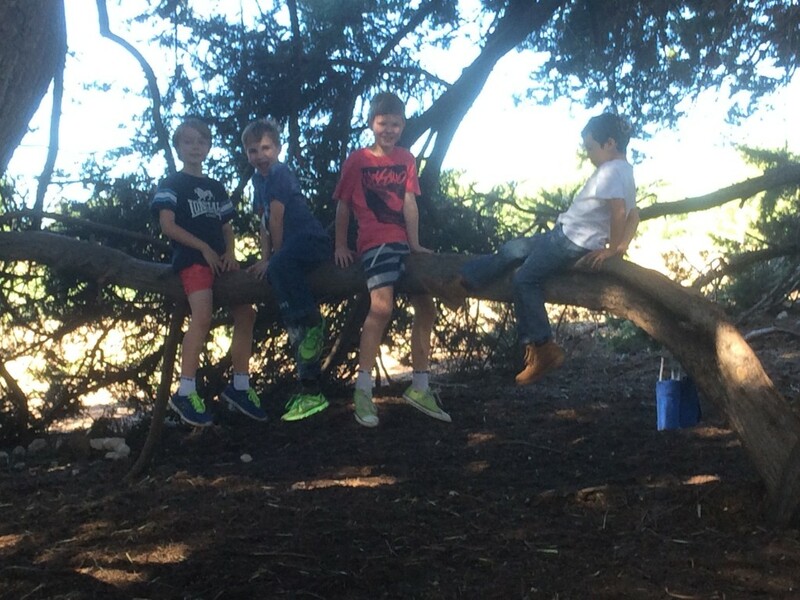 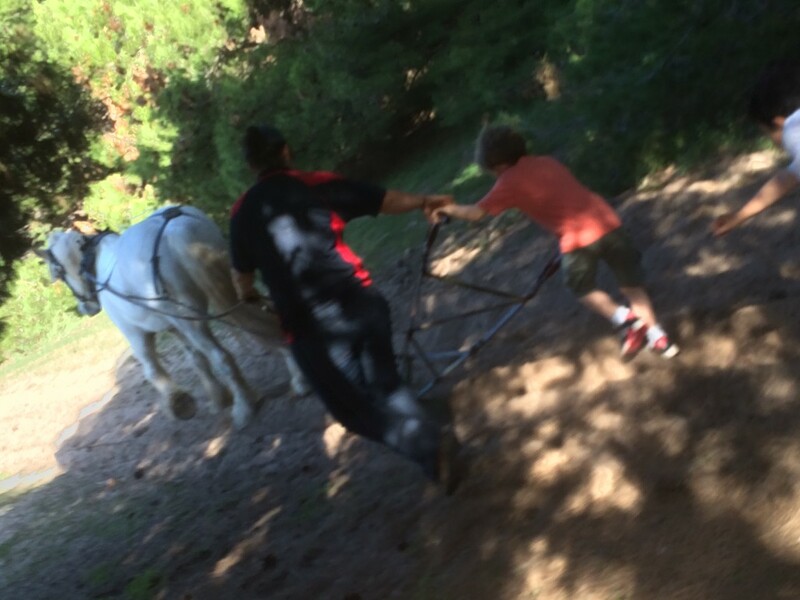 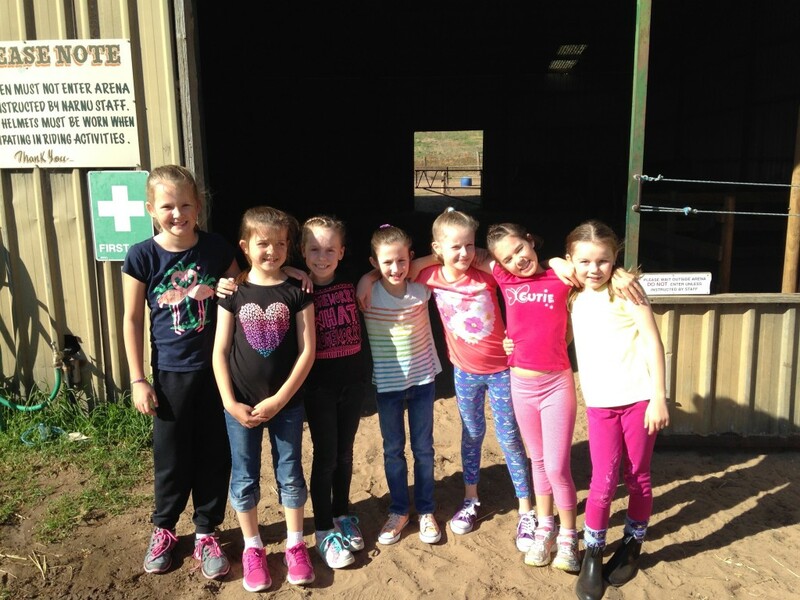 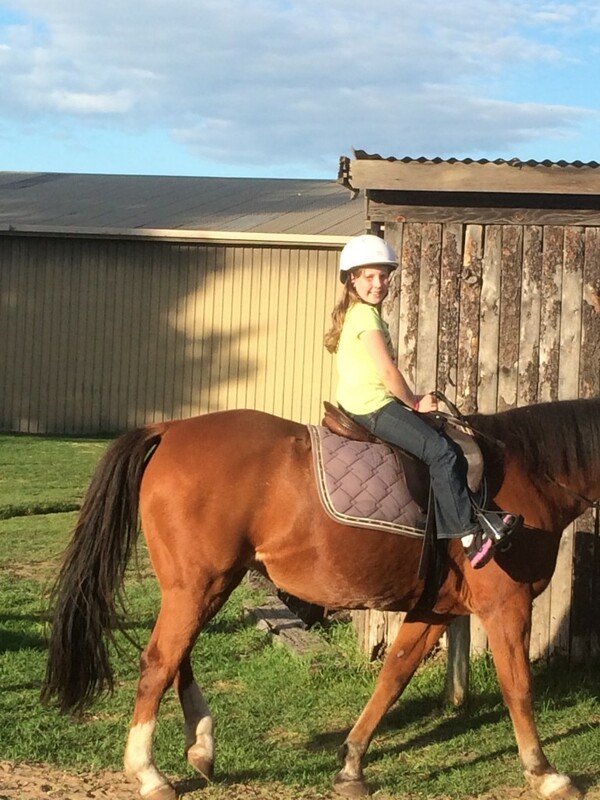 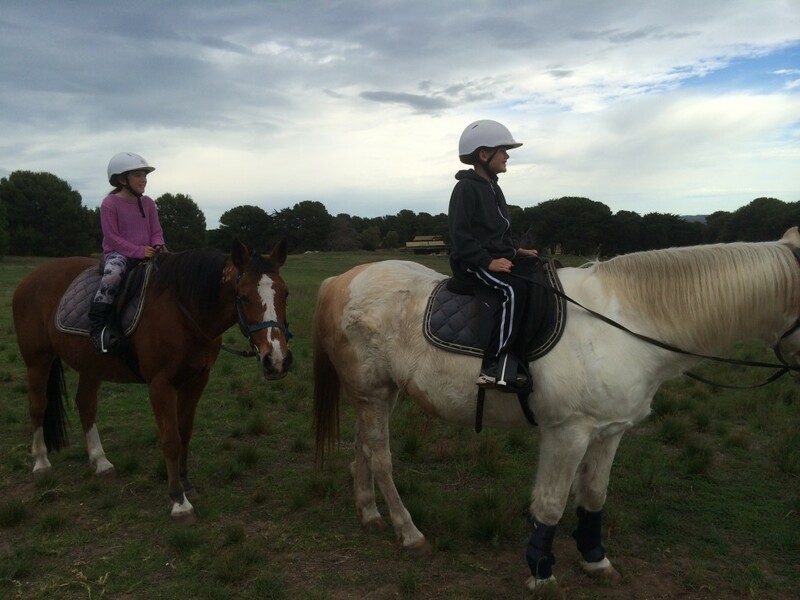 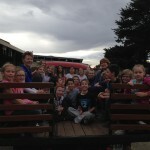 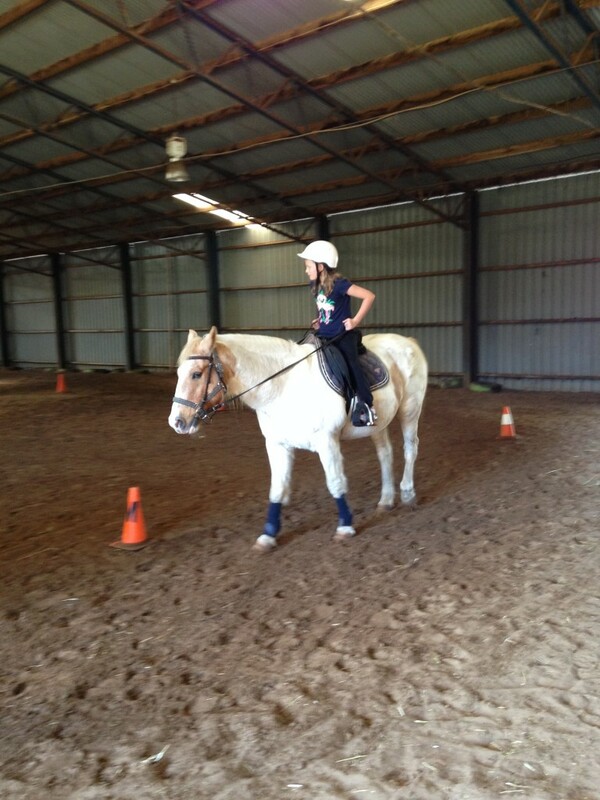 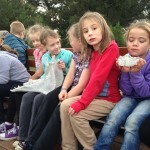 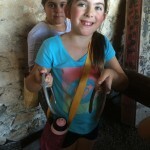 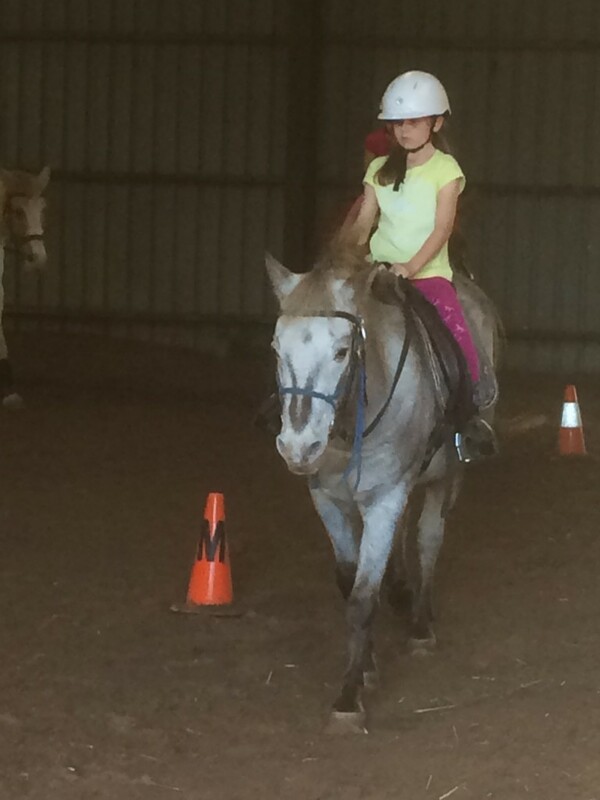 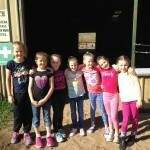 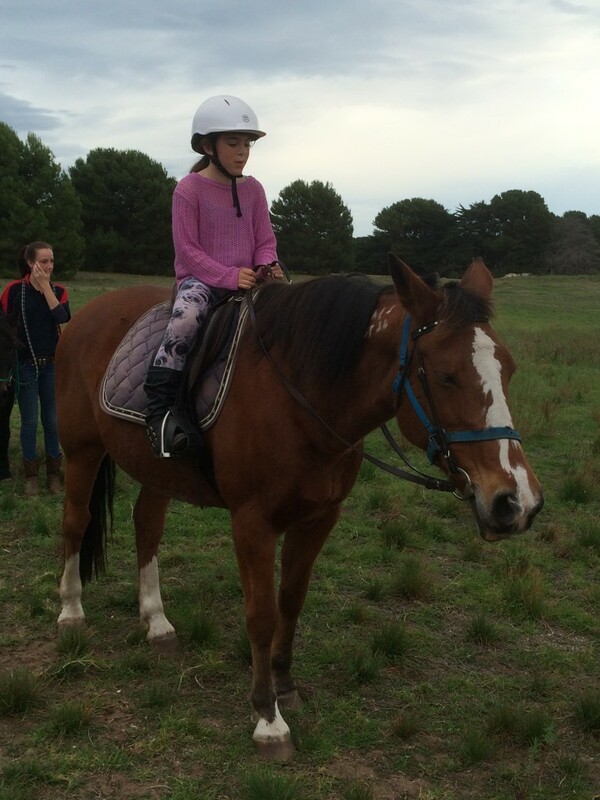 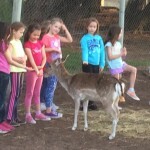 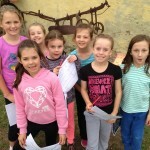 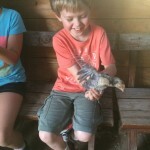 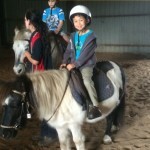 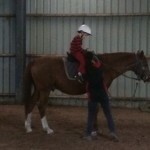 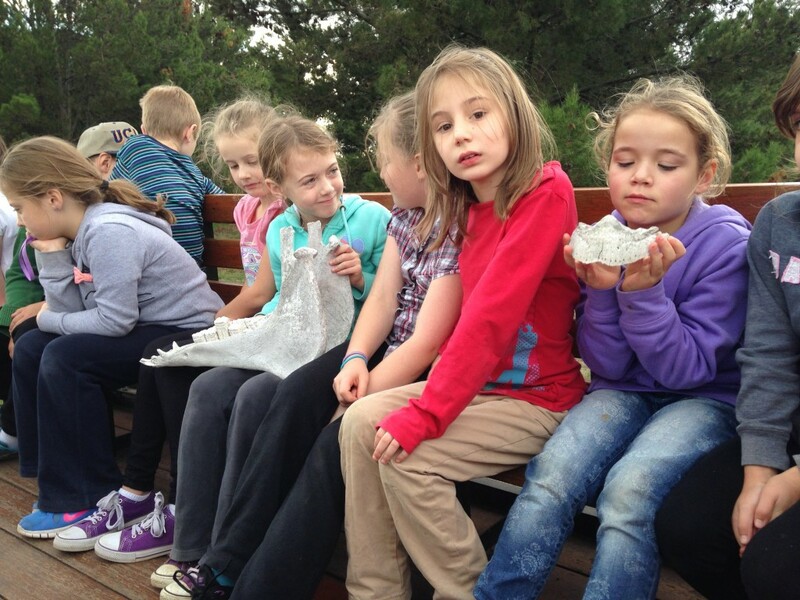 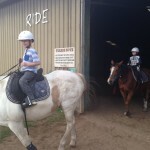 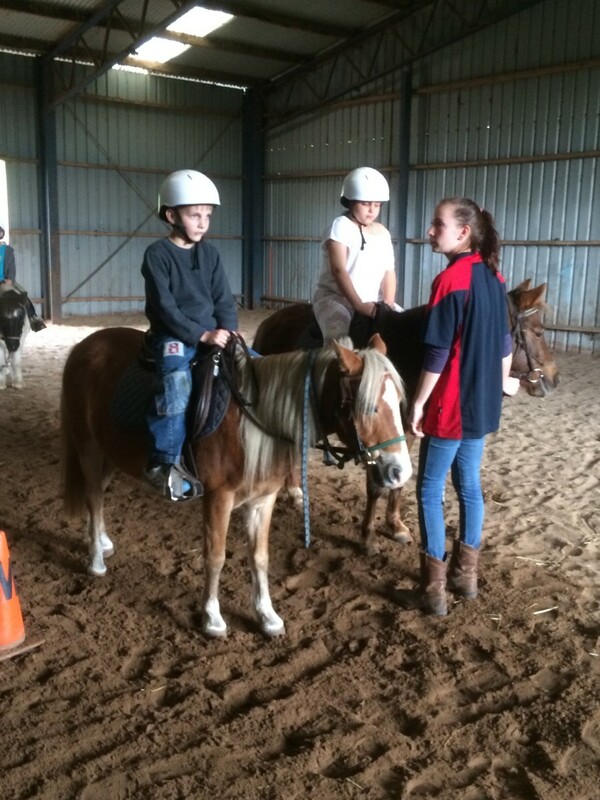 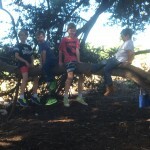 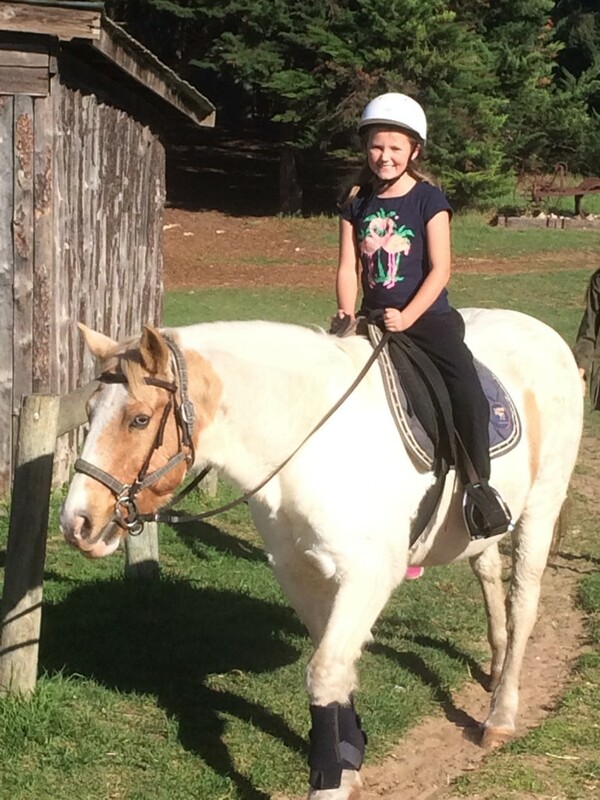 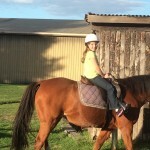 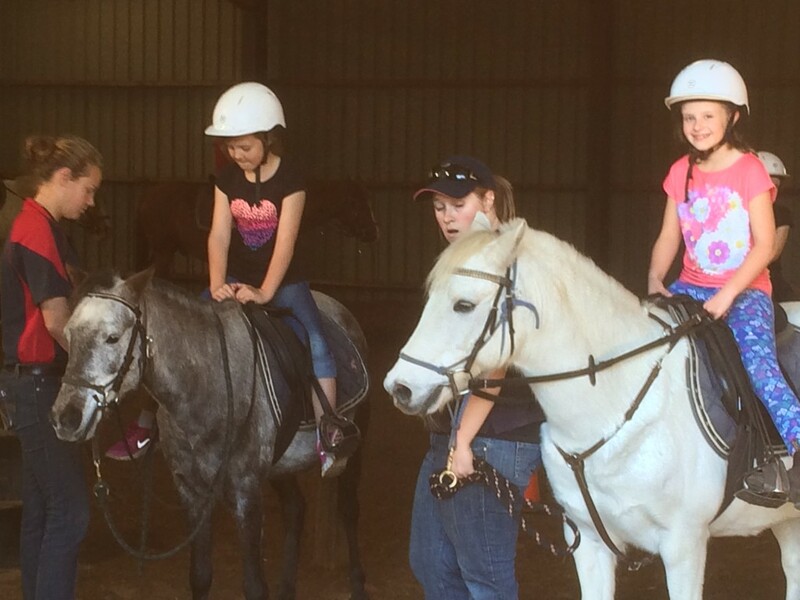 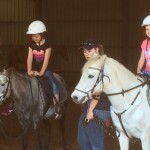 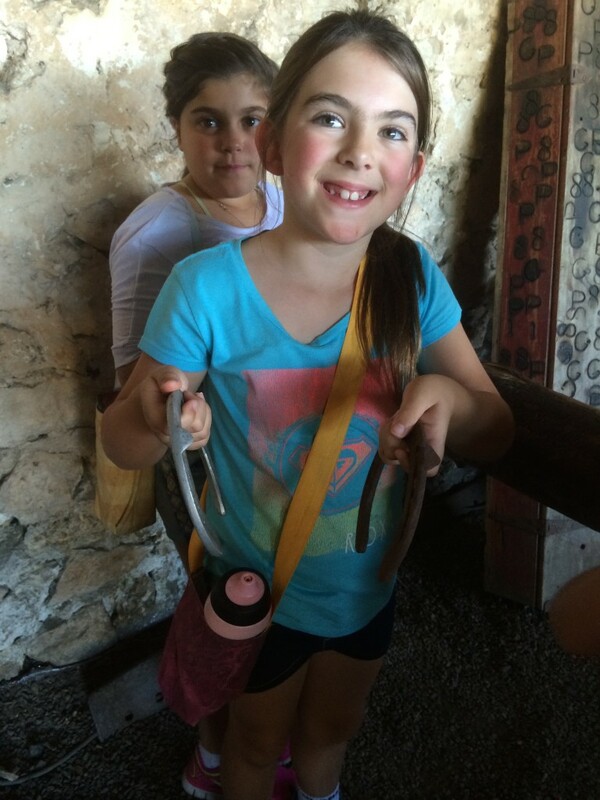 We have really been looking forward to camp and had so much fun the entire time we were away. 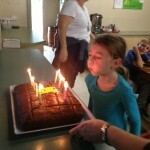 Our days were very busy and we loved sleeping in the bunkhouse and cottage. 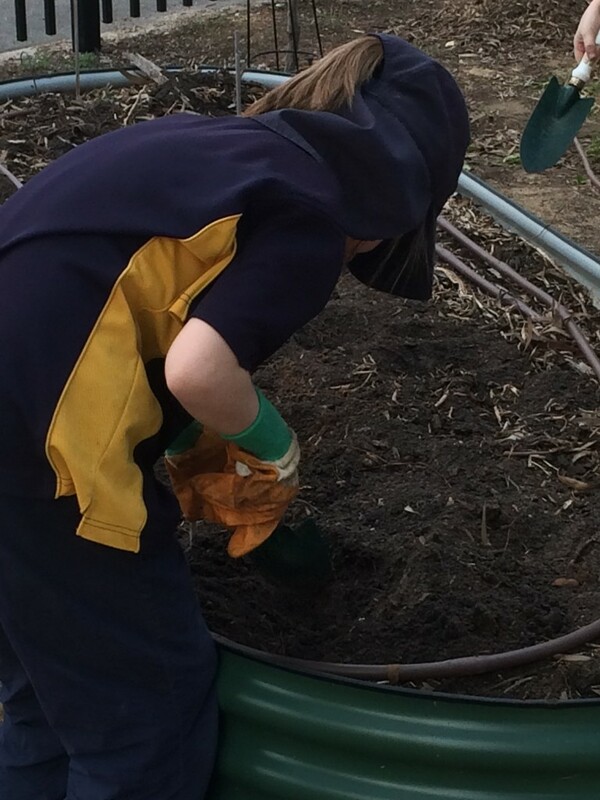 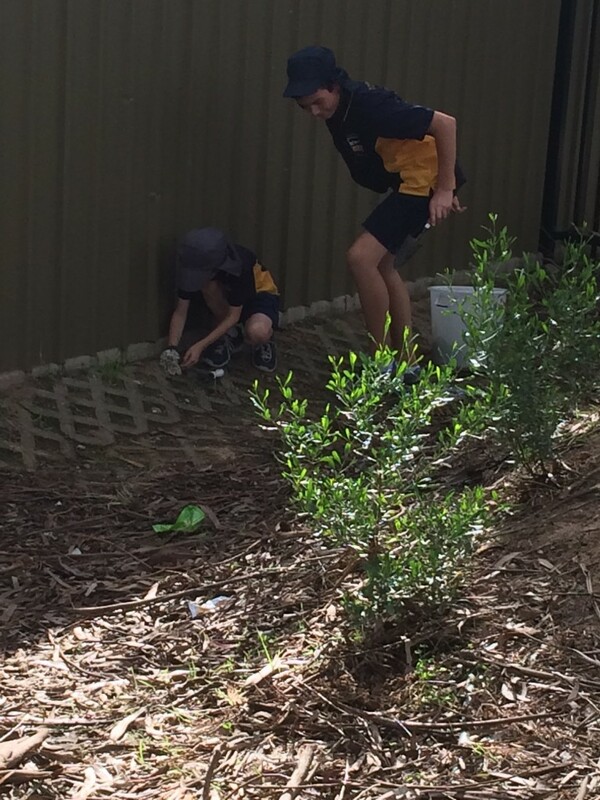 Last Friday was the perfect weather to be out in our ELC for a spot of gardening. 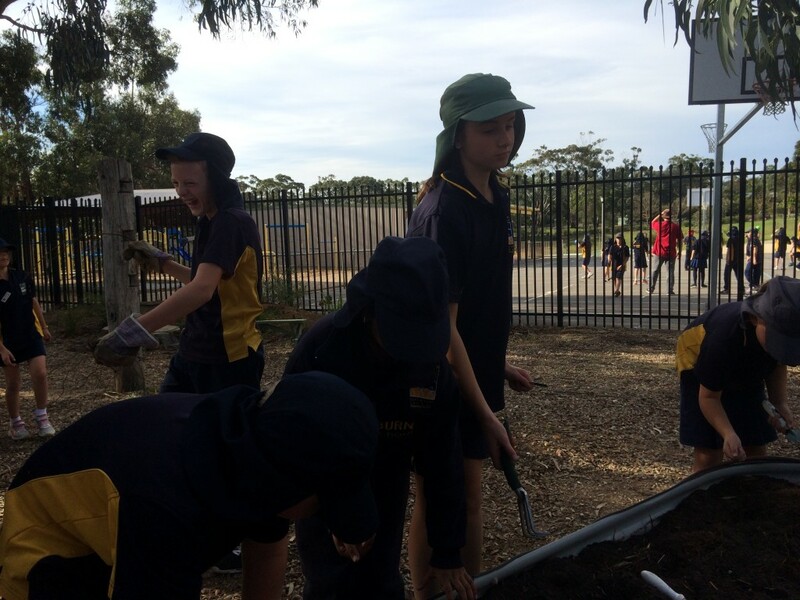 We gardened with our big buddies from Miss Hollitt’s class. 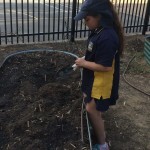 We went out for about an hour and planted four different Winter vegetables. 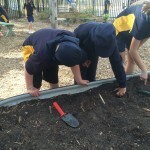 We planted cabbage, cauliflower, beans and peas. 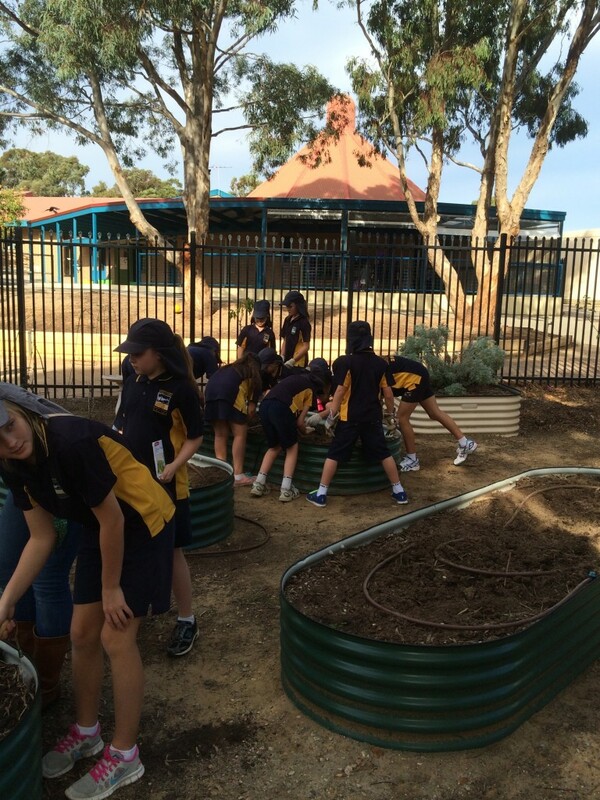 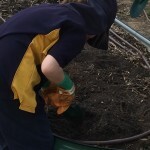 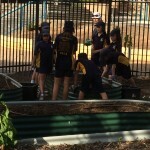 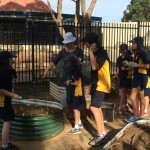 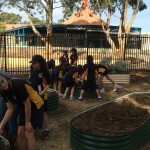 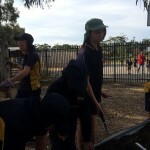 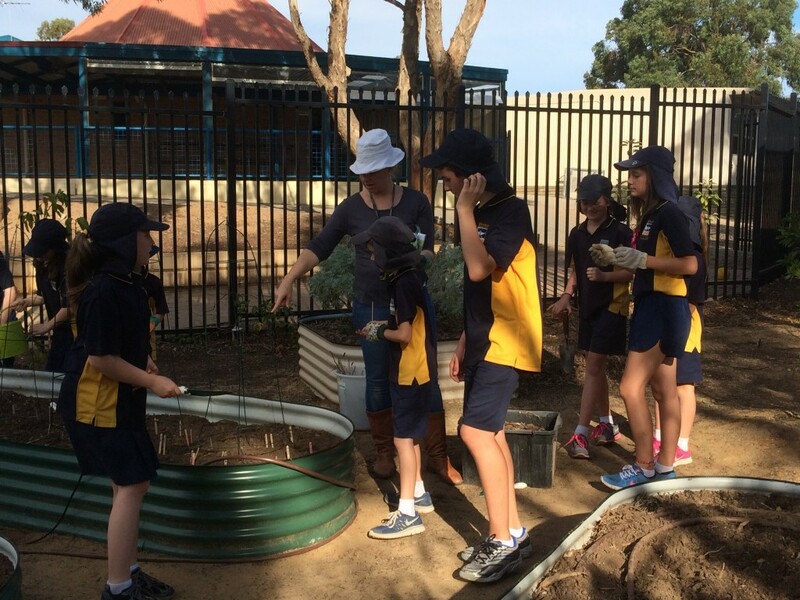 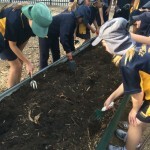 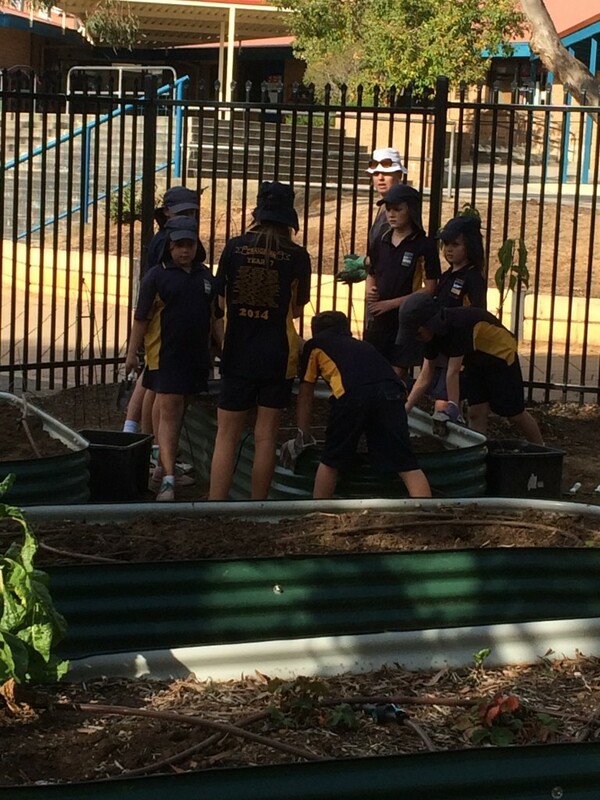 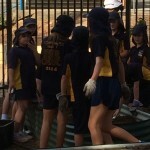 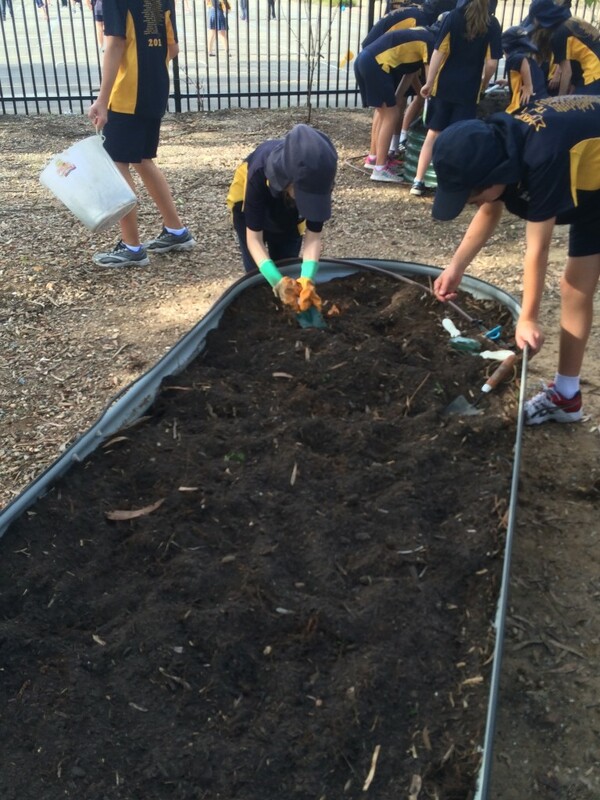 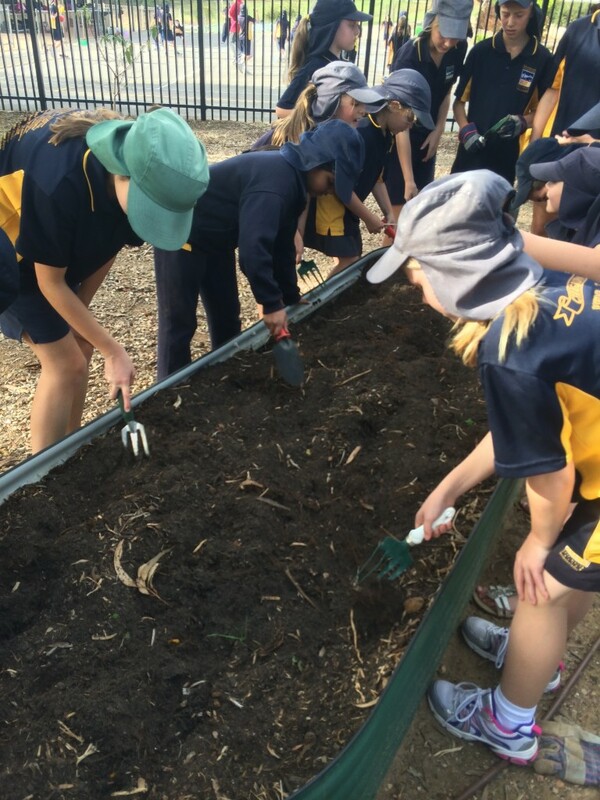 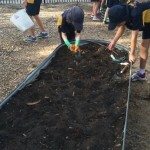 We started by doing some weeding in the garden area, dug the garden beds over and then planted our seeds. 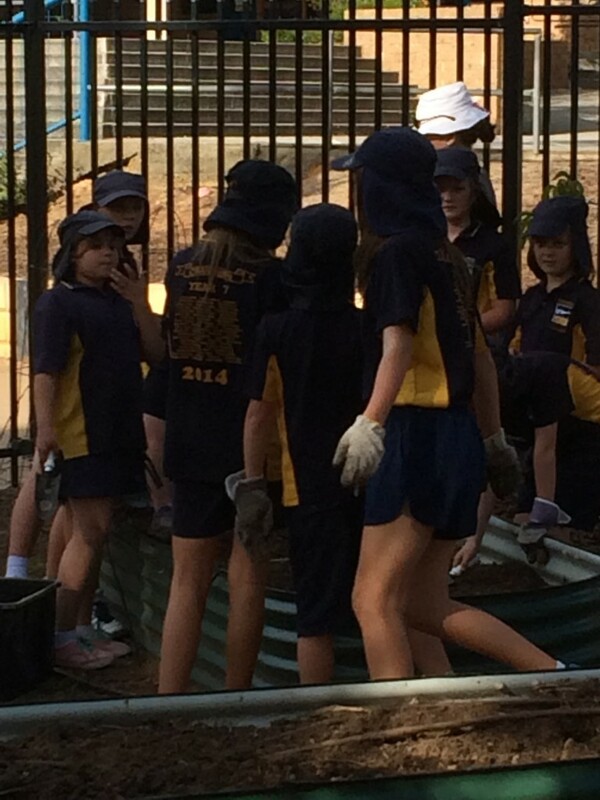 After we’d finished planting all of the seeds we watered them in thoroughly. 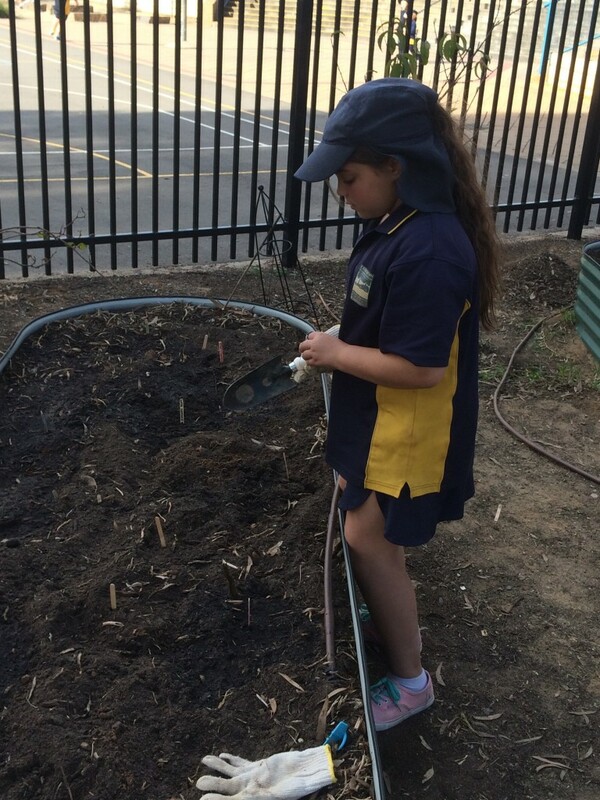 We’re really looking forward to watching our veggies growing over the Winter months. 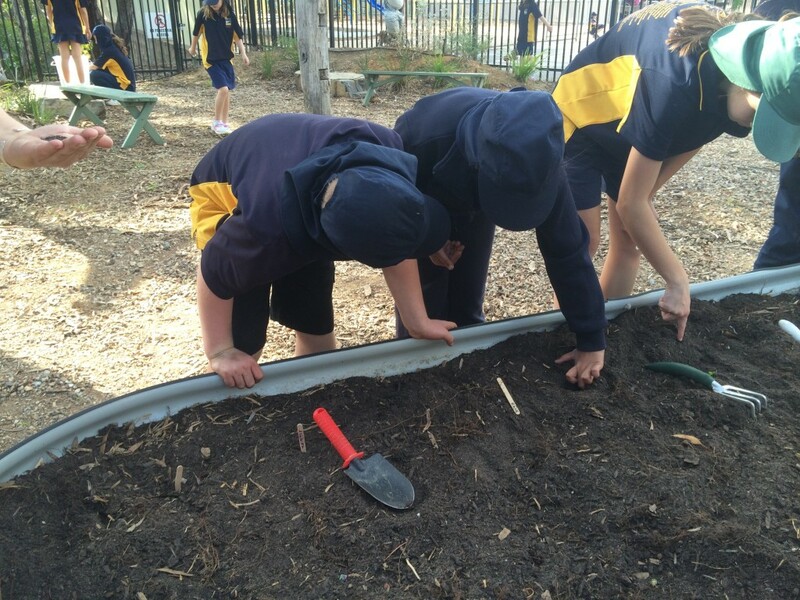 Stay tuned for photos of our garden growing. 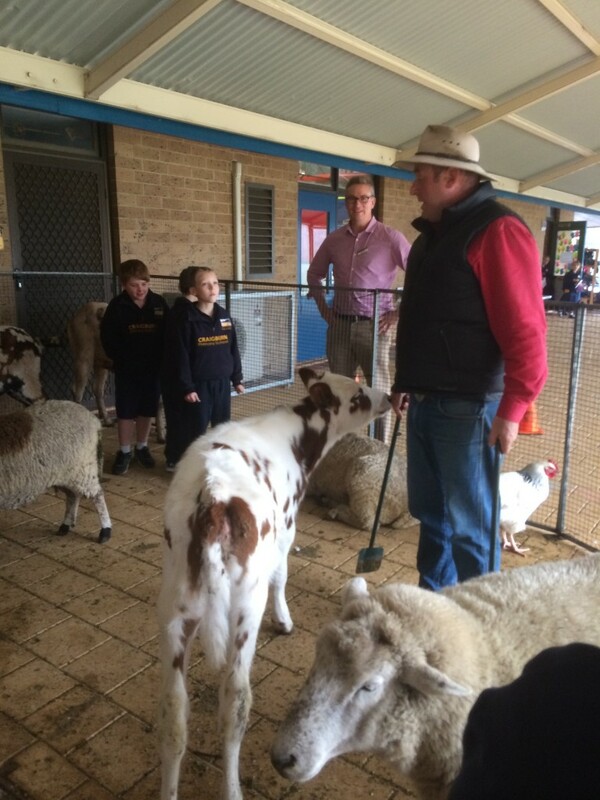 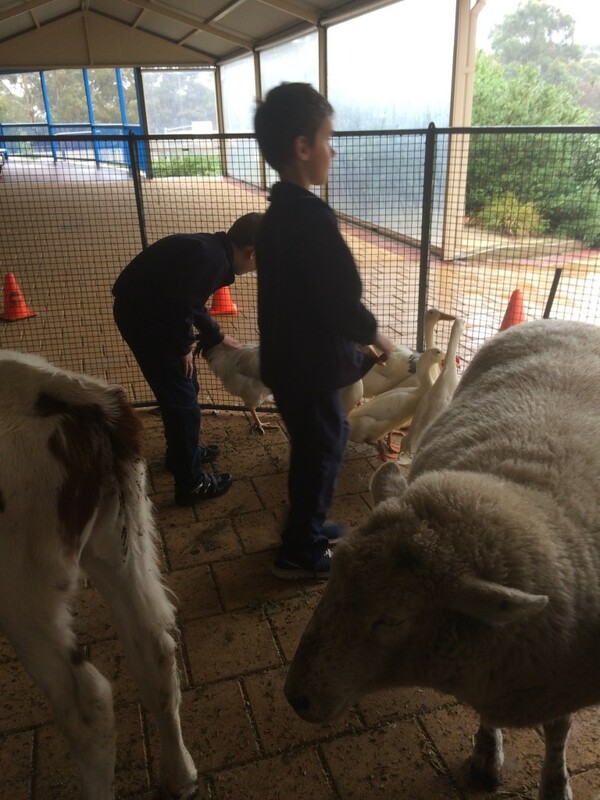 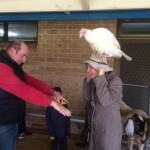 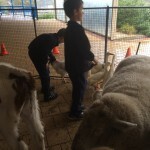 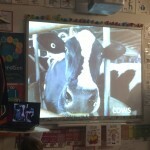 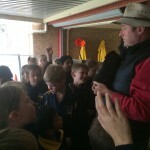 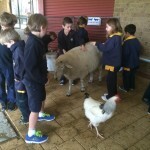 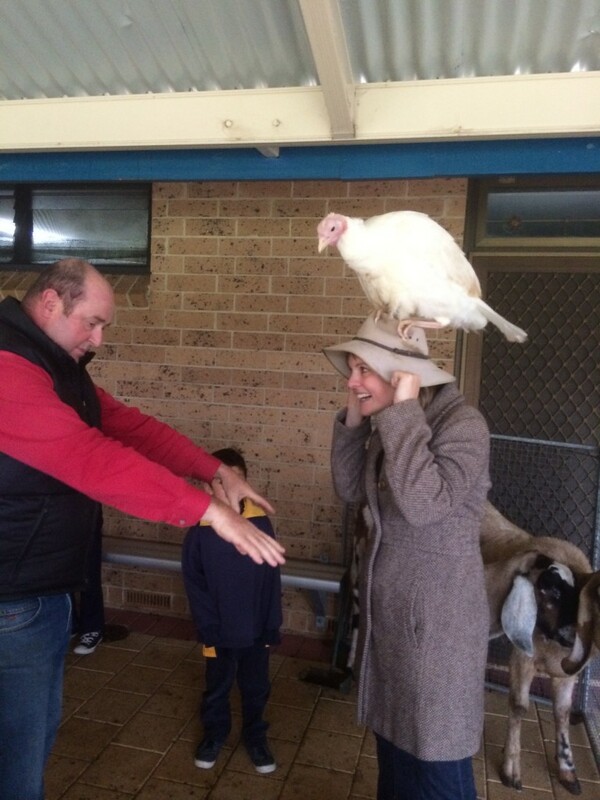 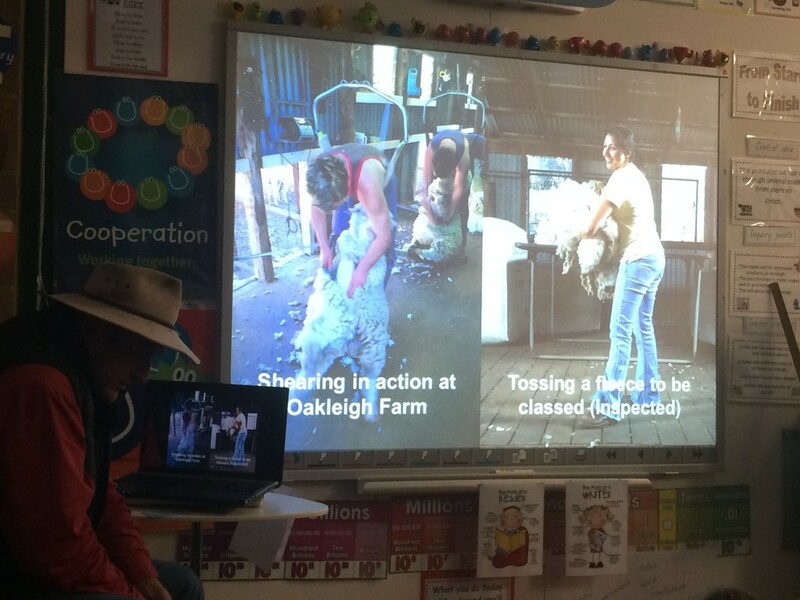 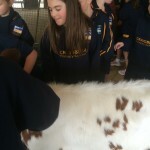 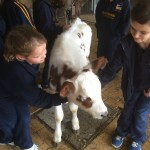 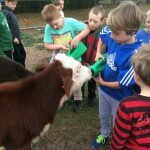 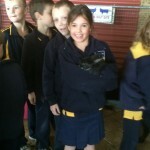 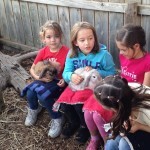 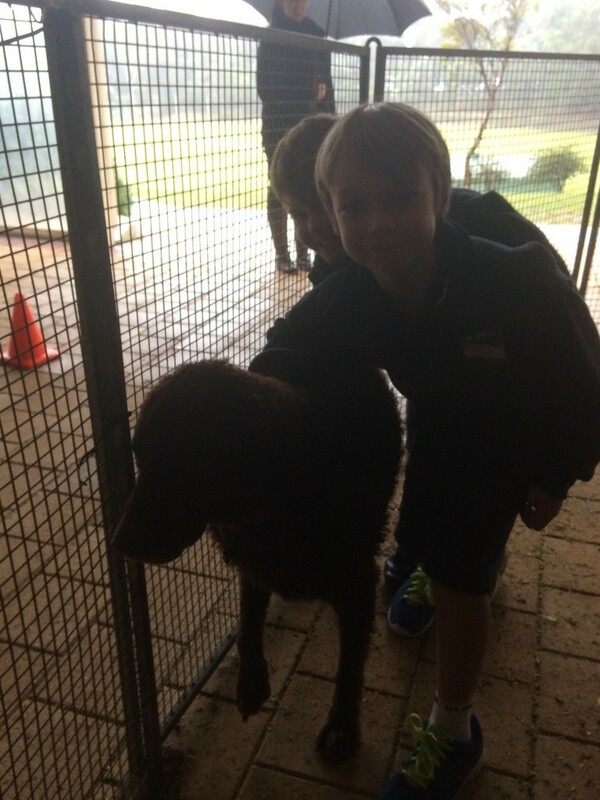 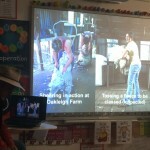 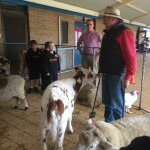 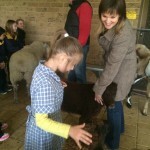 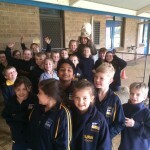 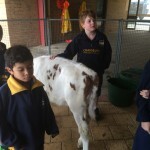 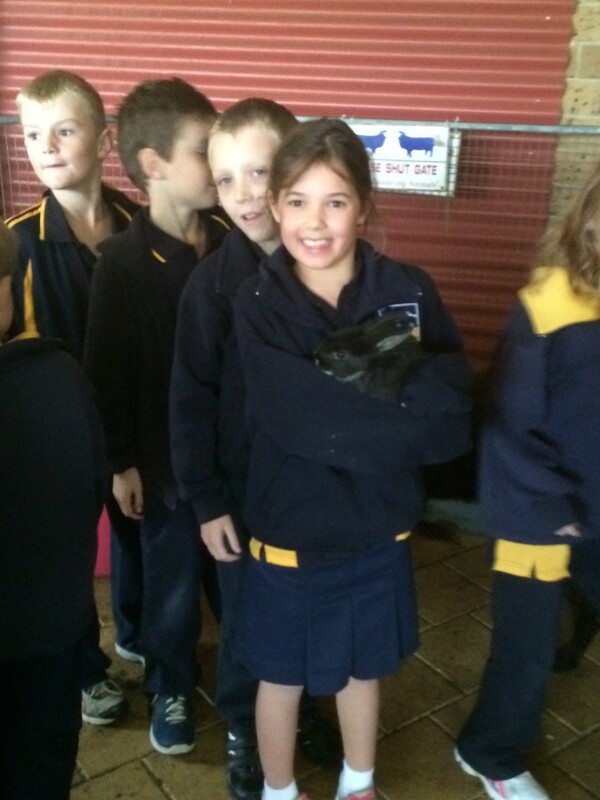 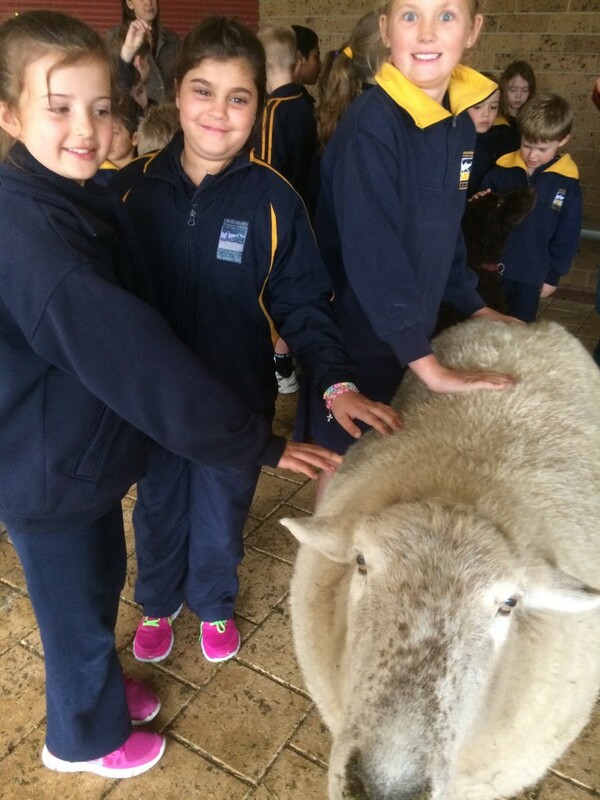 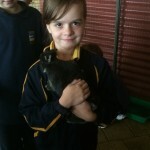 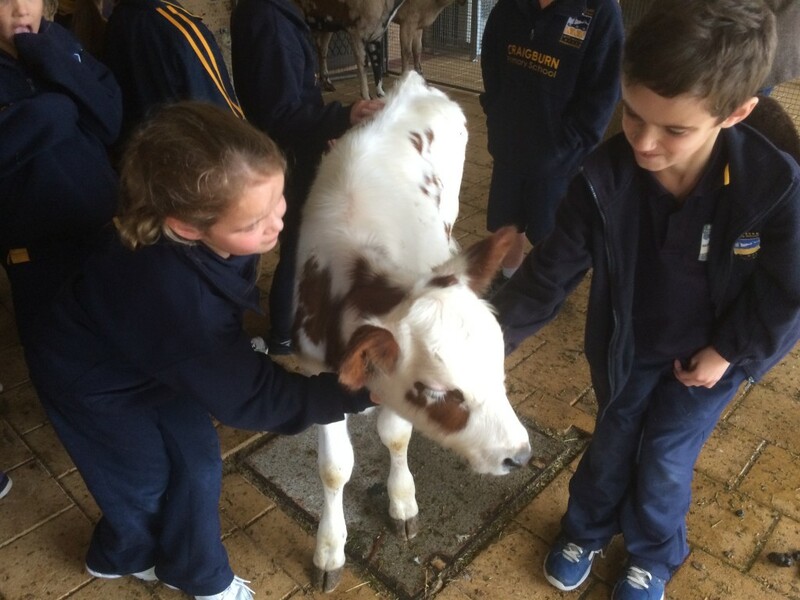 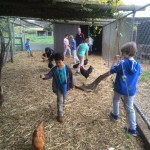 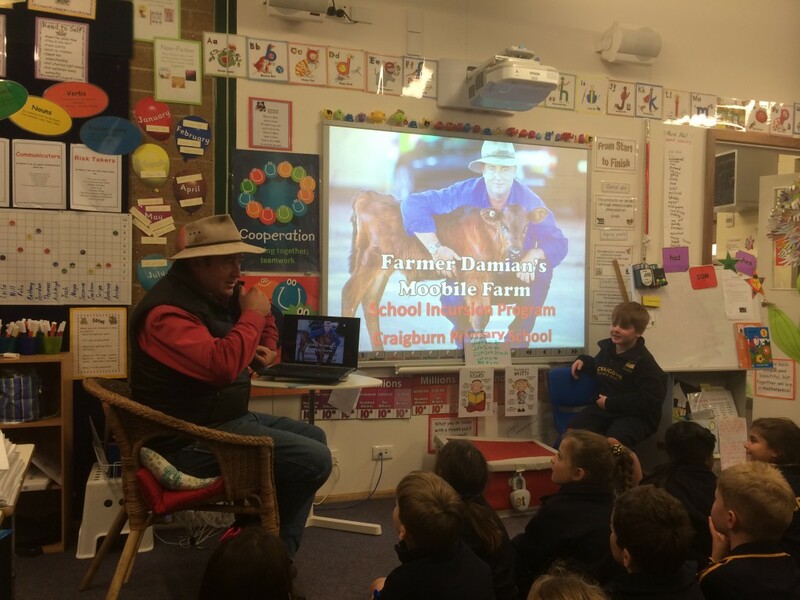 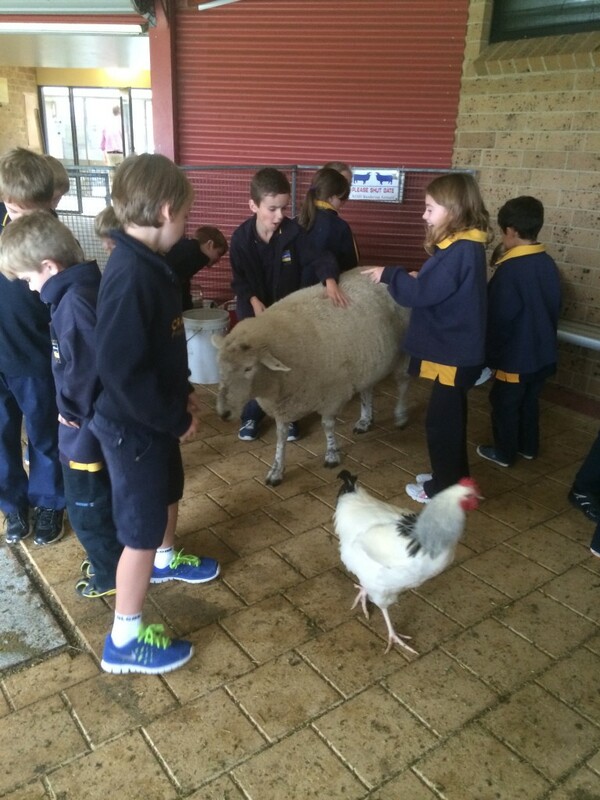 Last Friday Farmer Damien visited four classes in our school. 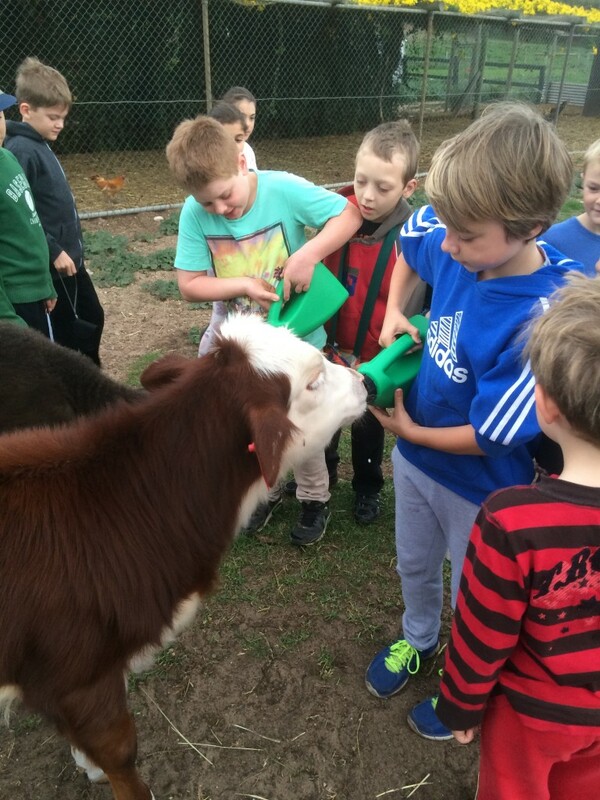 The title of his visit is From Farm to Plate and fits perfectly with our inquiry topic because we are learning about how items are changed from their raw state to a processed item. 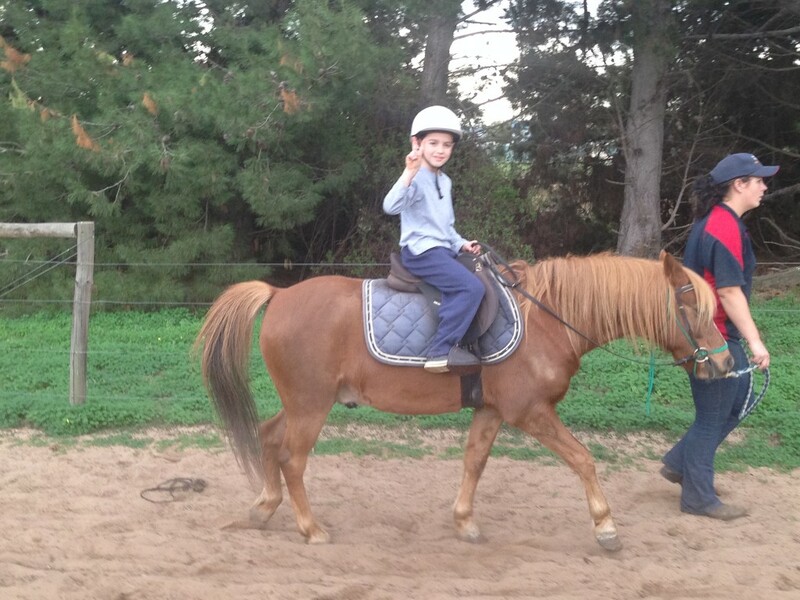 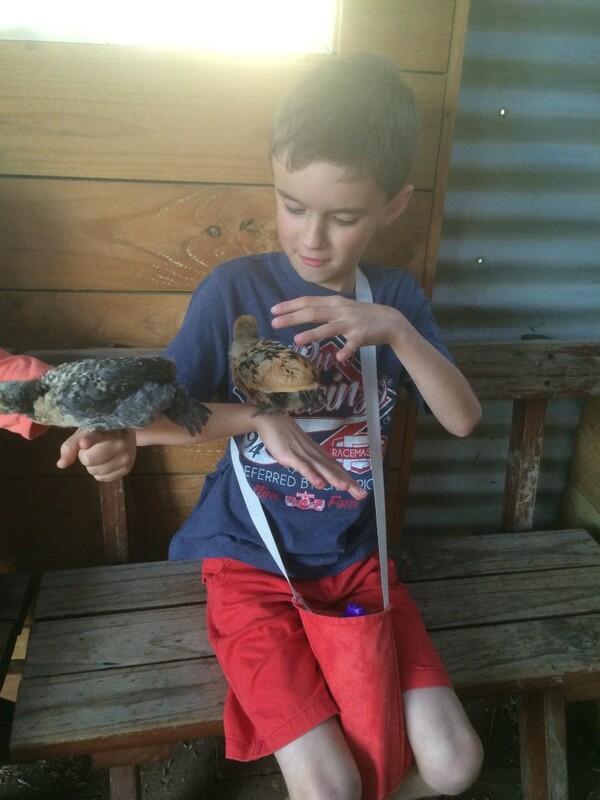 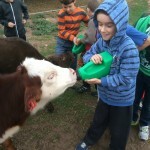 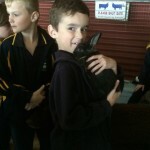 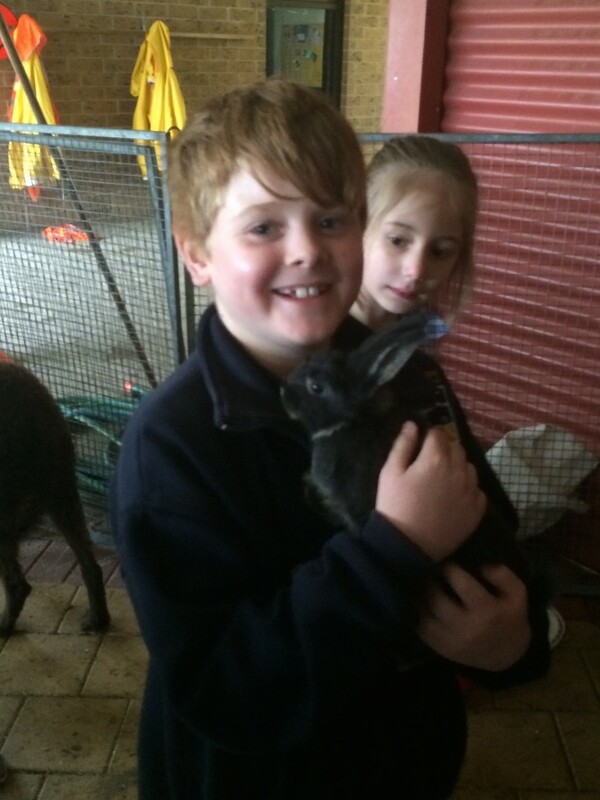 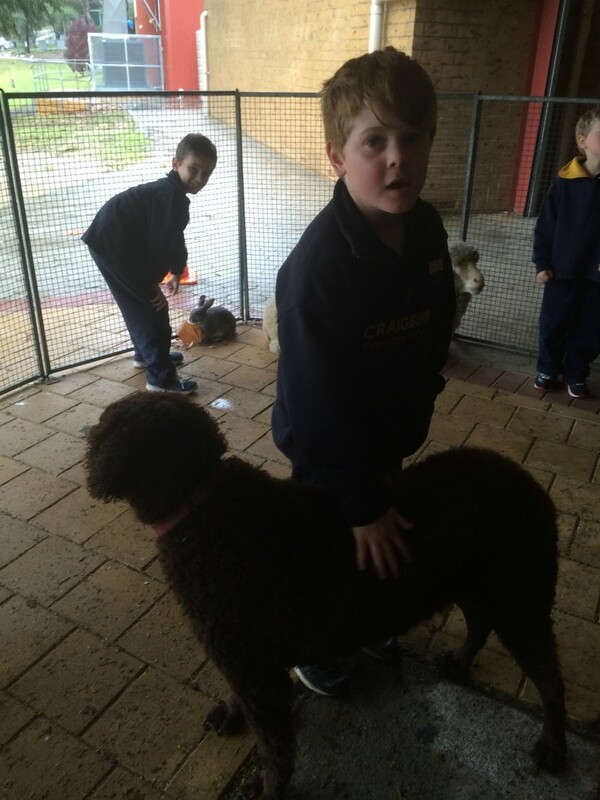 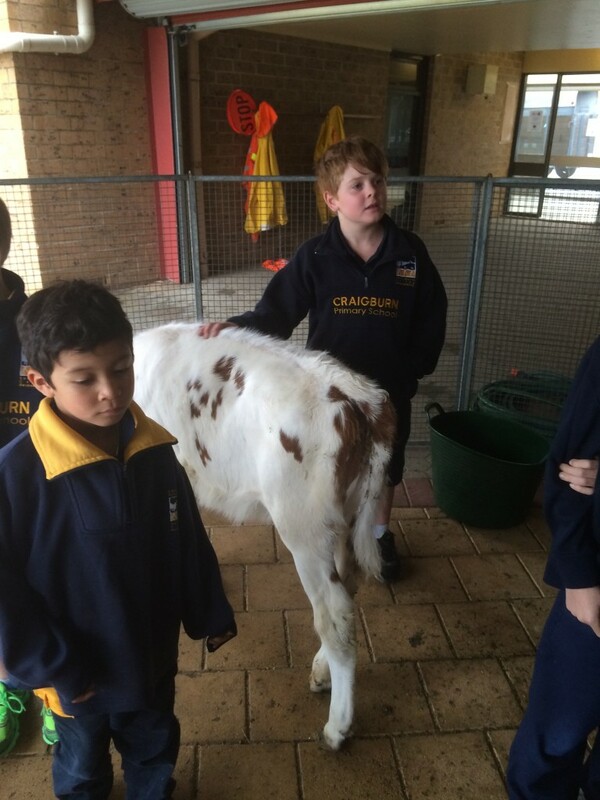 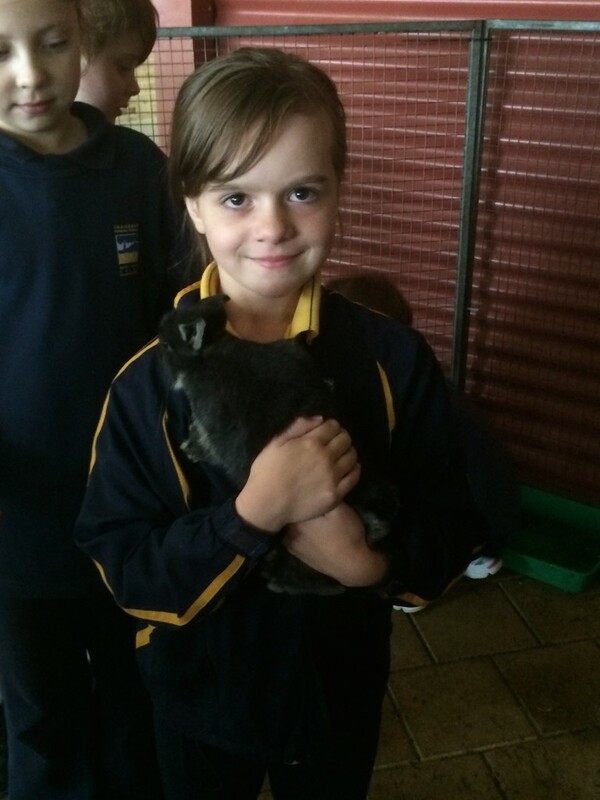 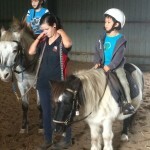 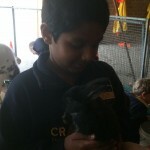 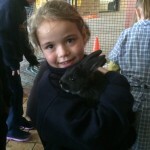 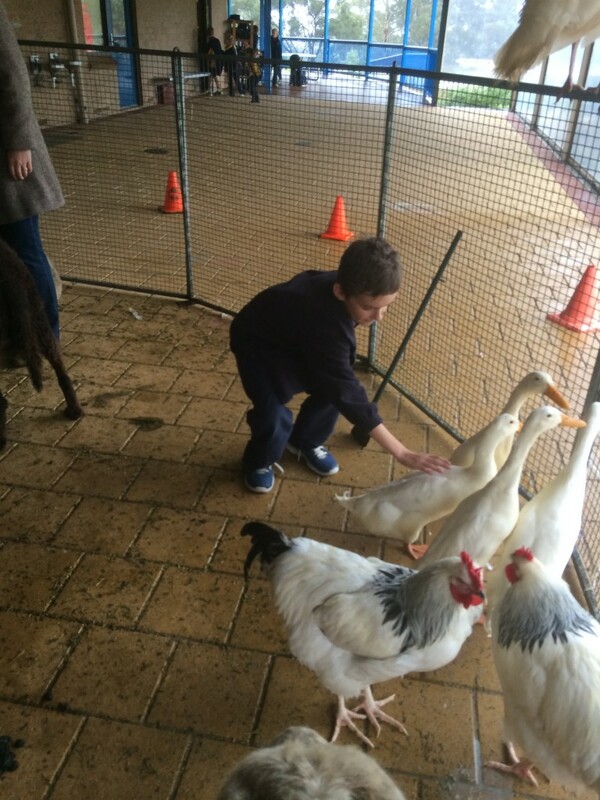 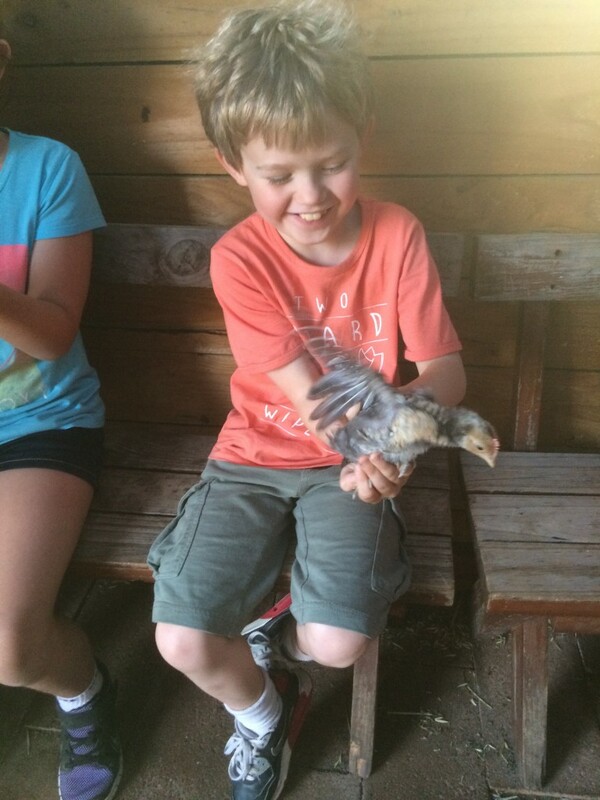 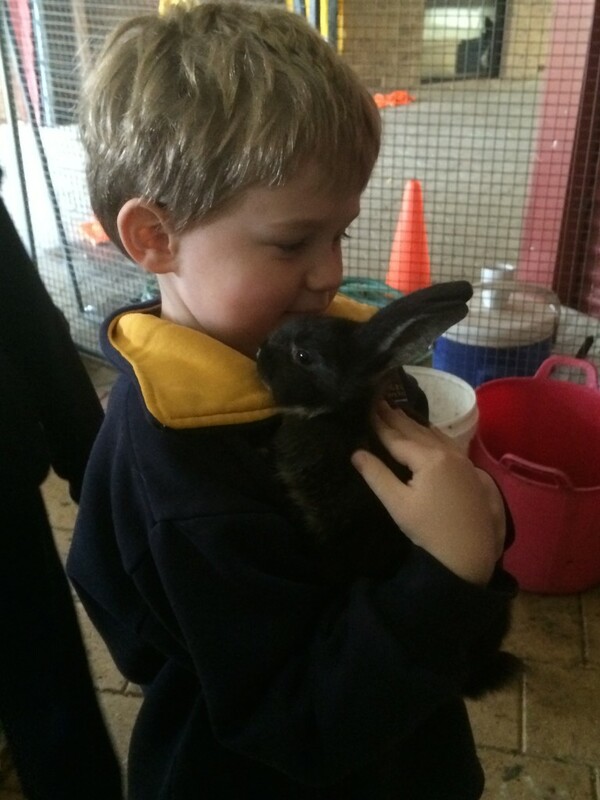 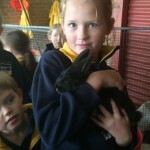 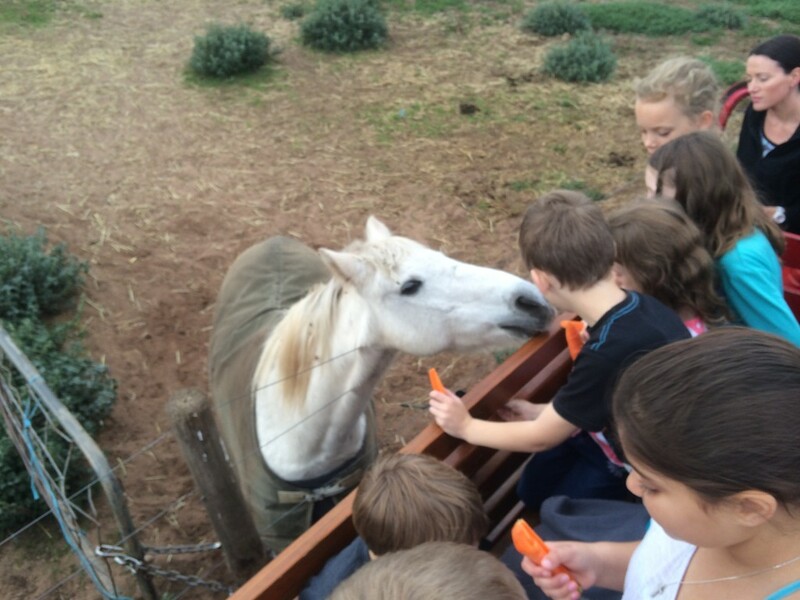 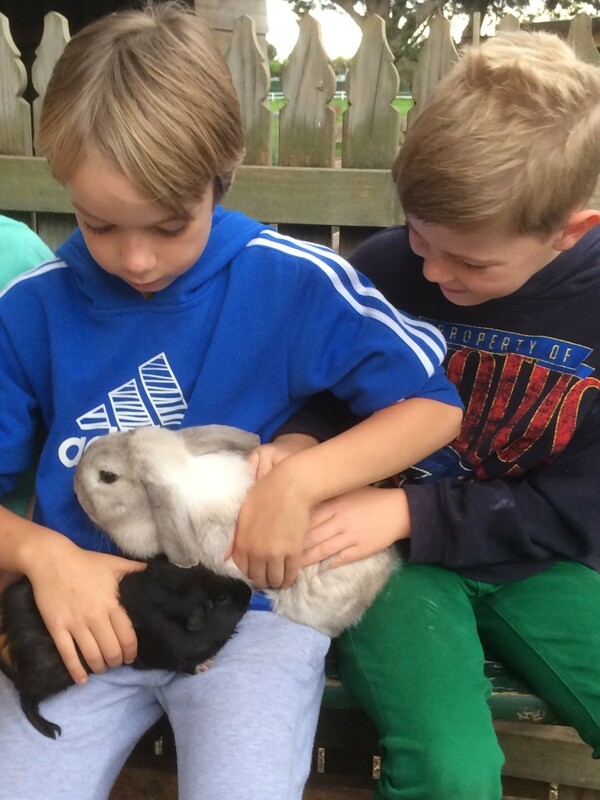 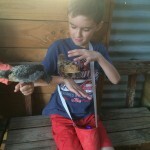 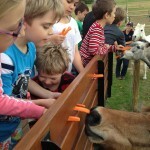 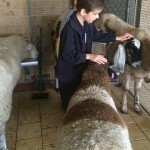 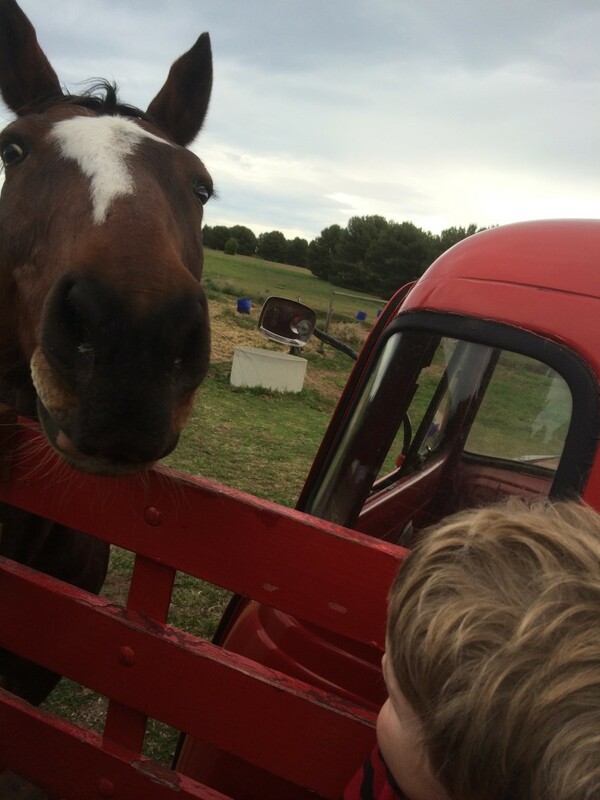 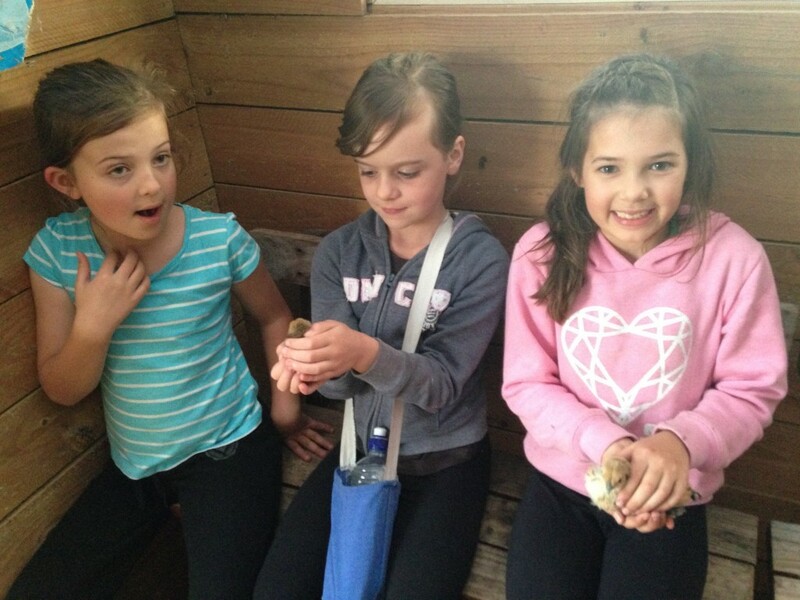 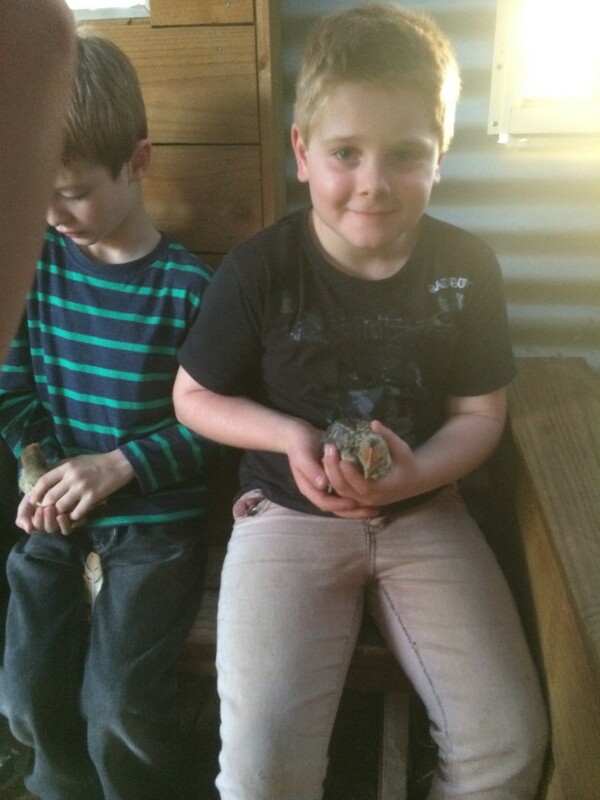 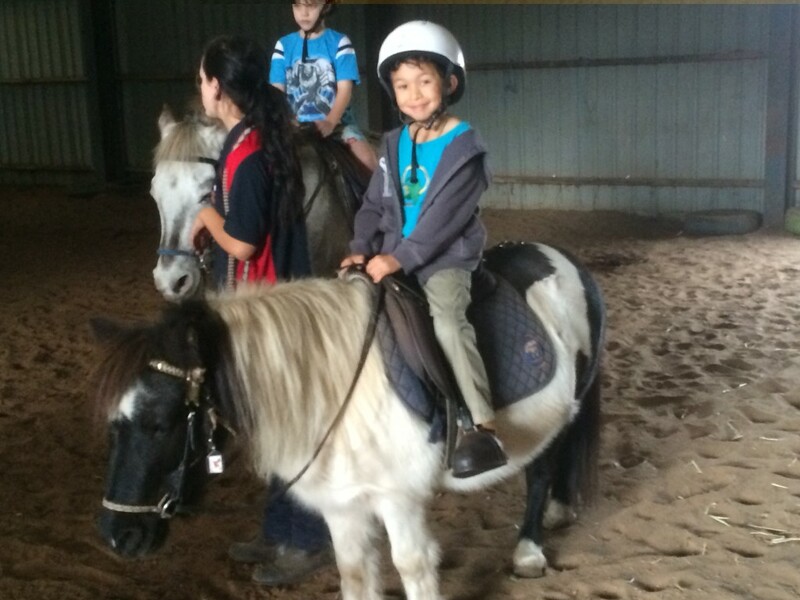 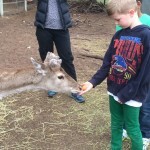 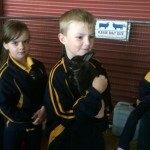 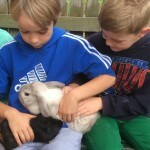 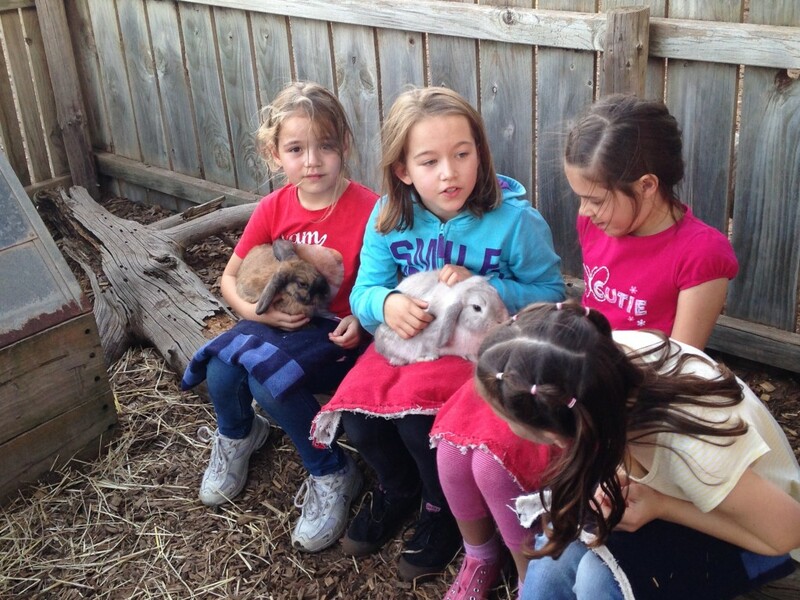 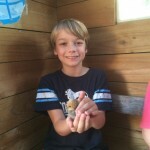 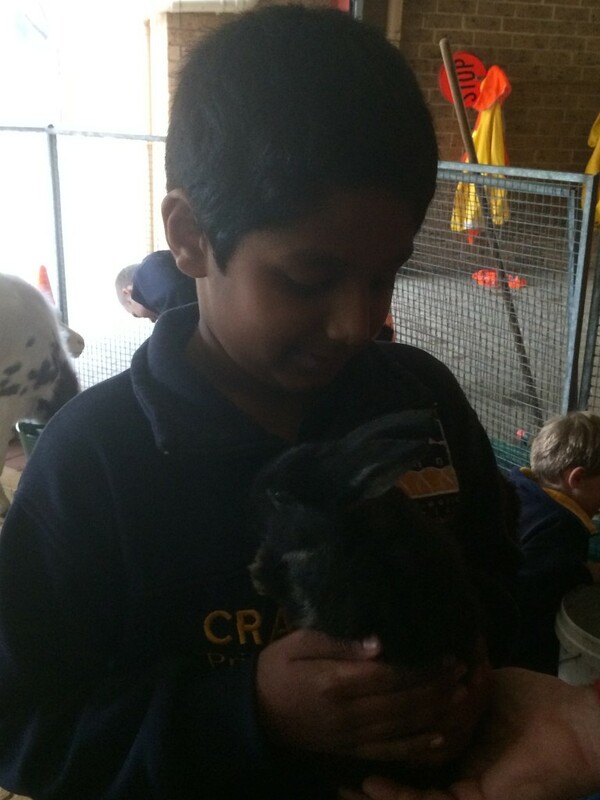 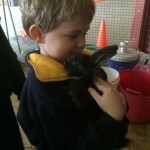 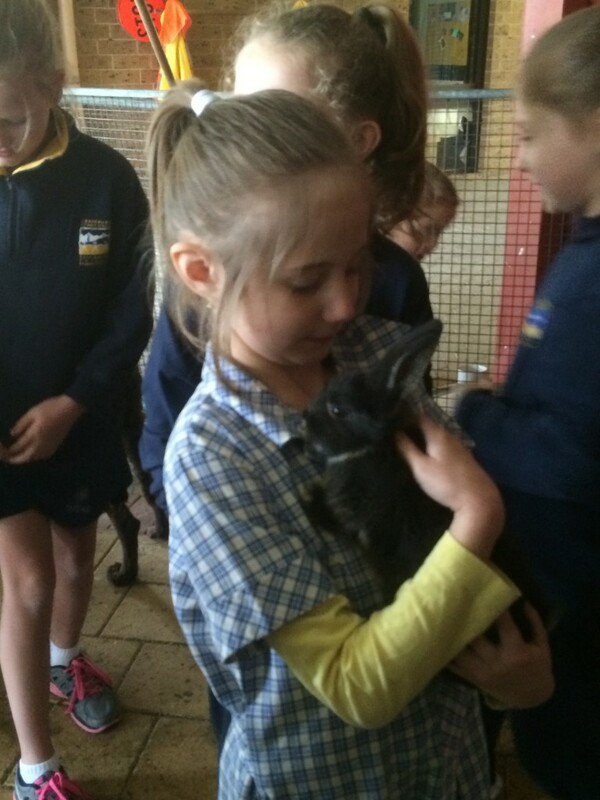 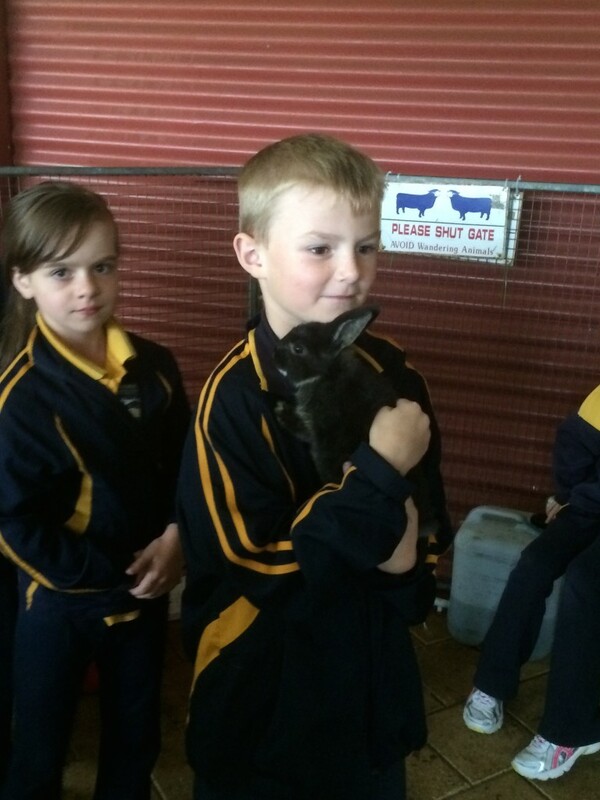 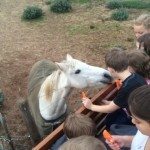 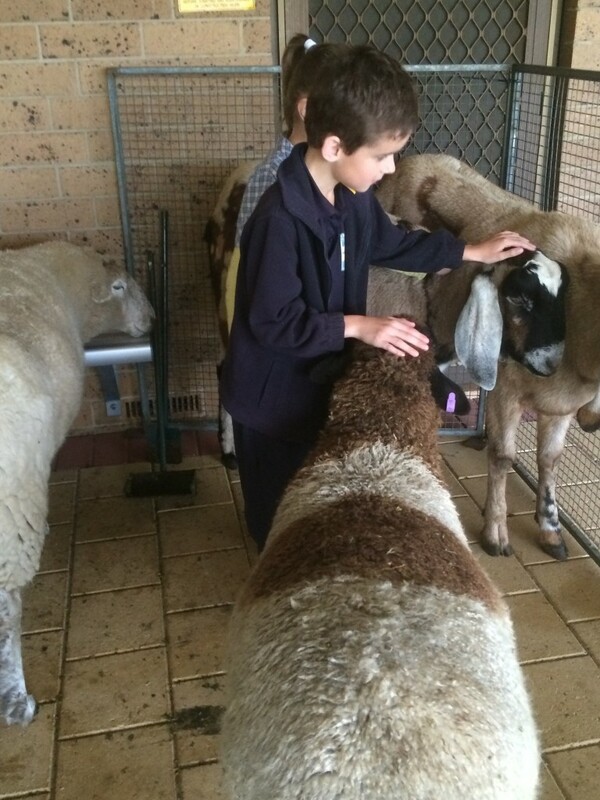 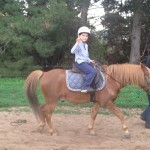 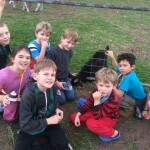 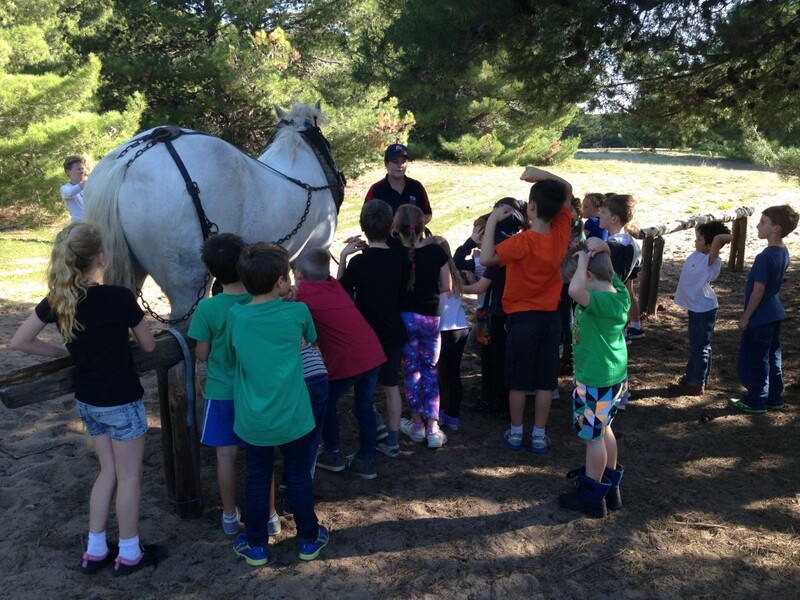 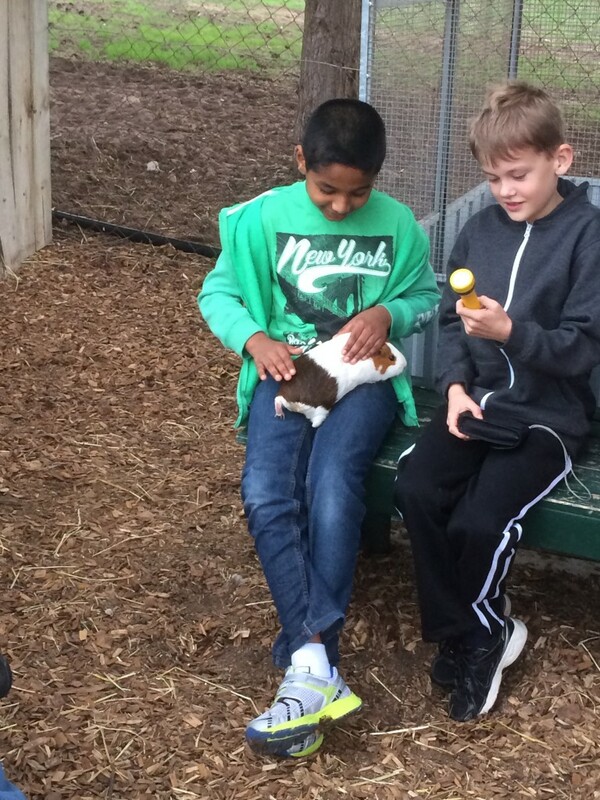 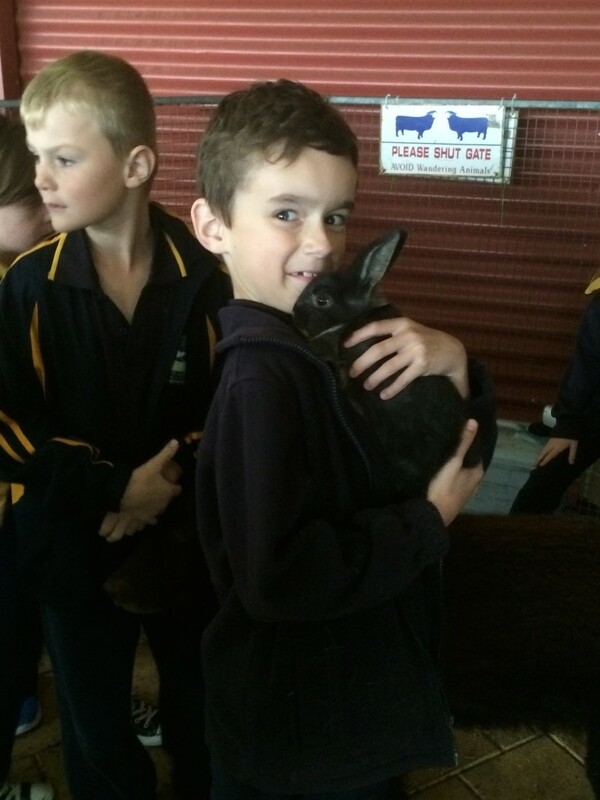 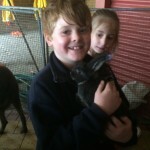 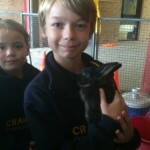 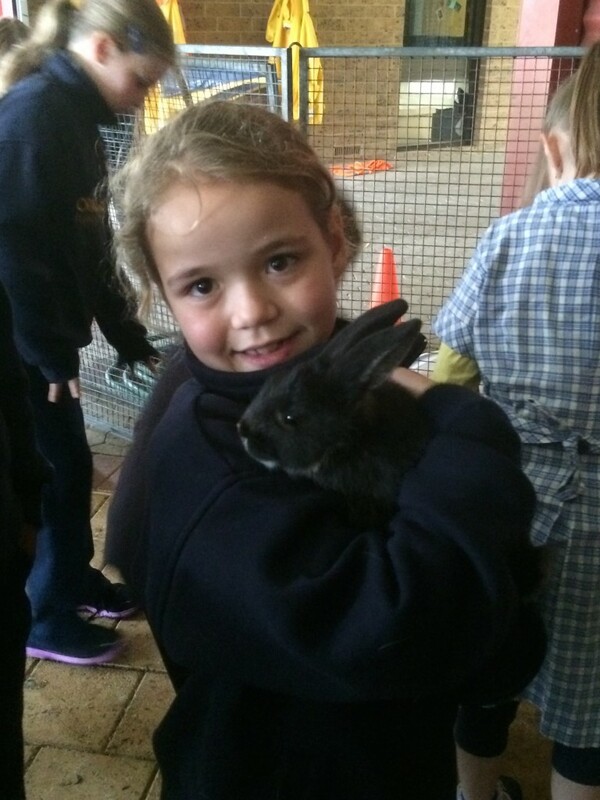 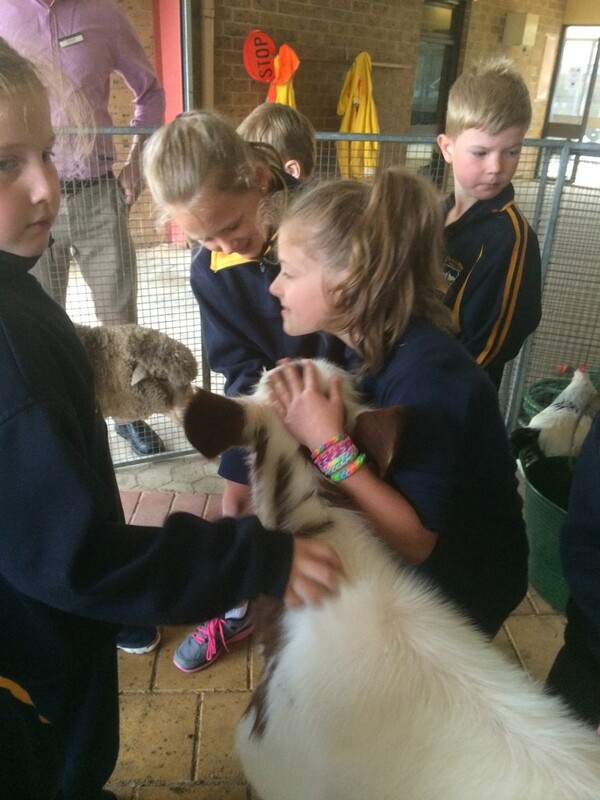 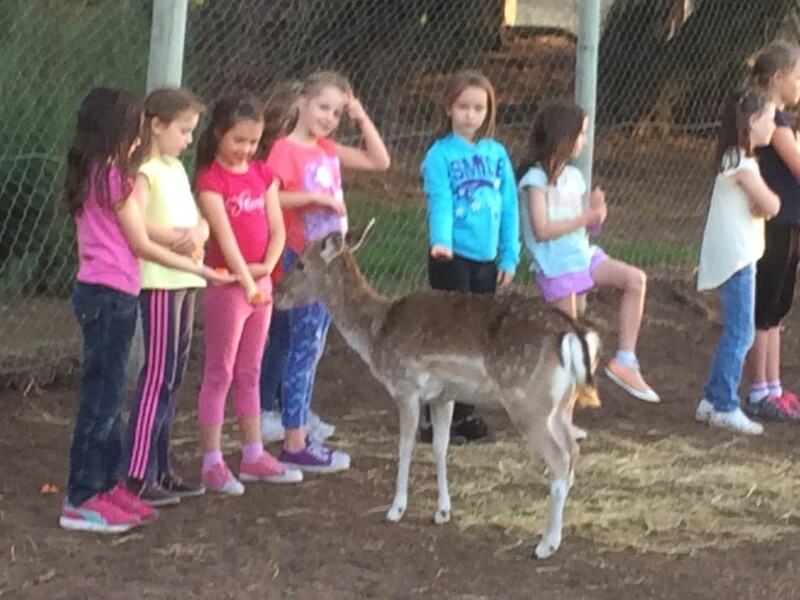 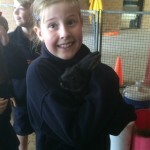 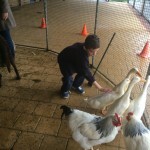 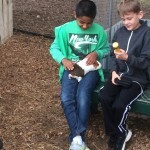 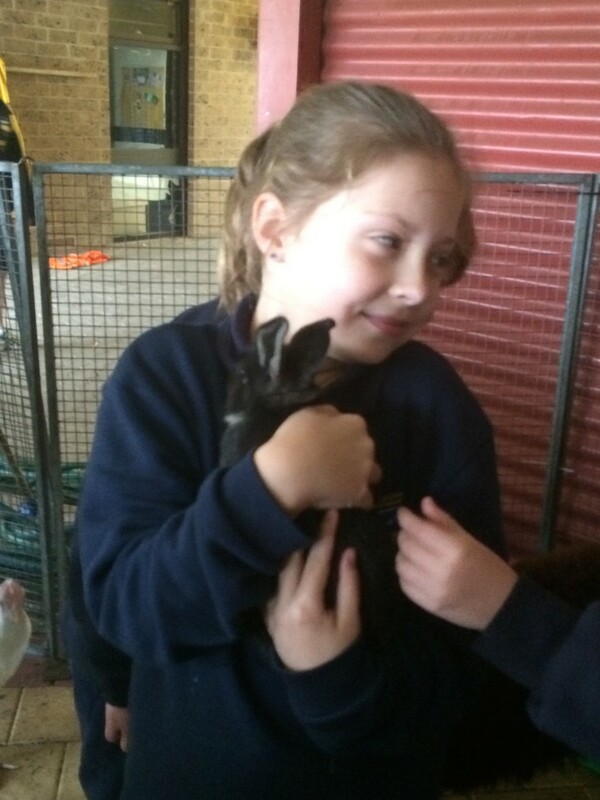 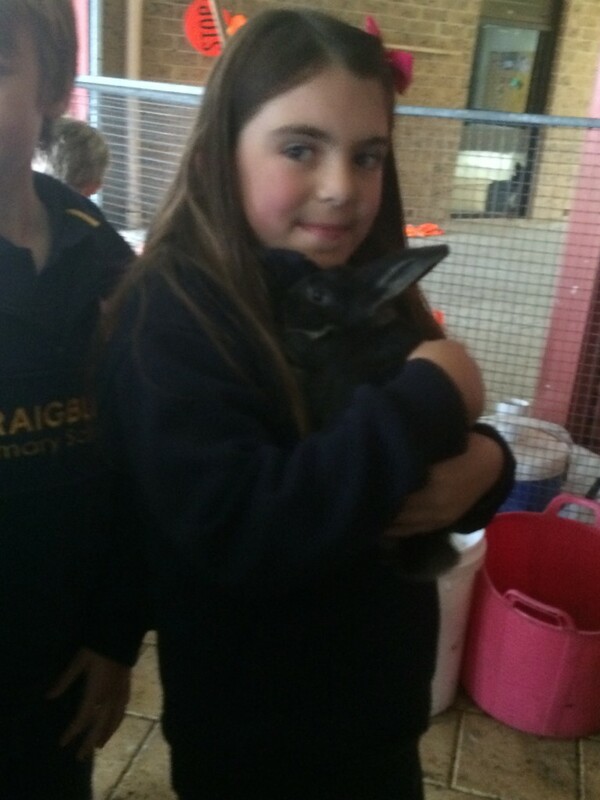 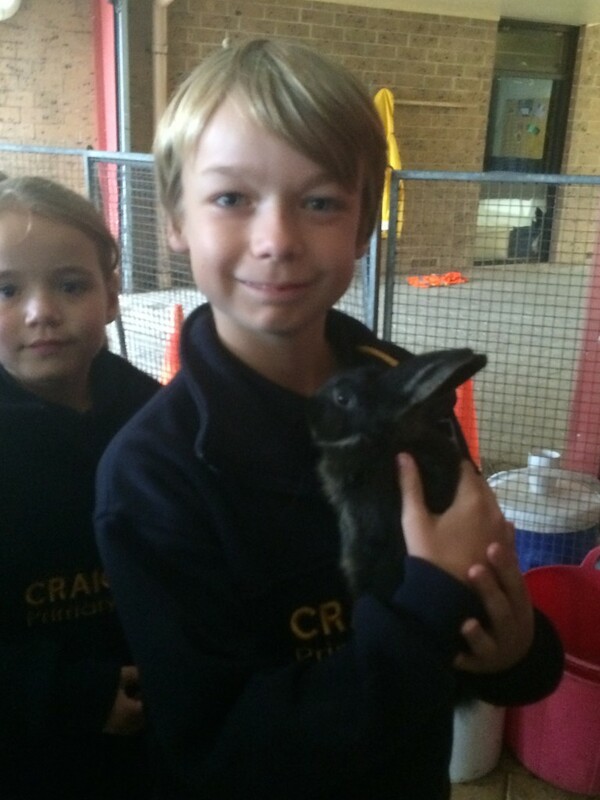 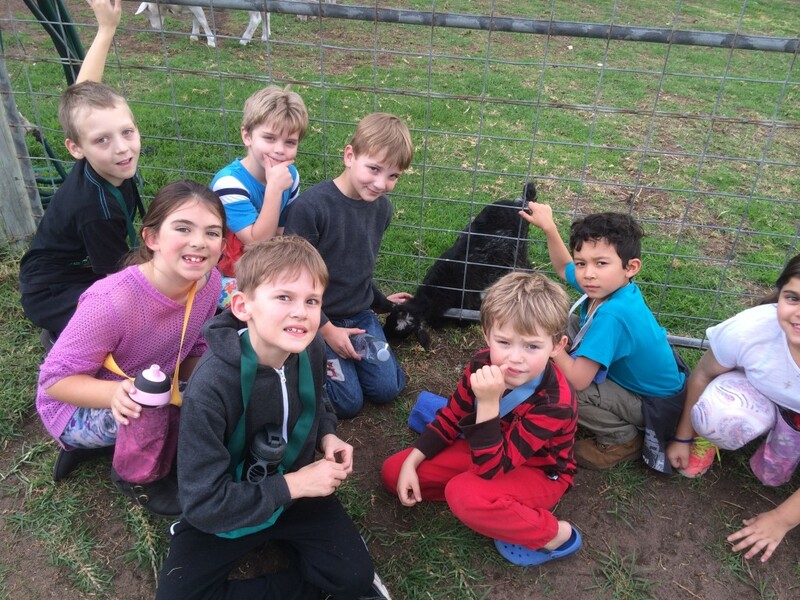 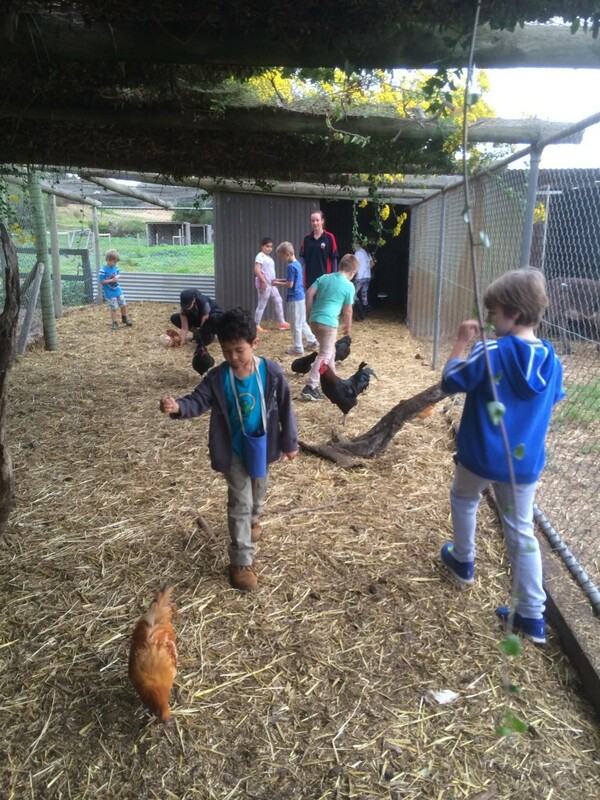 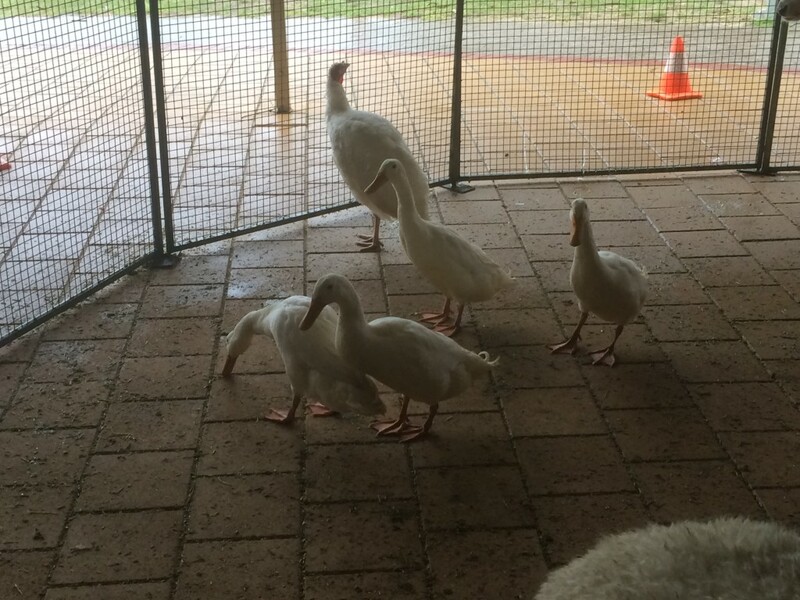 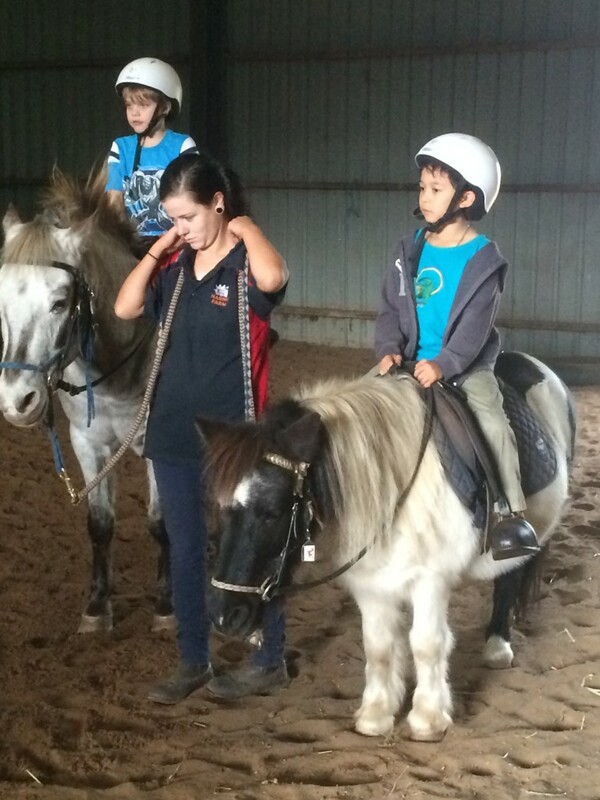 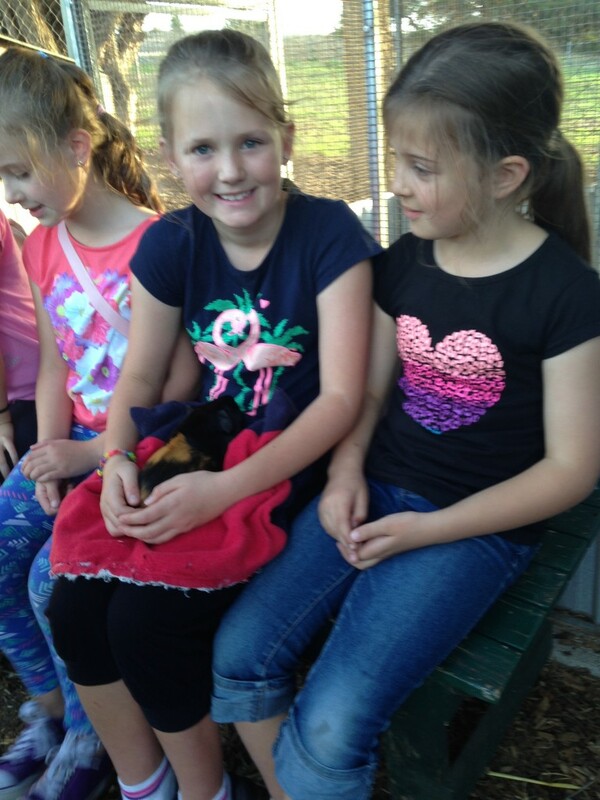 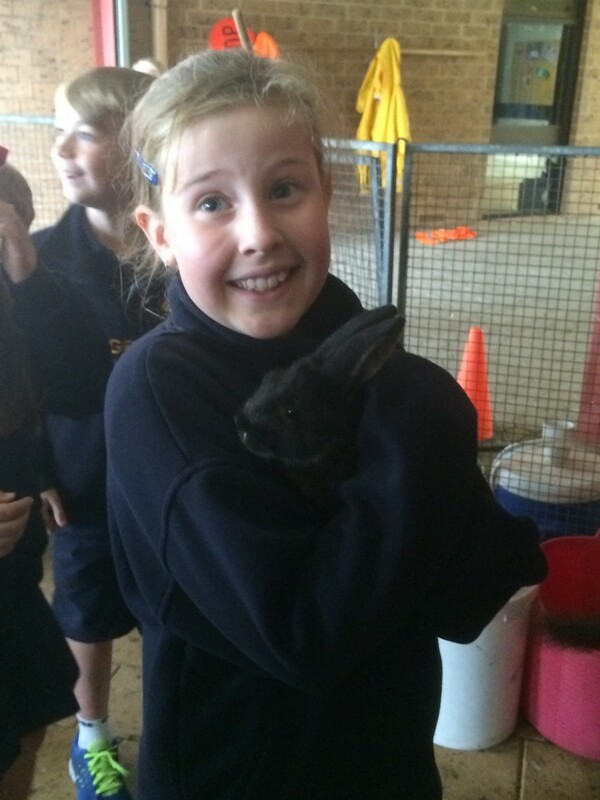 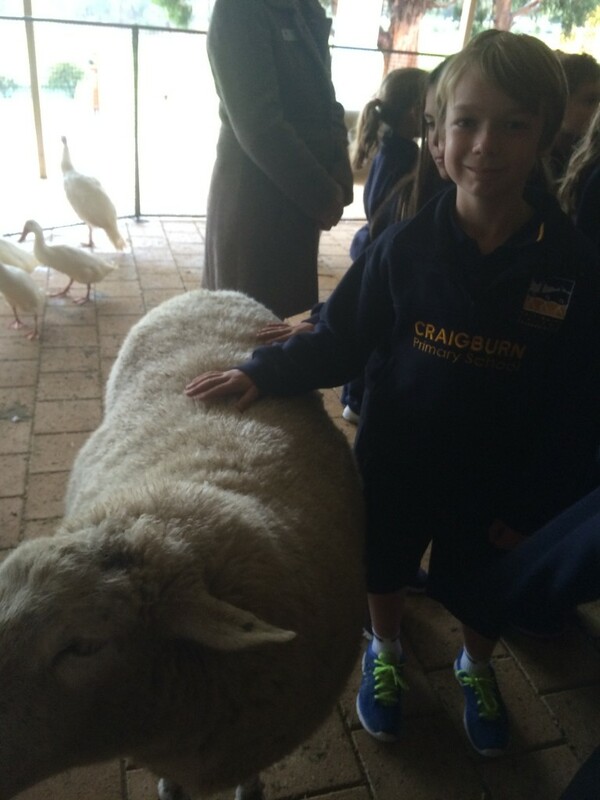 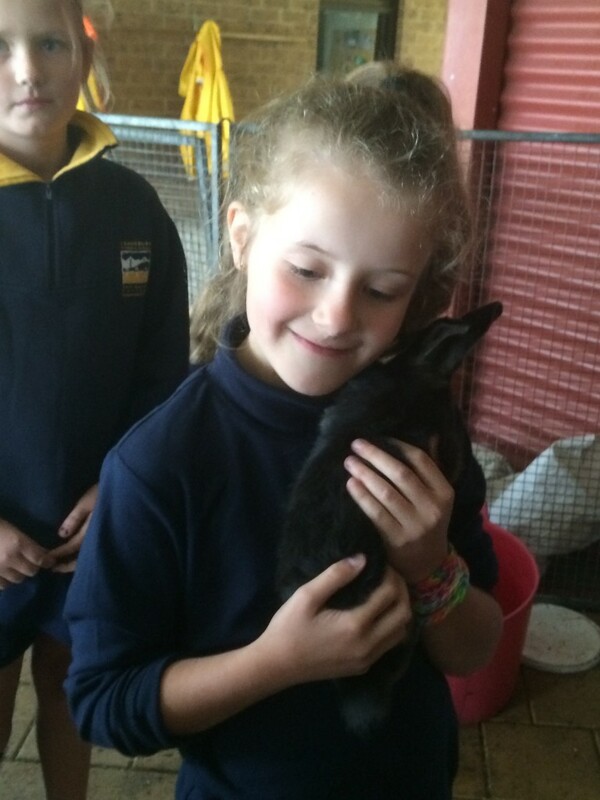 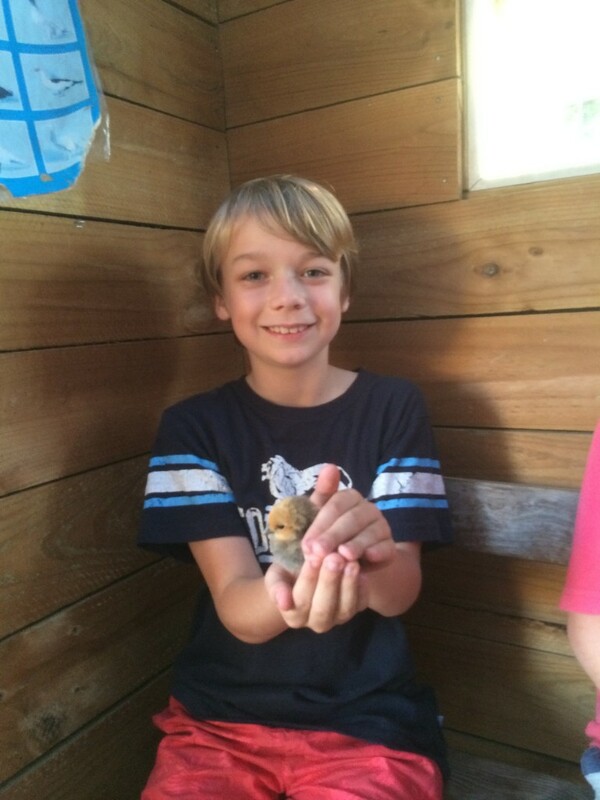 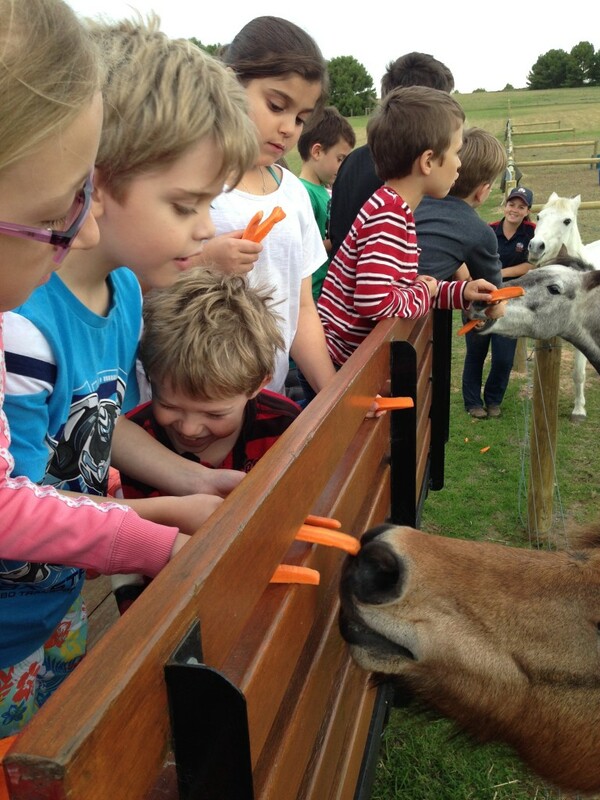 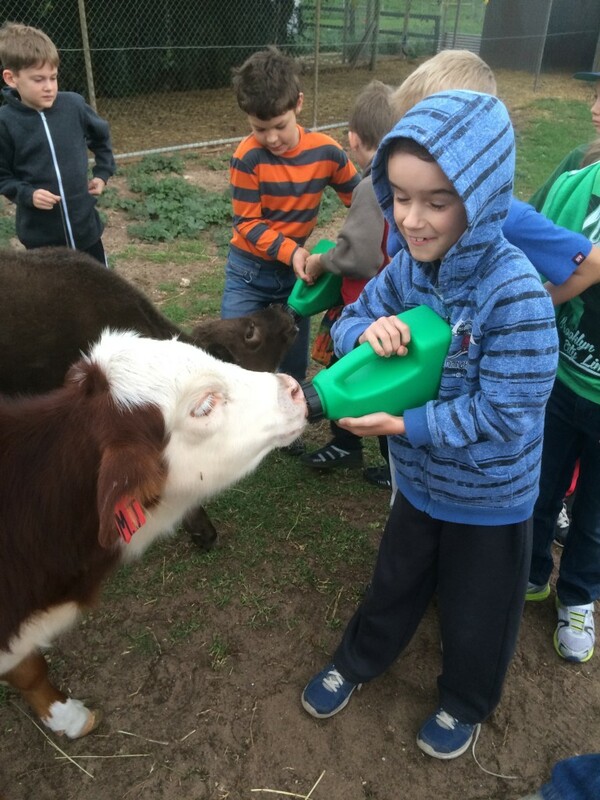 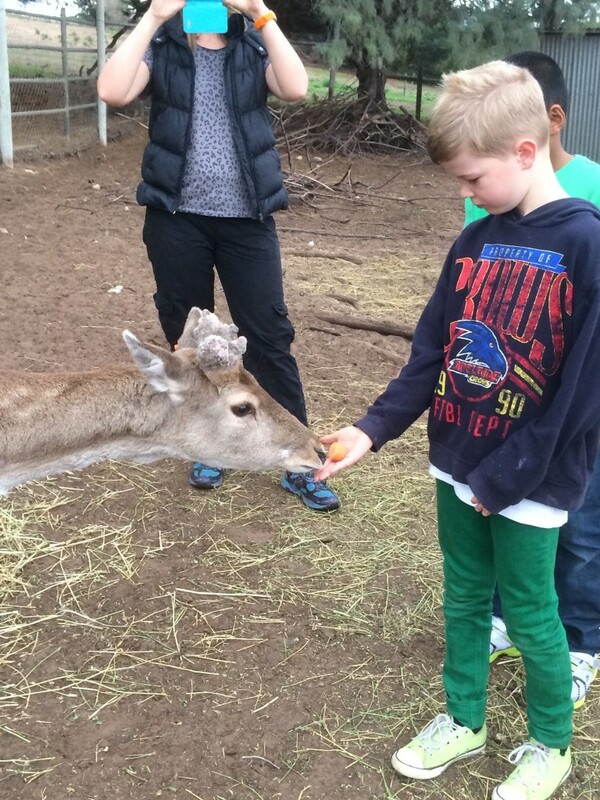 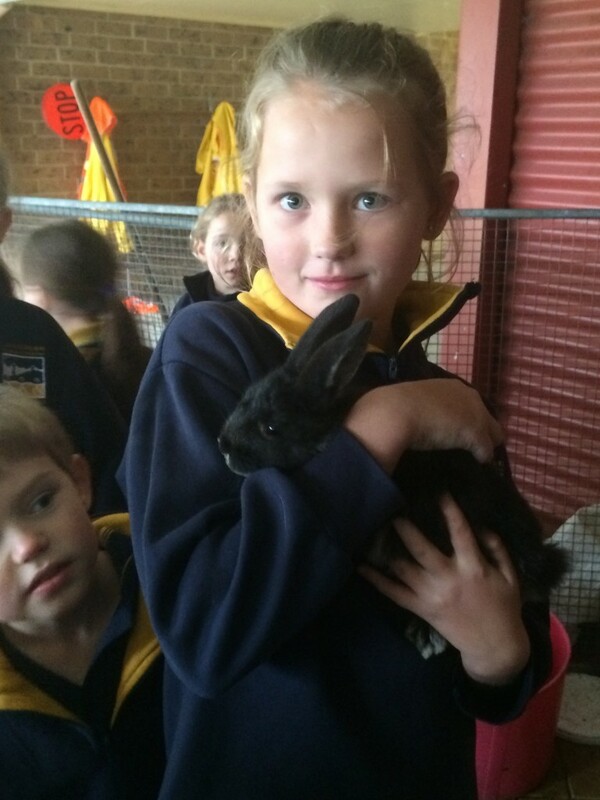 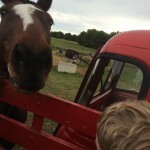 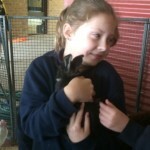 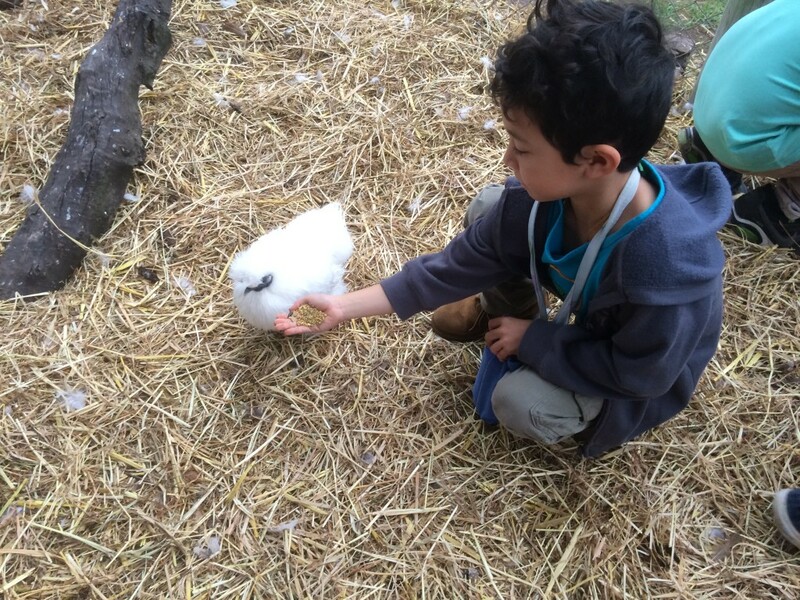 Farmer Damien lives on a farm at Meadows and loves to visit schools with his different animals. 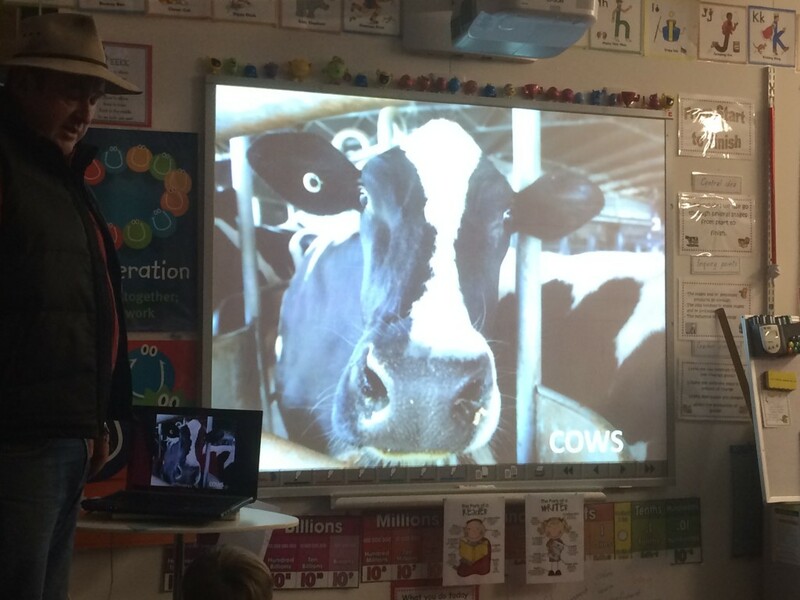 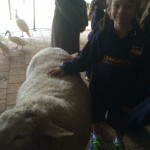 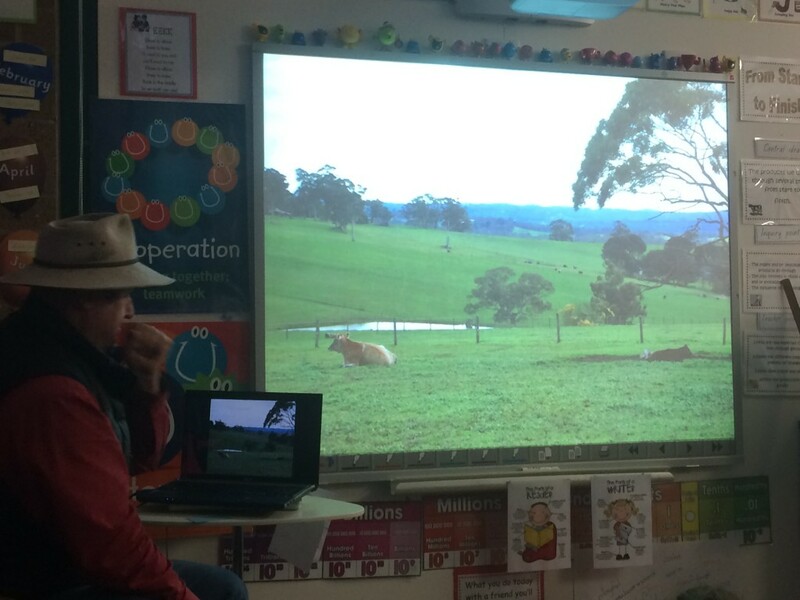 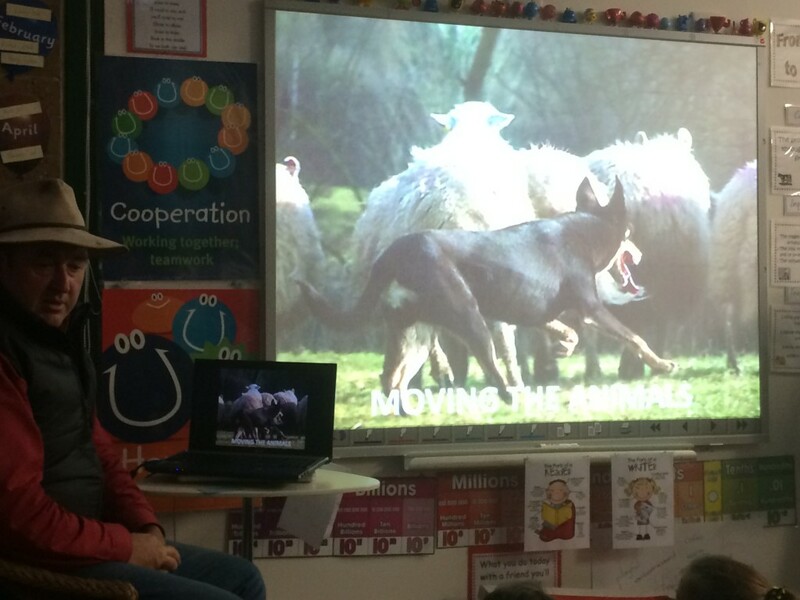 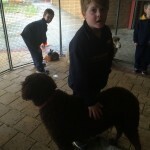 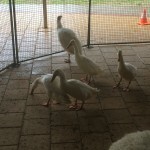 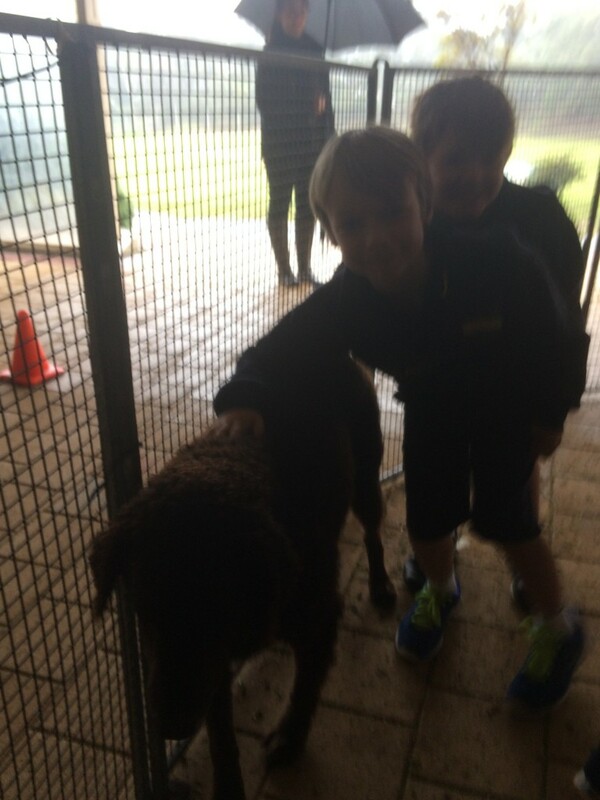 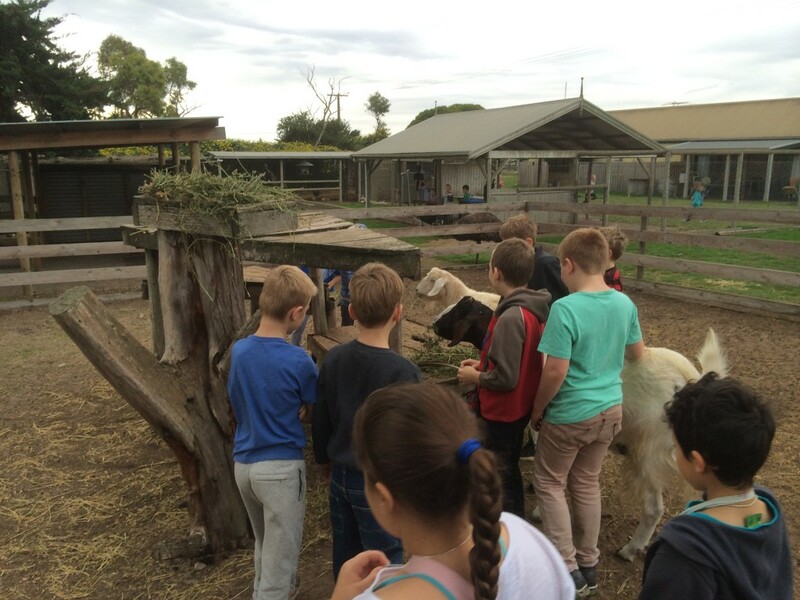 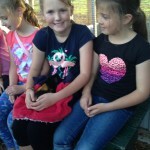 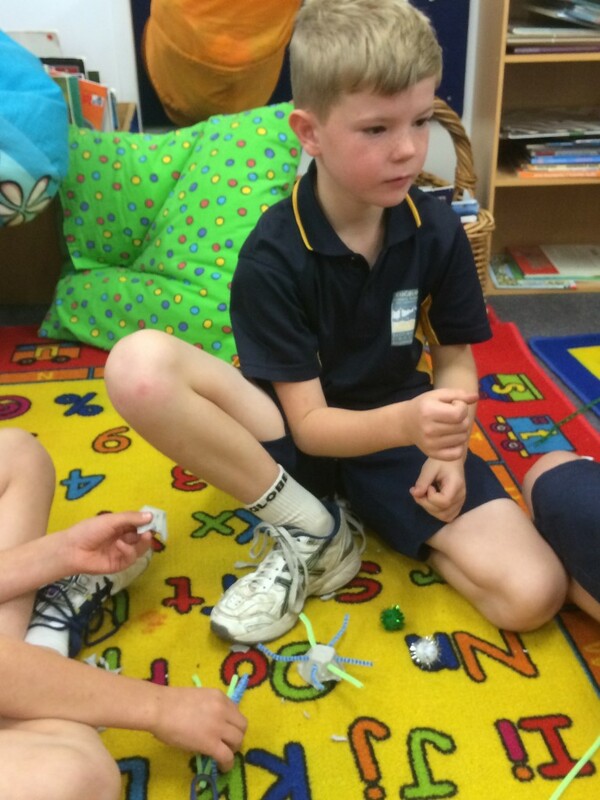 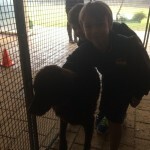 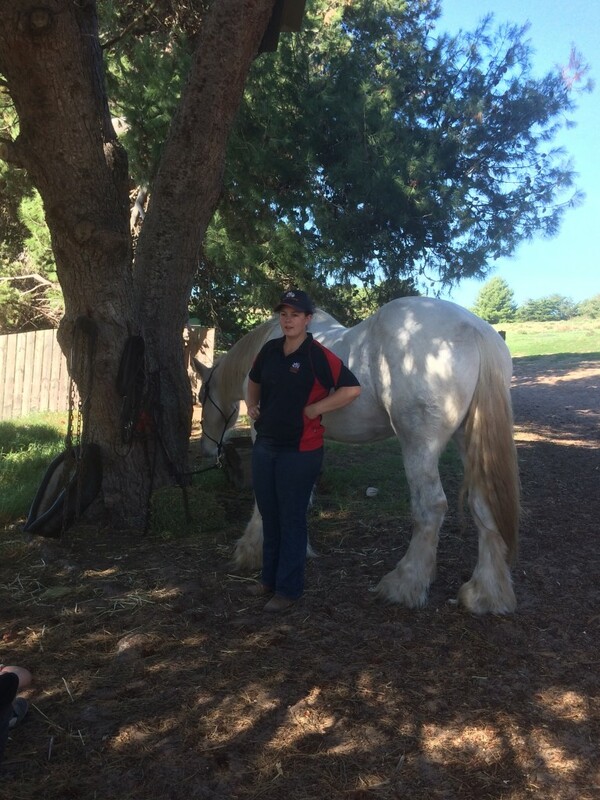 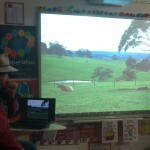 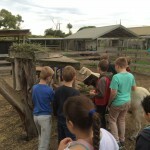 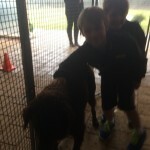 He talked to us about all the different animals on farms, what life is like on a farm, the crops they grow, the products animals produce and how important it is to support the farmers in Australia. 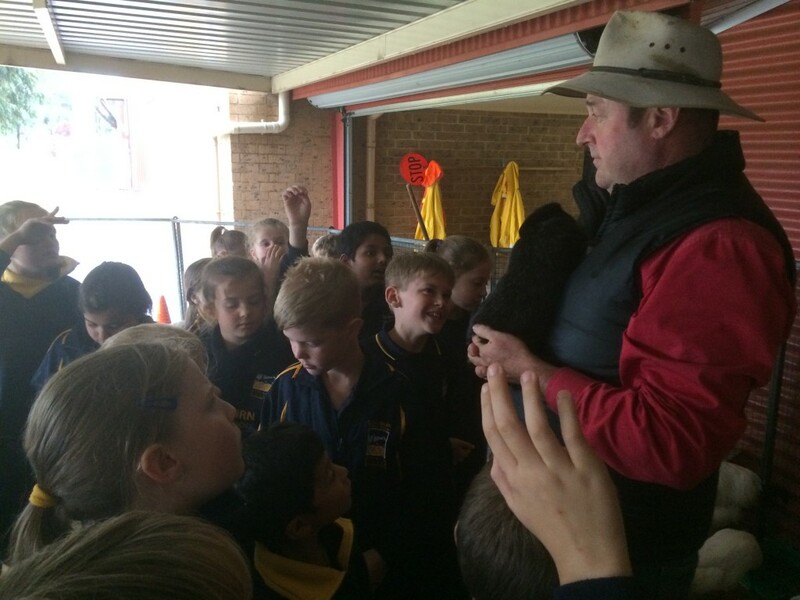 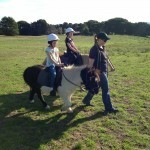 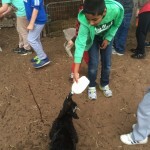 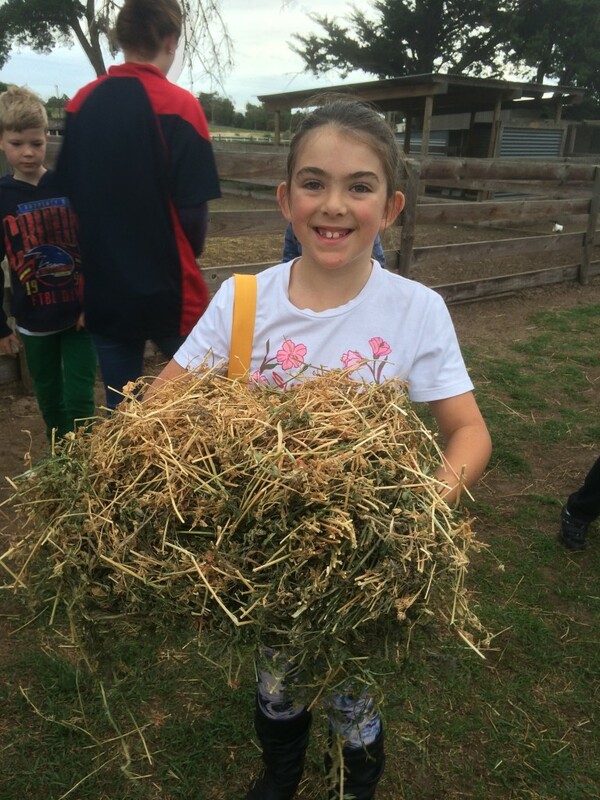 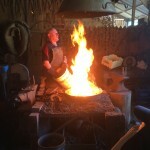 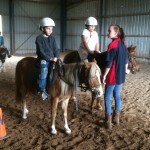 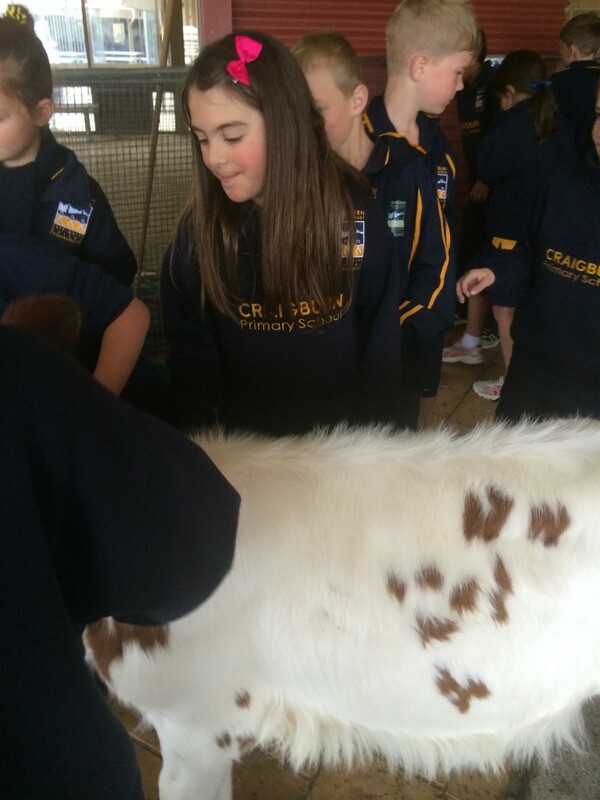 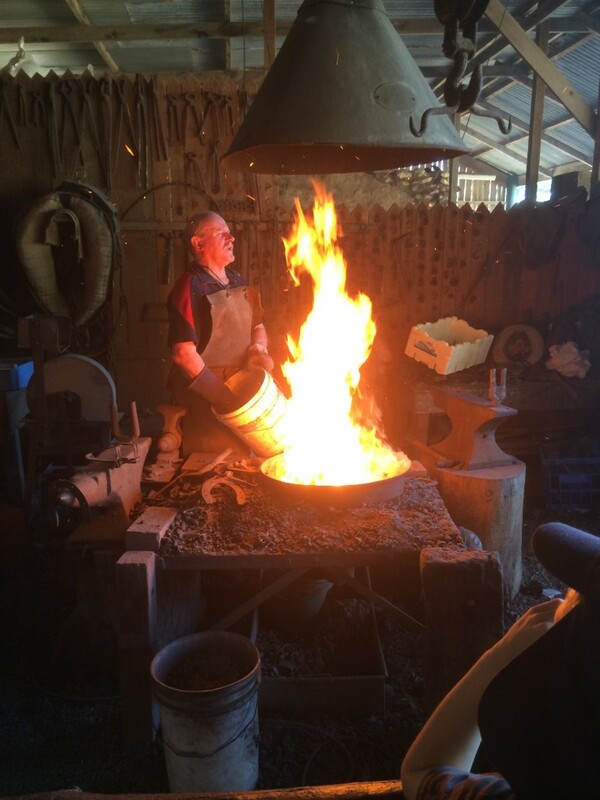 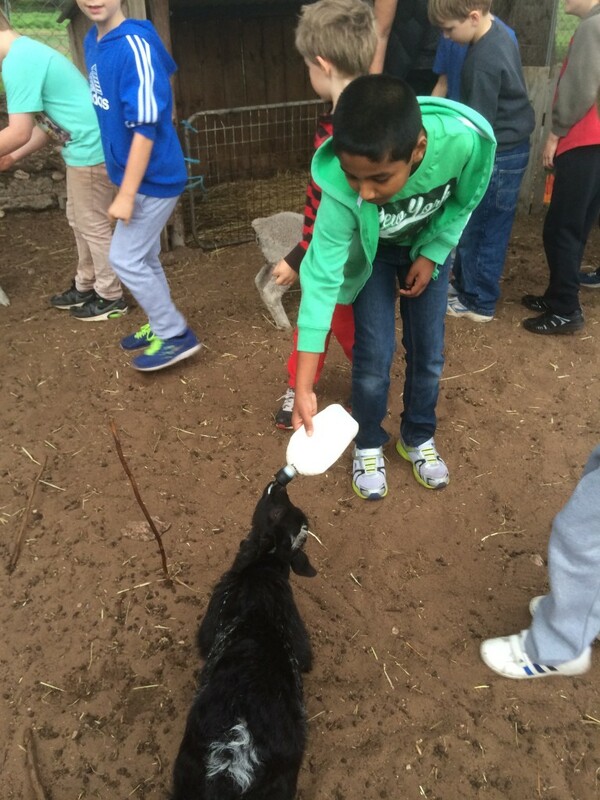 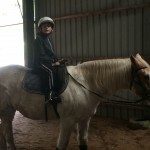 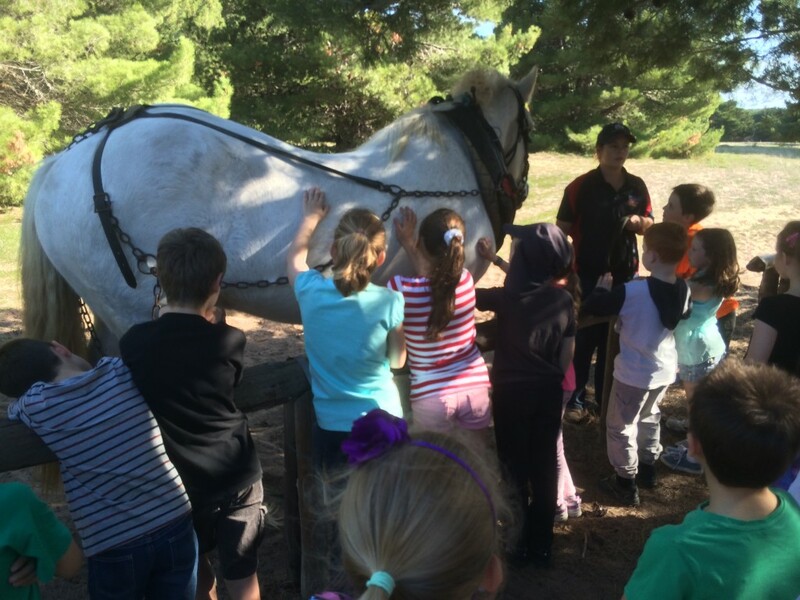 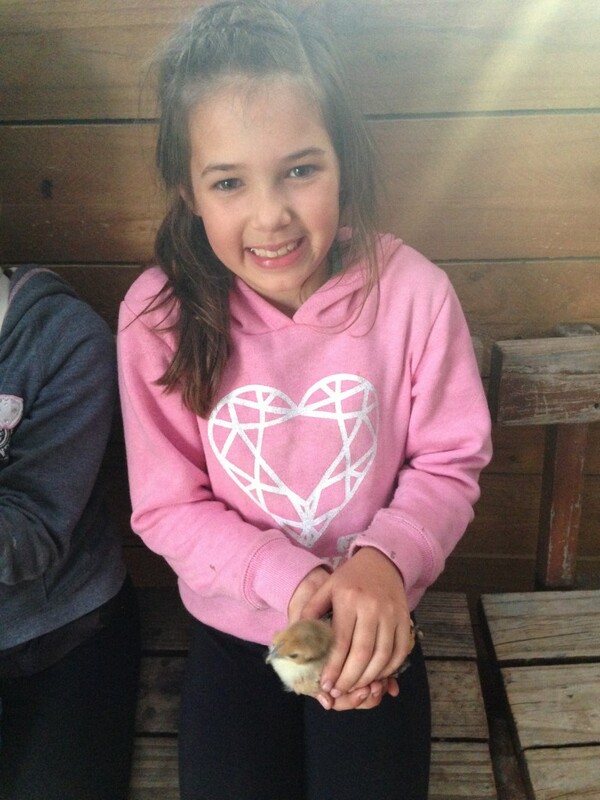 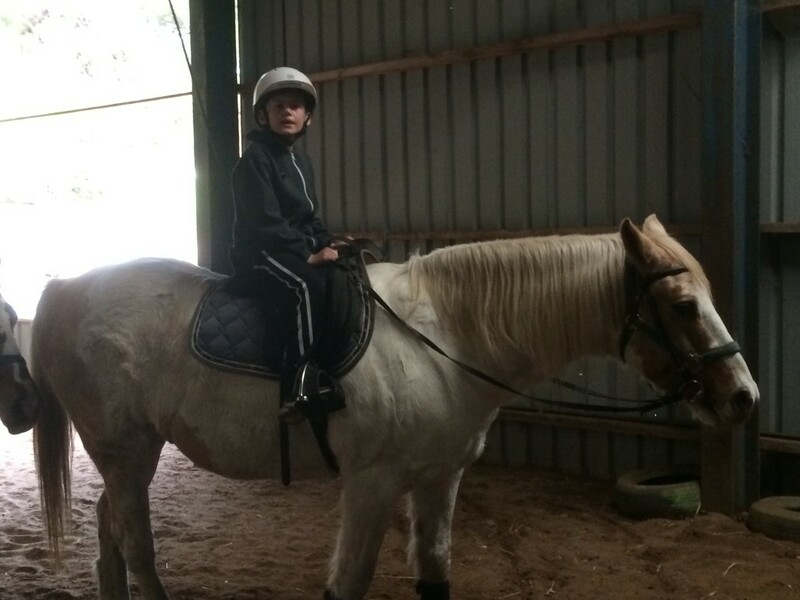 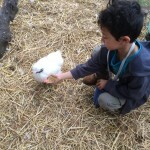 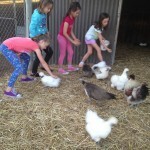 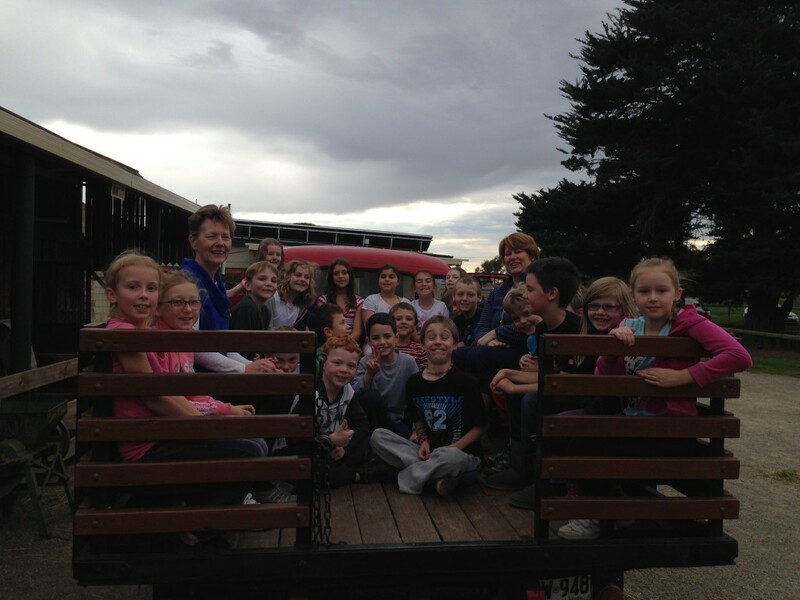 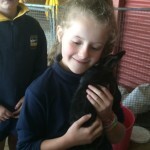 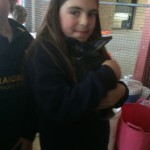 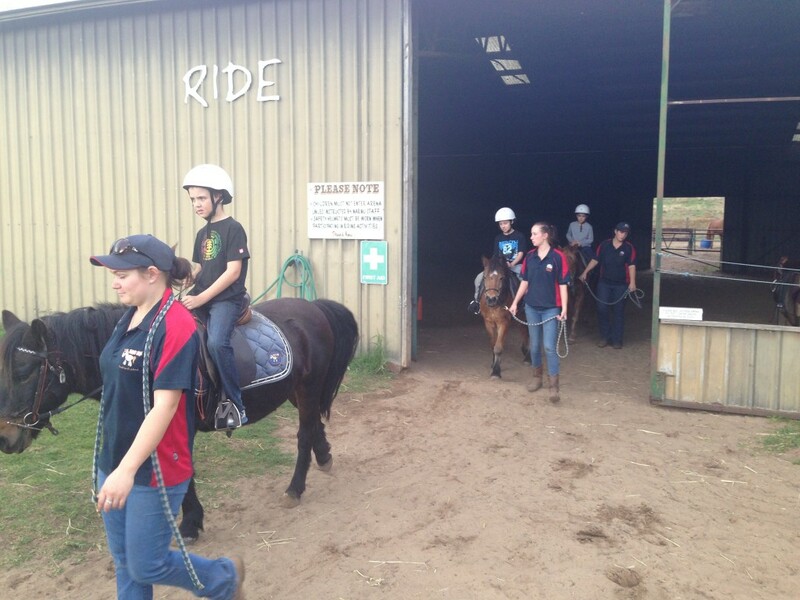 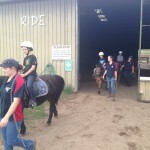 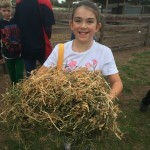 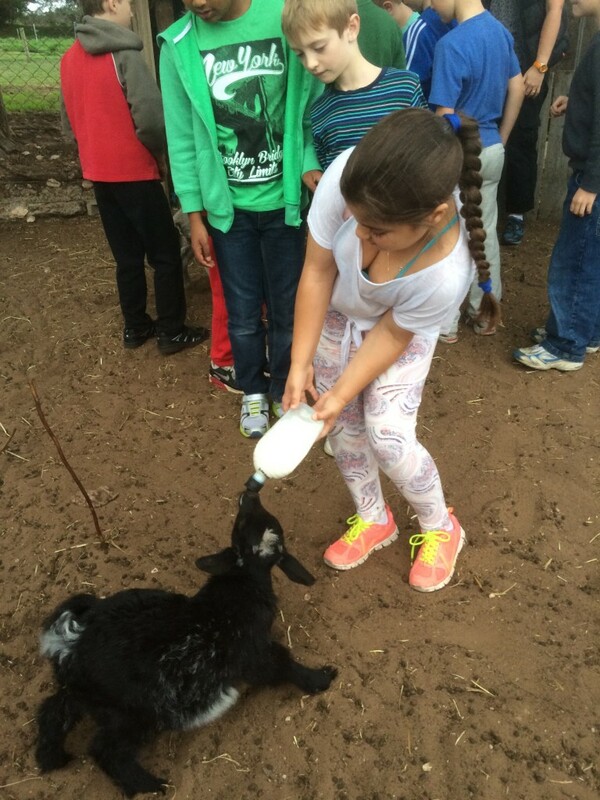 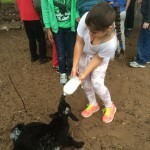 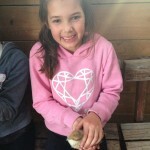 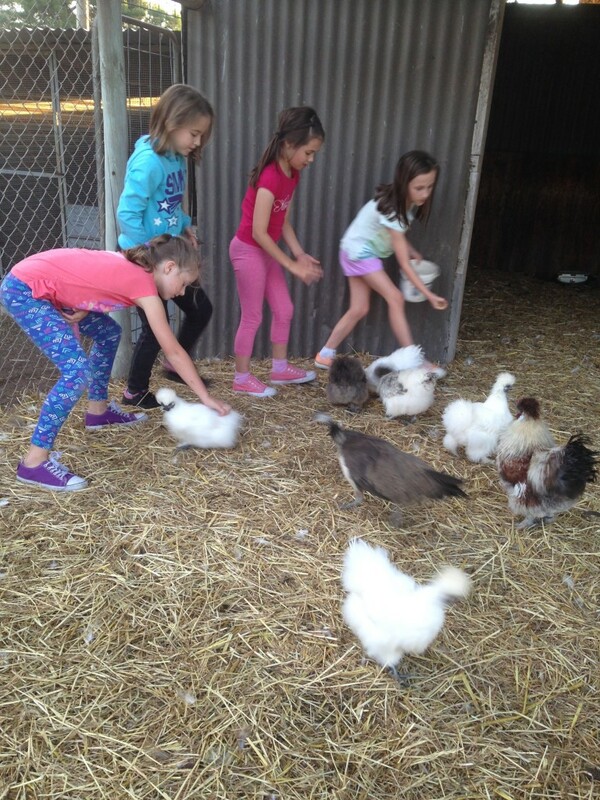 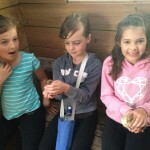 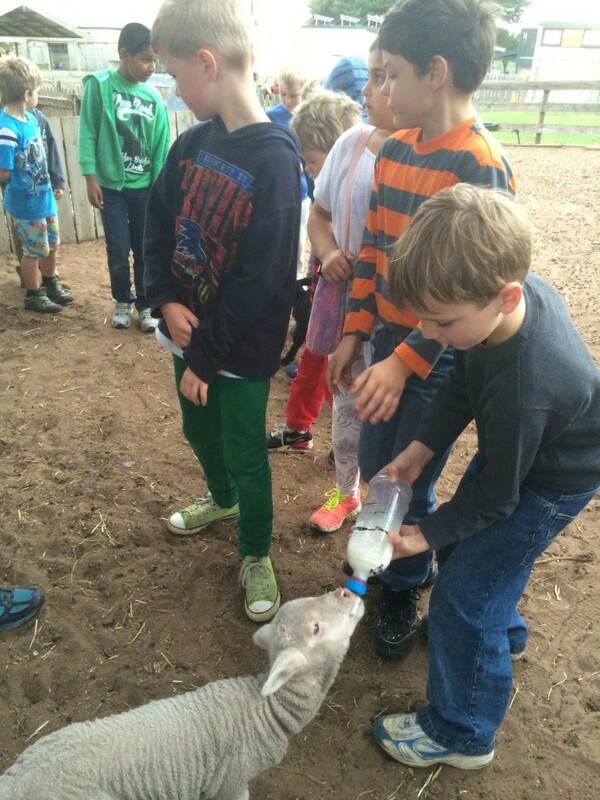 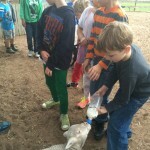 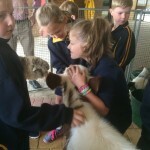 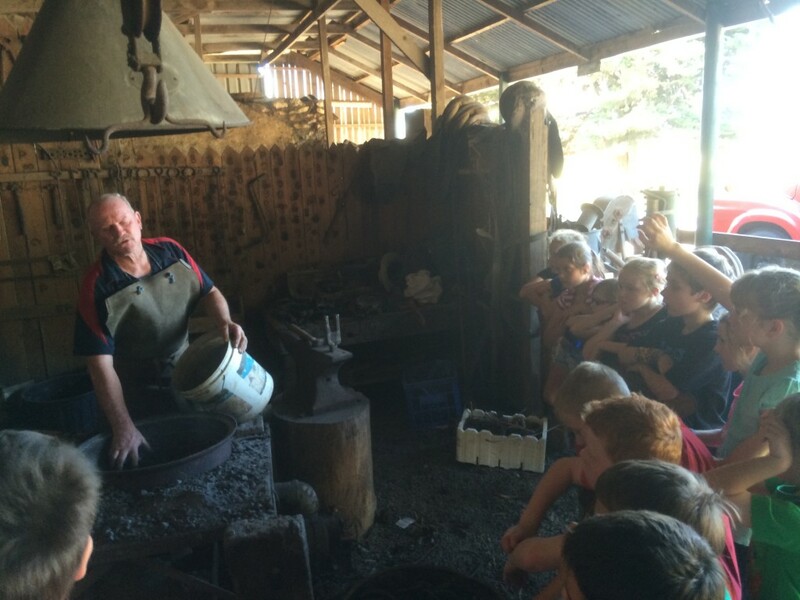 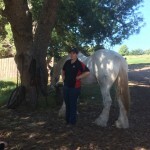 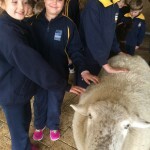 Here are some photos from our fantastic learning experience with Farmer Damien. 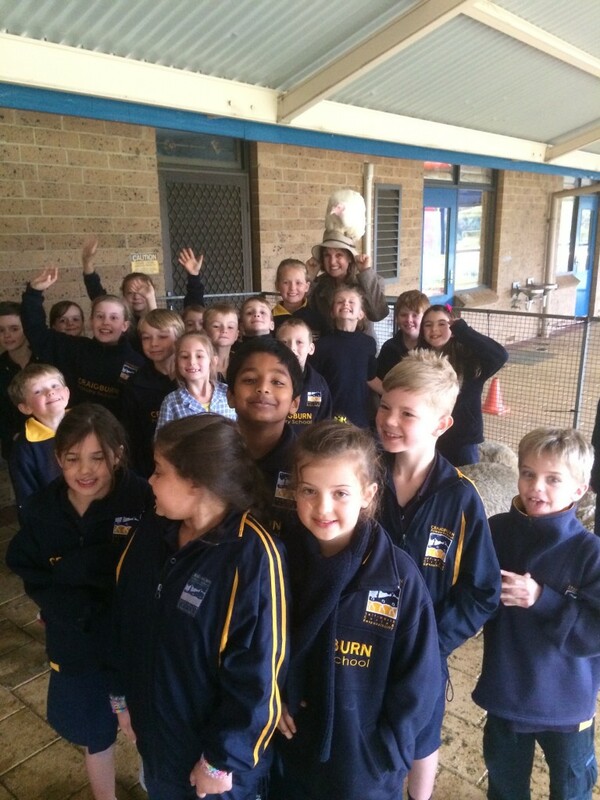 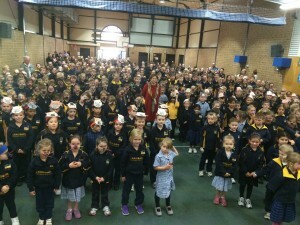 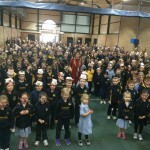 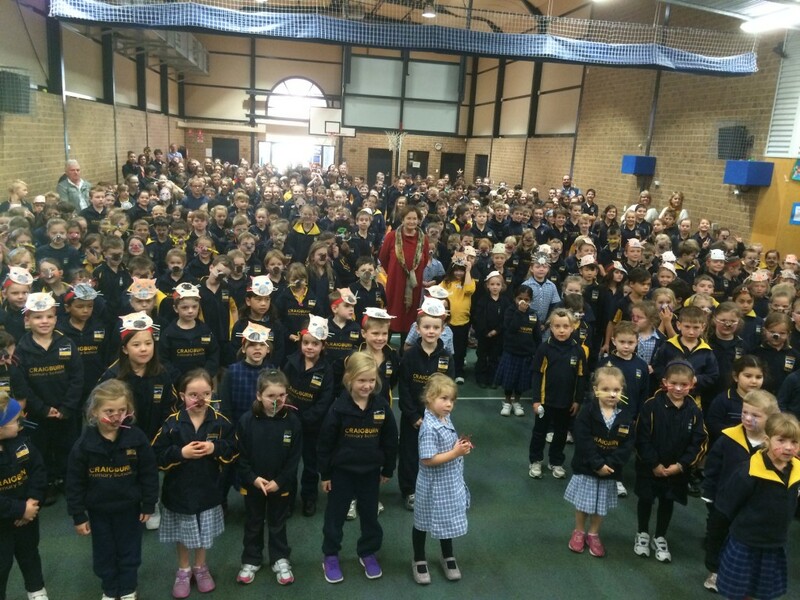 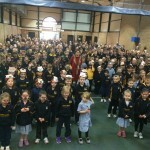 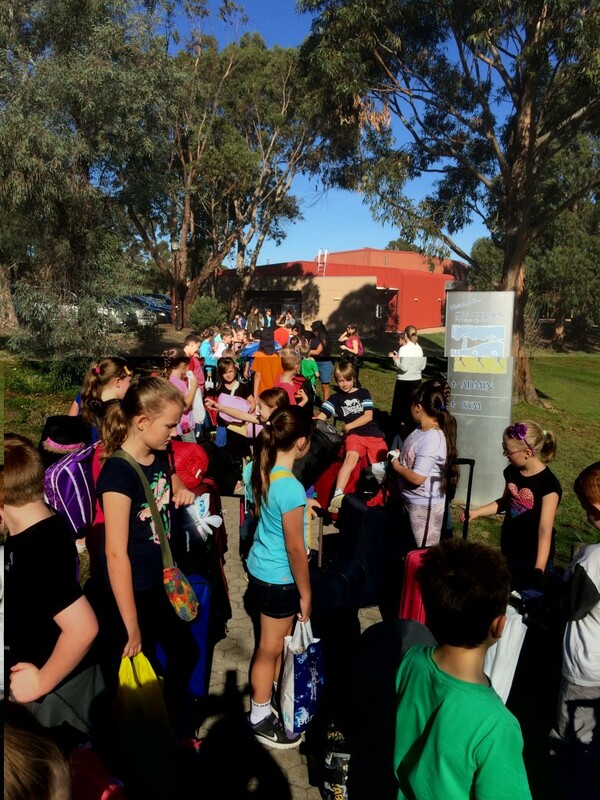 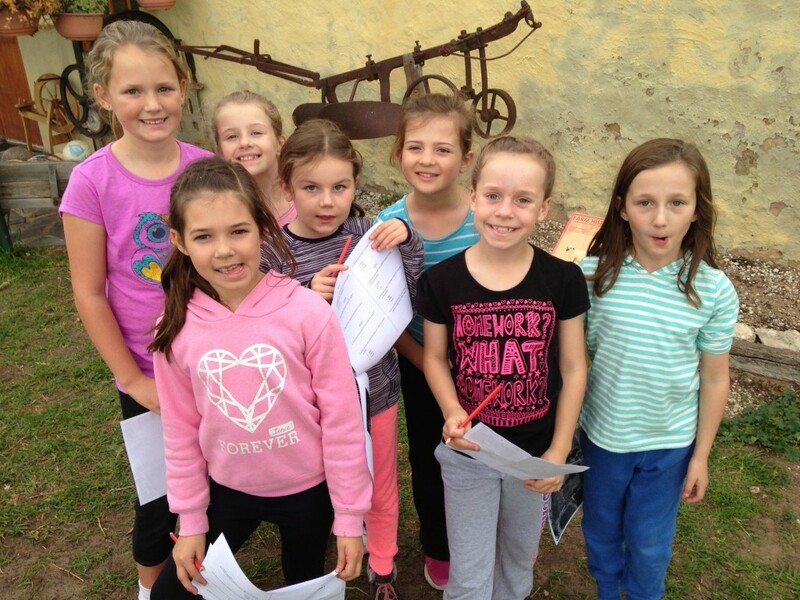 We’d like to wish all of our Year 3, 5 and 7 students all the best for their NAPLAN assessments. 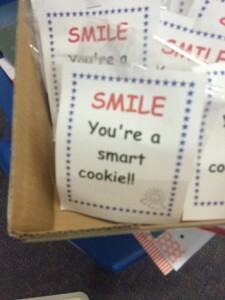 Remember – just try to do your best! 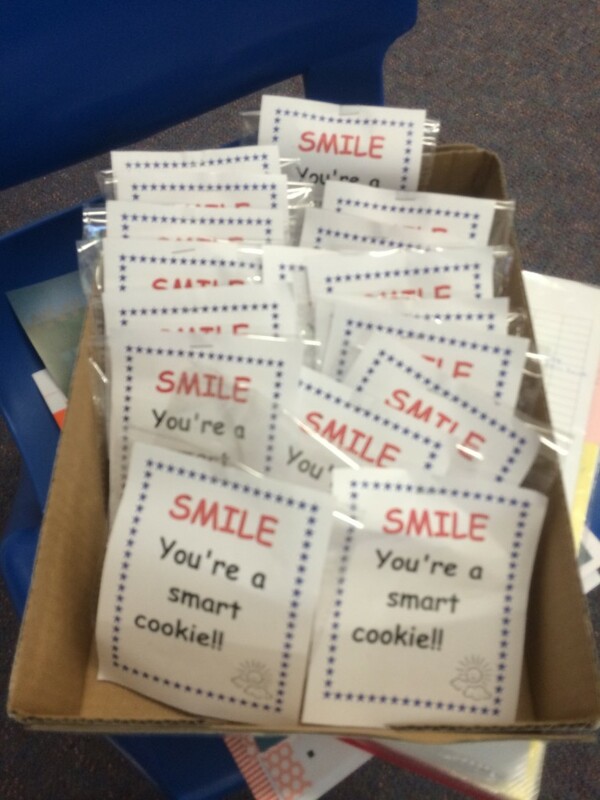 Here’s a special surprise for our Year 3 students as they finish their tests. 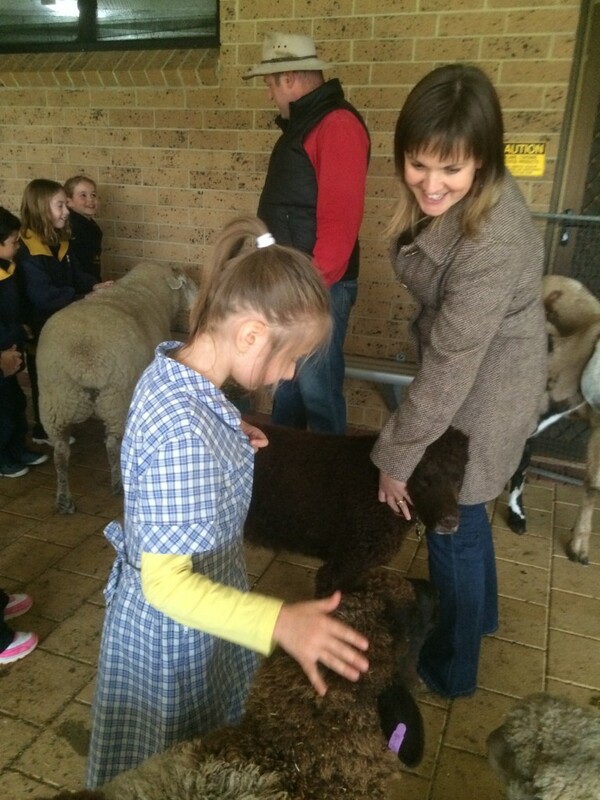 We’d like to wish all of our wonderful Mums a wonderful Mother’s Day! We hope you have a lovely day and enjoy the presents we’ve made and bought for you. 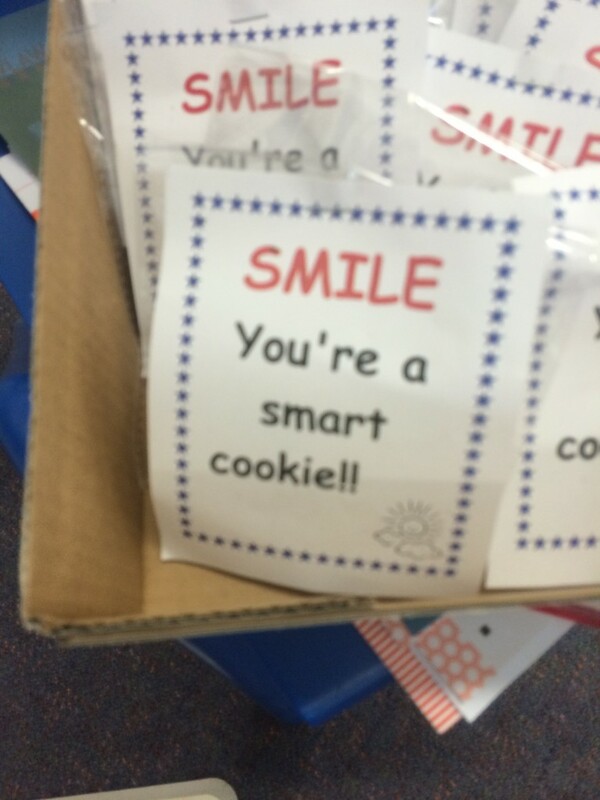 Look out we’re going to spoil you today. 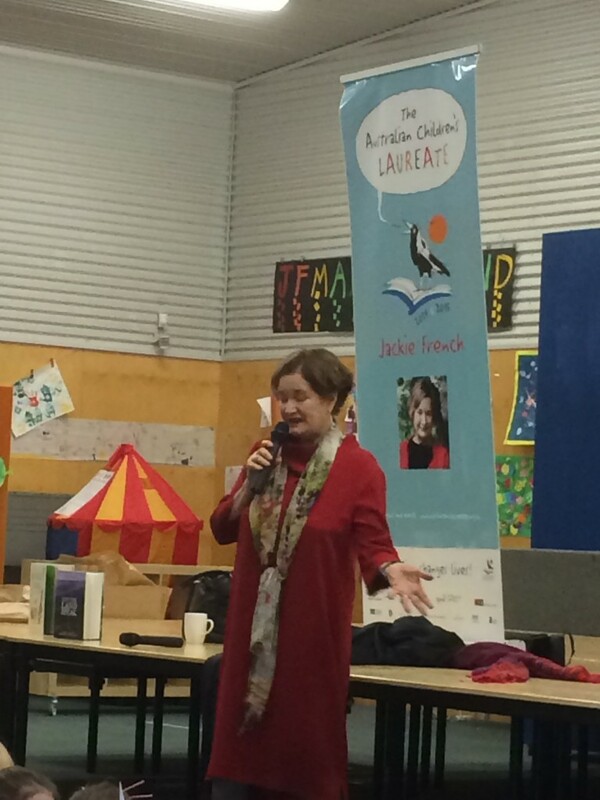 Today we all met the famous Australian author Jackie French. 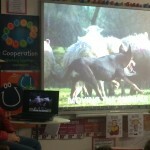 We LOVED learning all about her books and her special interest in wombats. 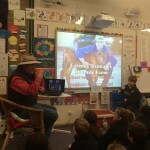 She told us some amazing stories about the wombats that live near her home and how her experiences with wombats has lead to them featuring in many of her books. 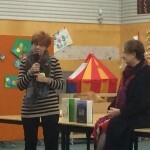 Jackie has written over 160 books for people of all ages. 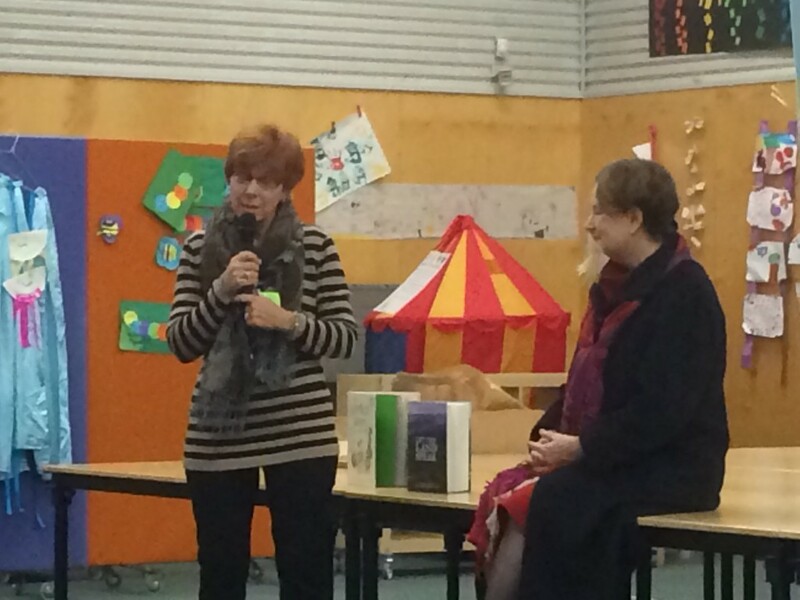 ‘taste’ lots of different styles and topics in books – you’ll find just the right ‘flavoured’ one for you! 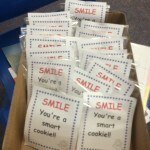 read read read and read!!! 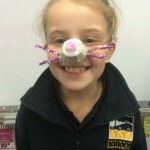 Today’s visit also happened to be National Hairy Nose Day and we all wore our wombat whiskers to celebrate the day. 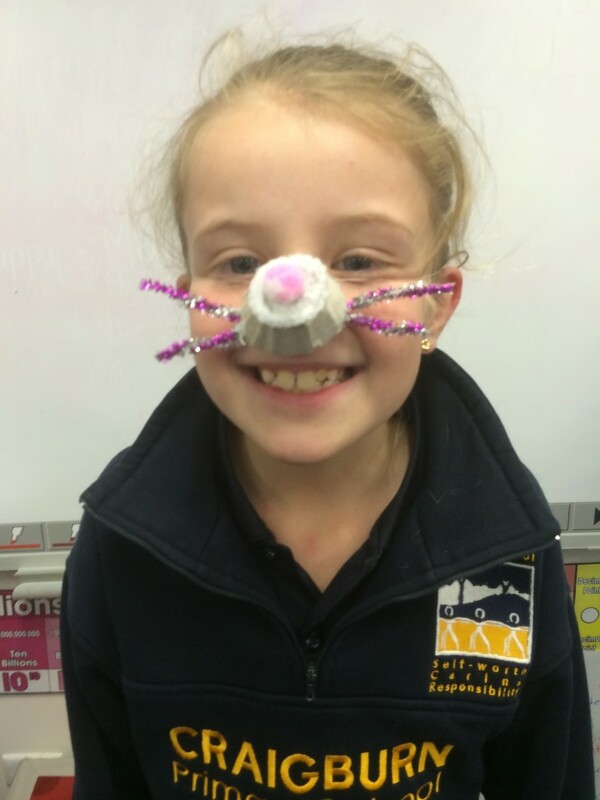 Jackie thought we all looked amazing and was really impressed with our whiskers. 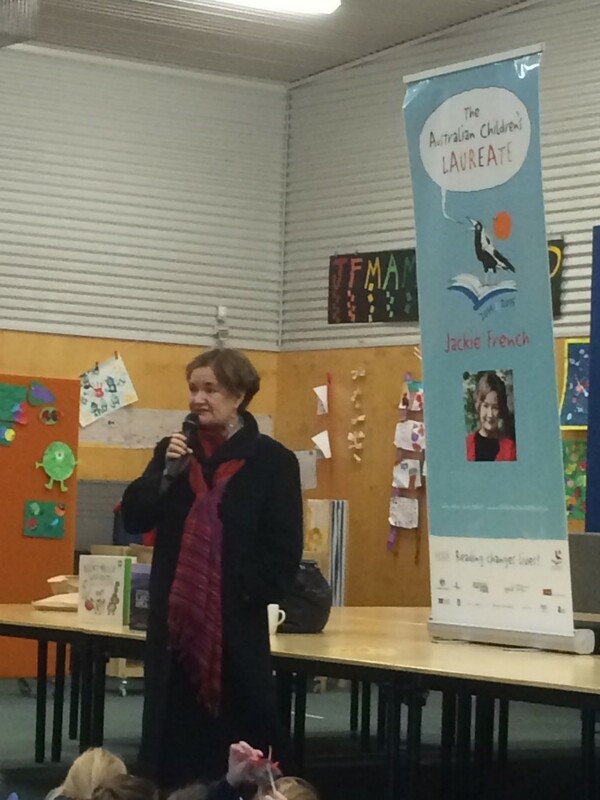 Tomorrow we are very excited to have the author Jackie French visit our school. 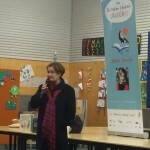 Jackie has written many books and we’ve loved reading lots of them at school. 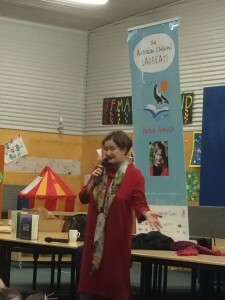 Jackie loves to write children’s fiction books and gardening books. 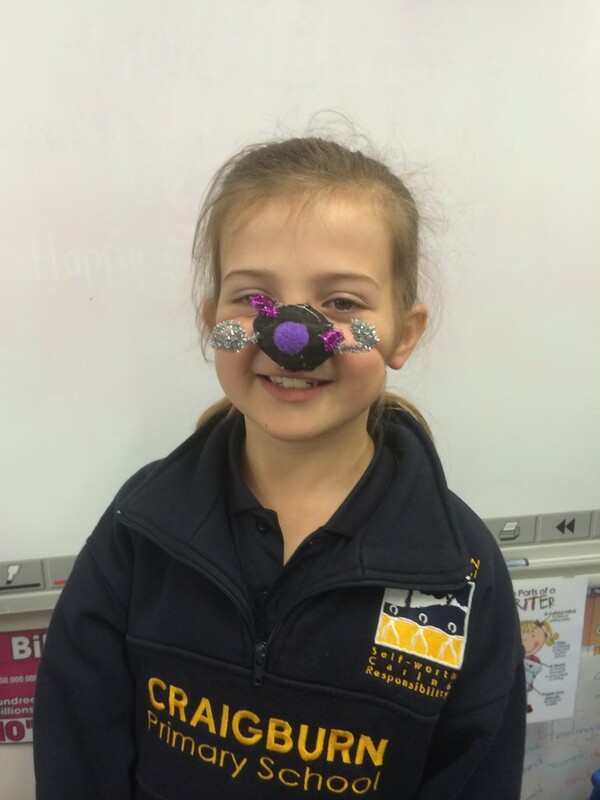 One of her favourite topics is wombats and she has written many books about them or had them as main characters in her stories. 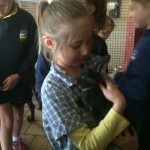 She id the director of the wombat foundation. 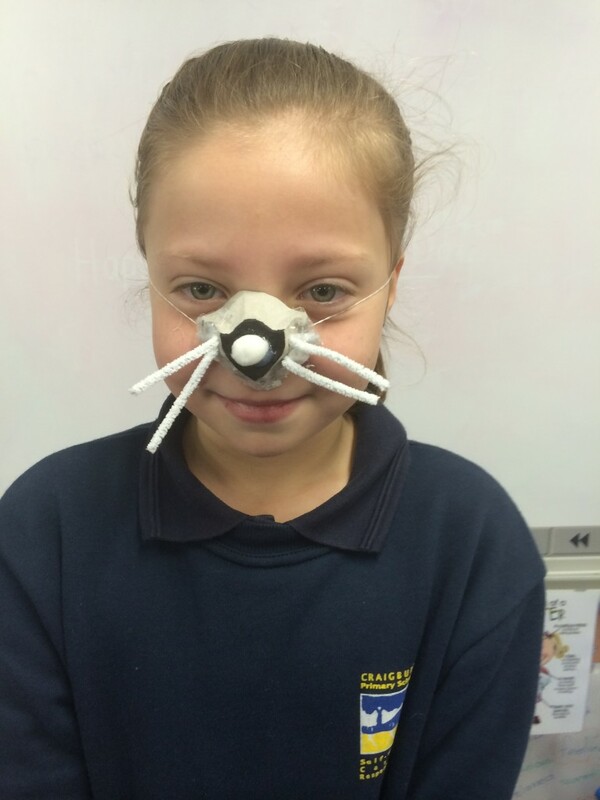 When Jackie visits our school it happens to be National Hairy Nose Day – wear whiskers for wildlife day. 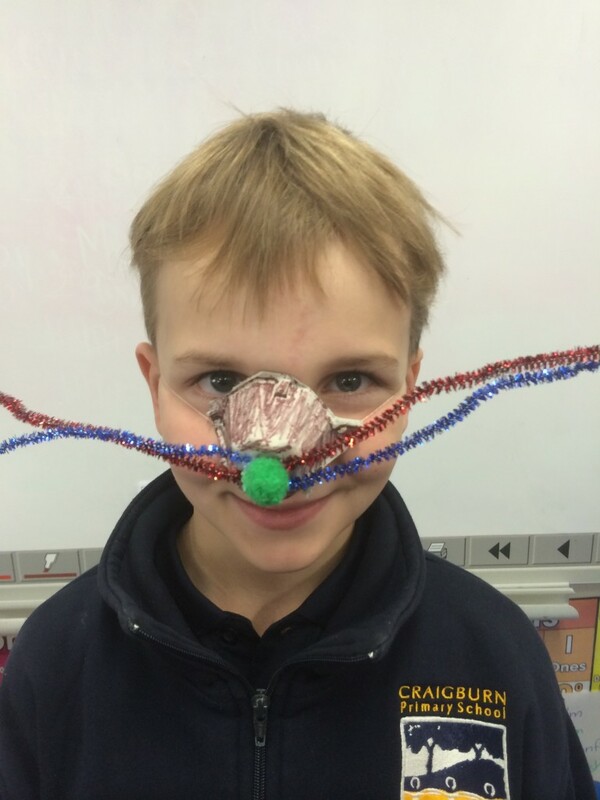 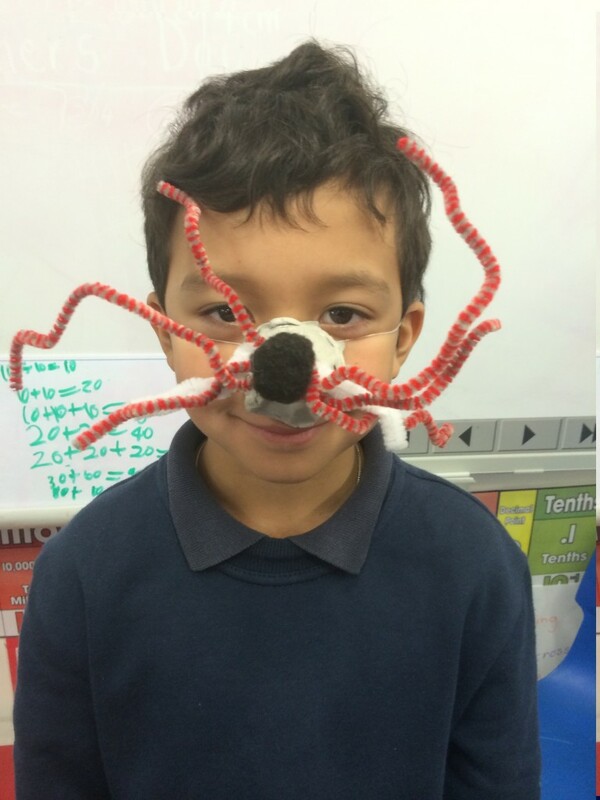 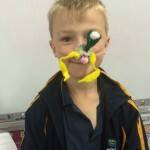 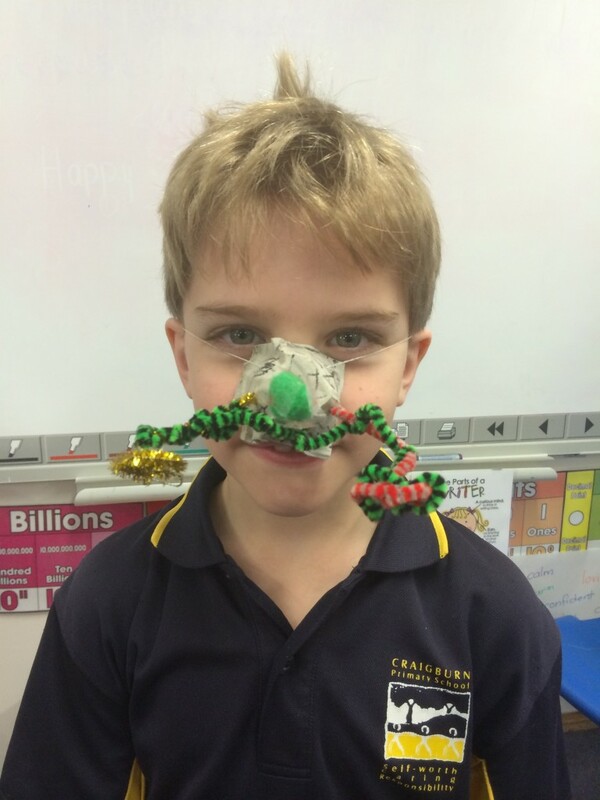 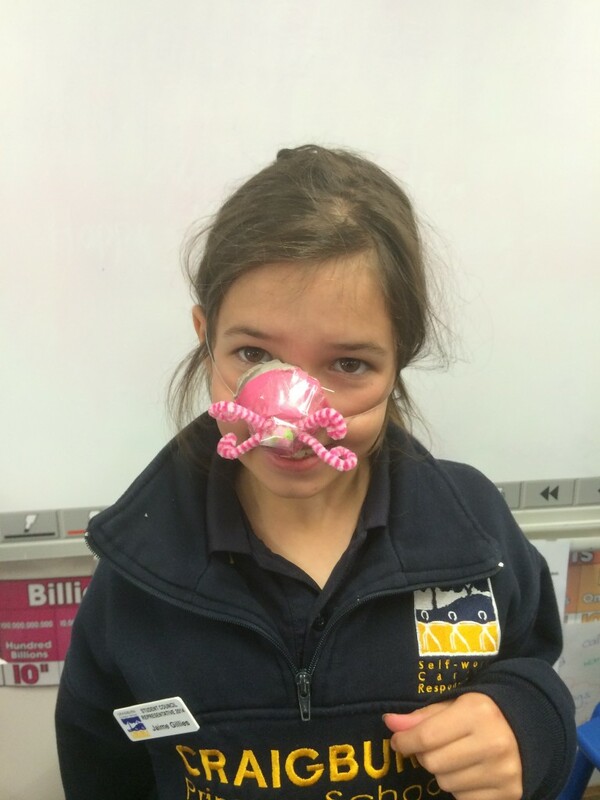 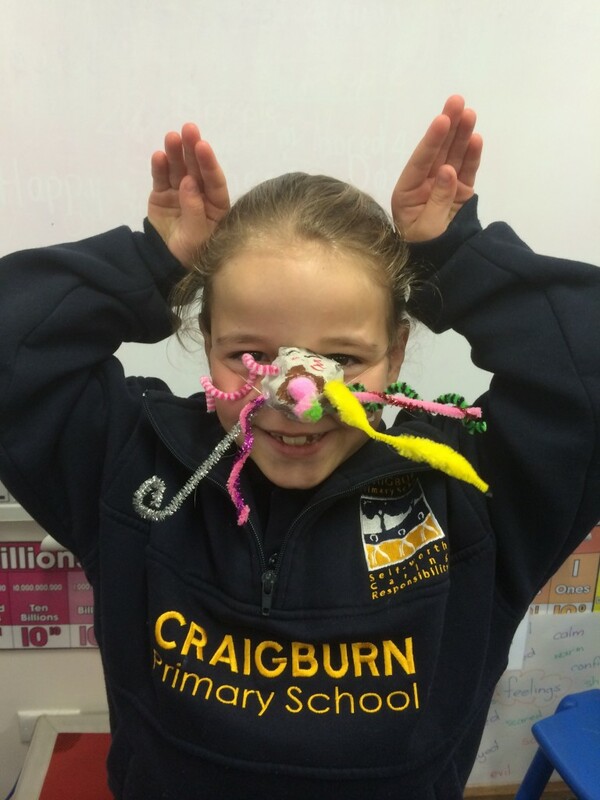 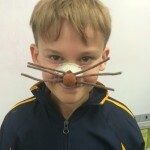 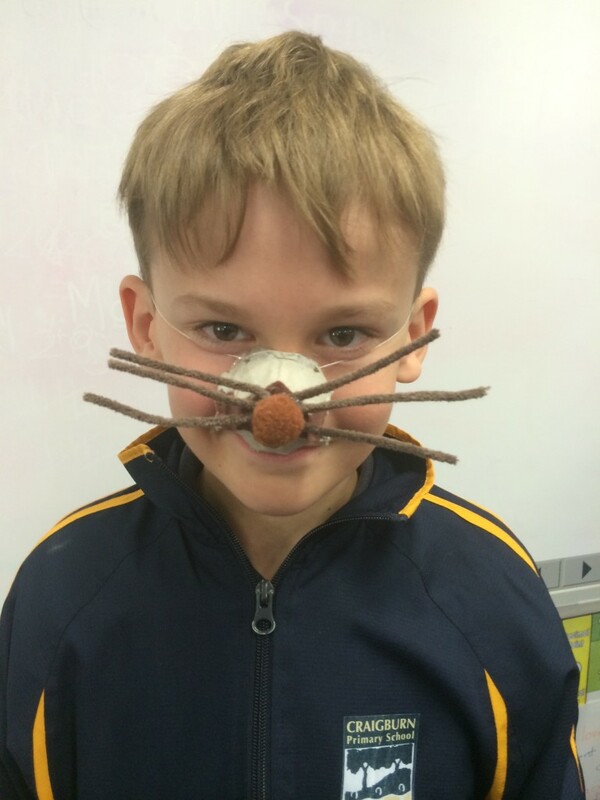 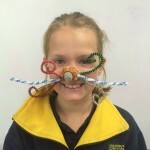 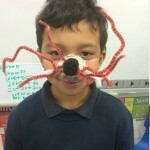 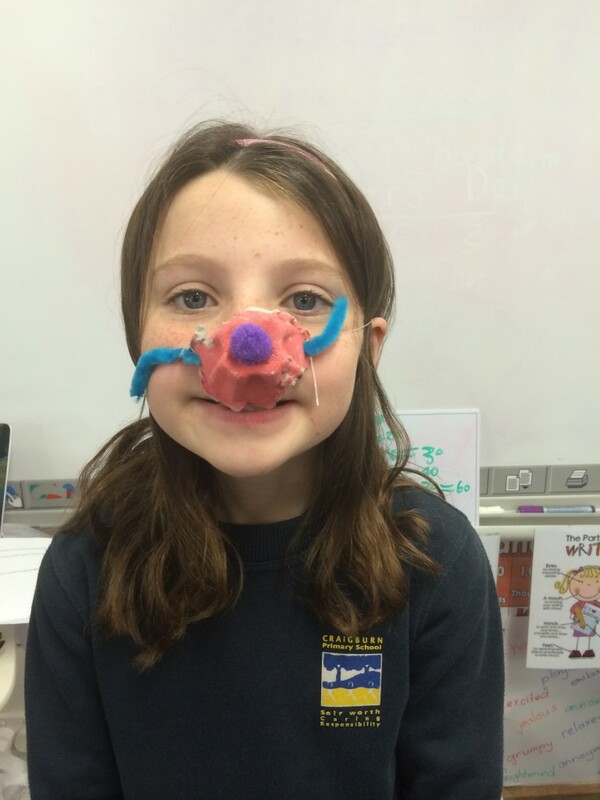 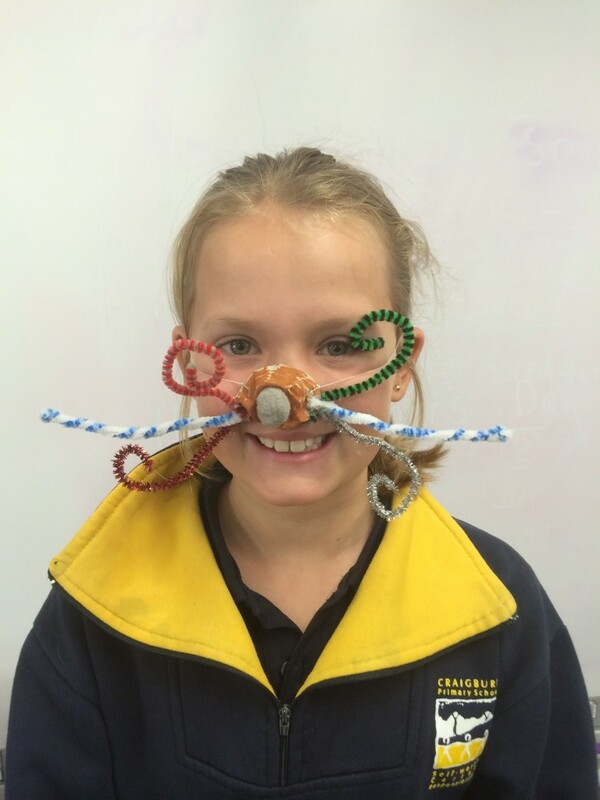 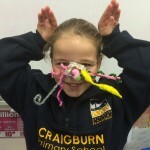 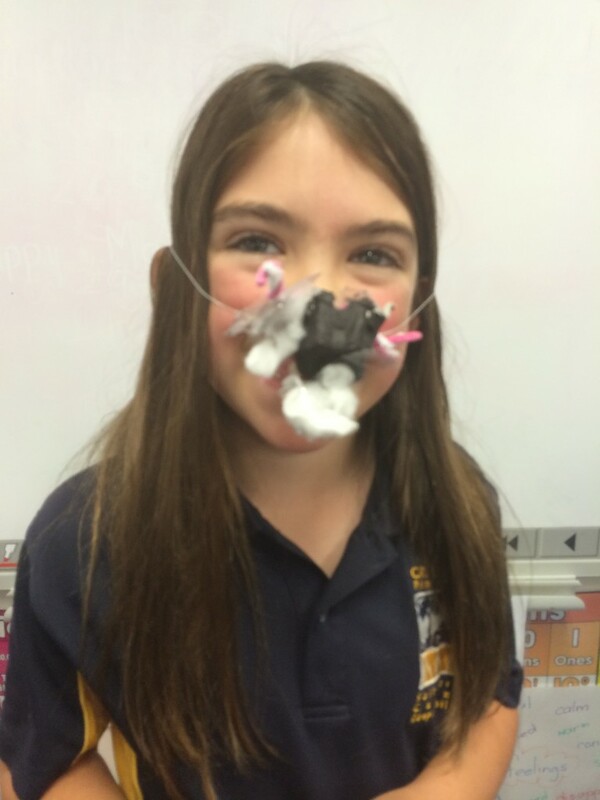 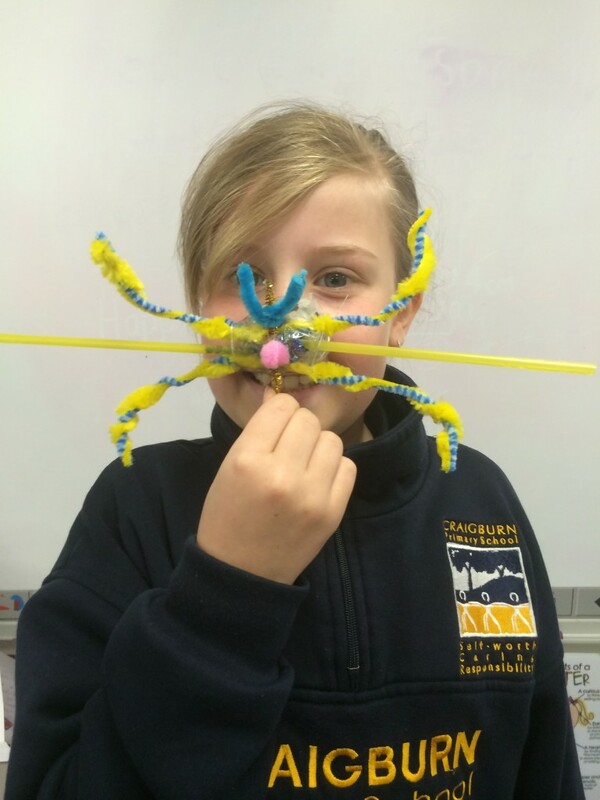 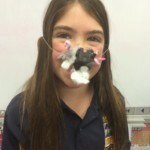 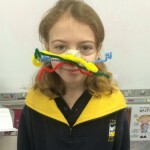 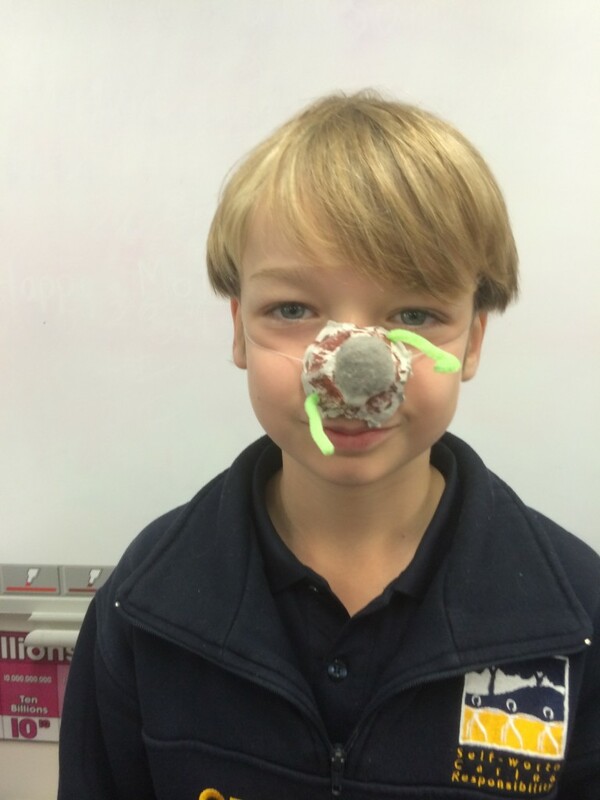 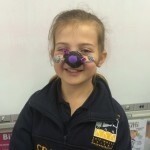 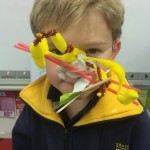 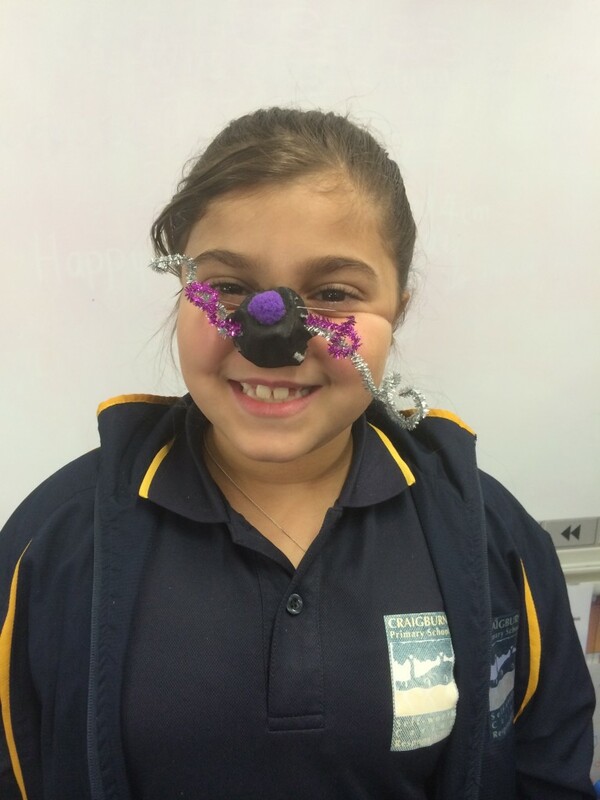 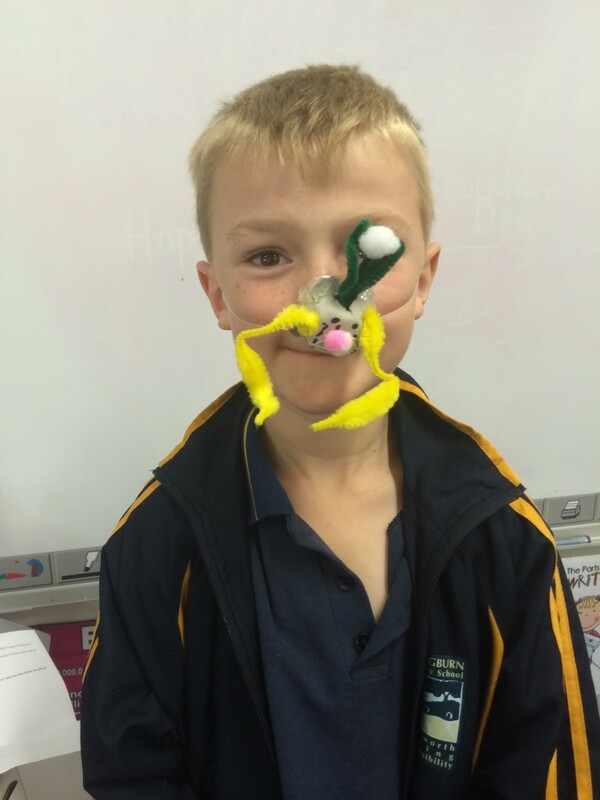 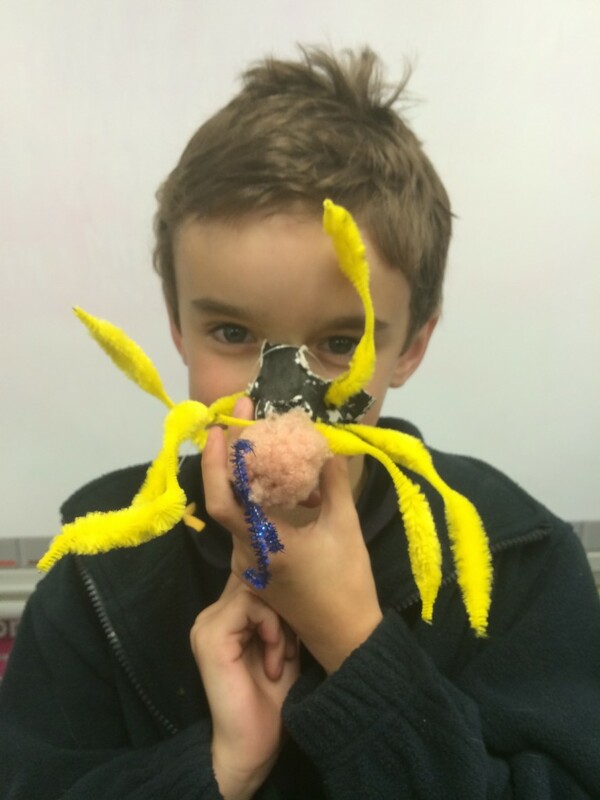 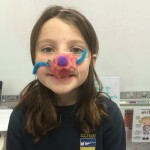 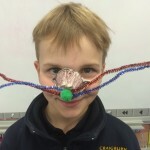 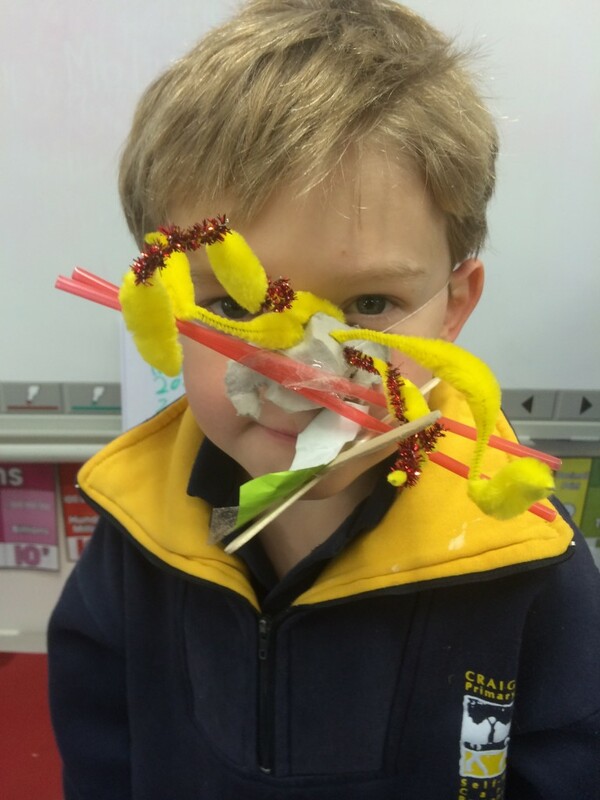 We have all made creative whiskers to wear to Jackie’s presentation. 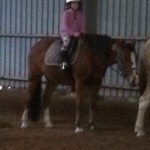 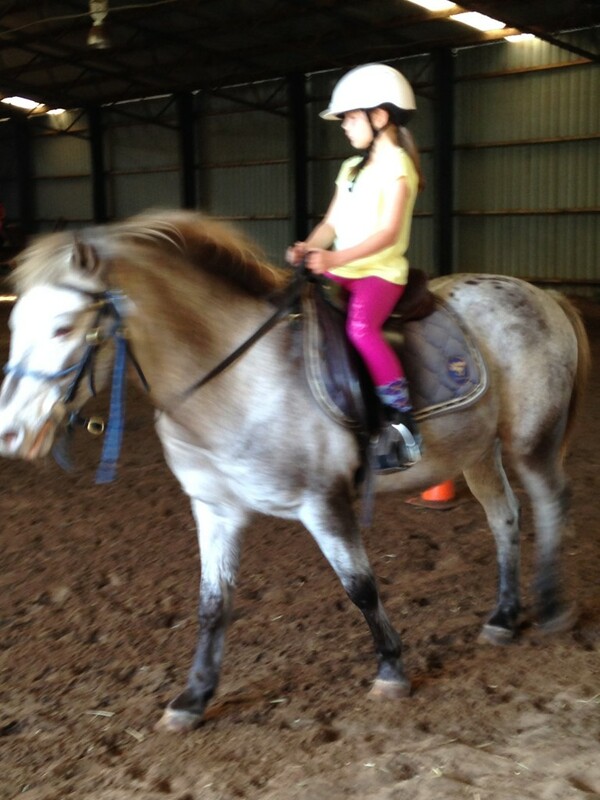 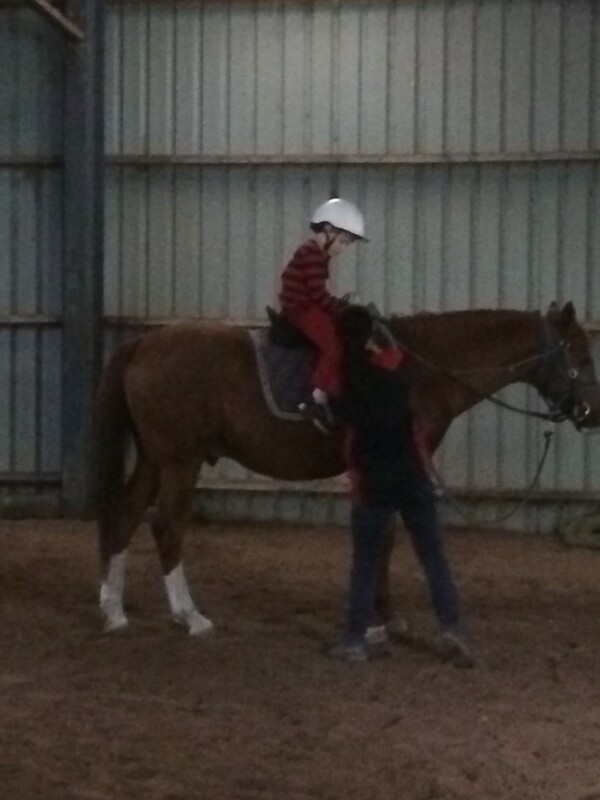 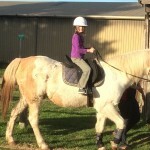 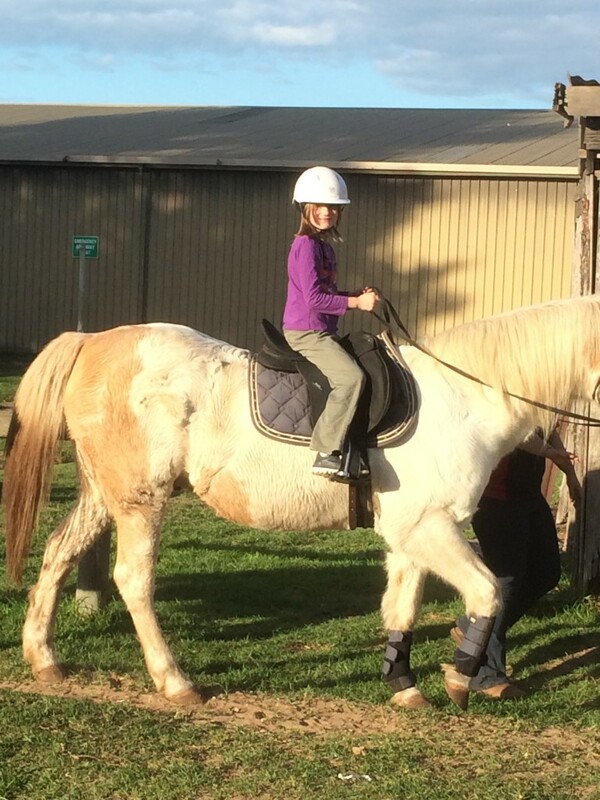 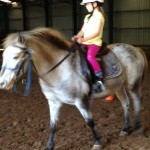 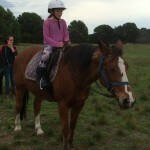 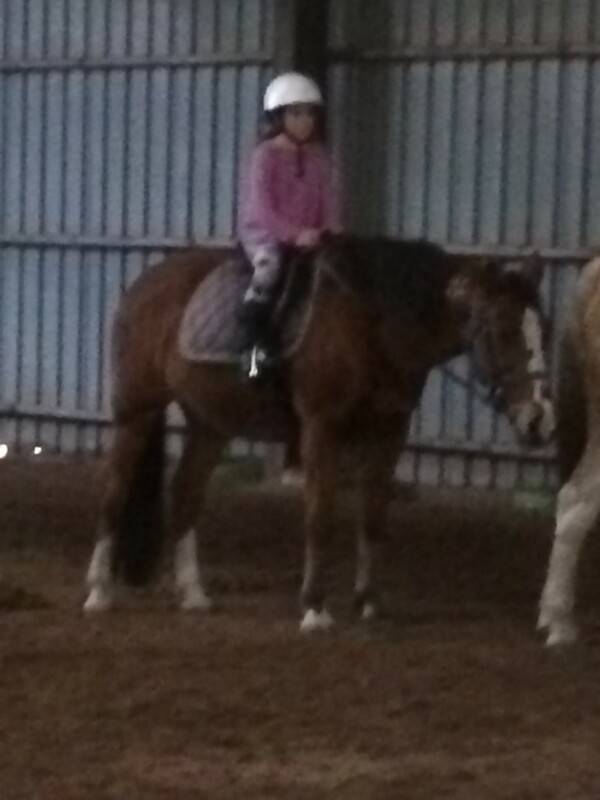 Stay tuned for photos of us with our whiskers on and a report of her visit. 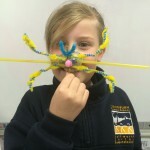 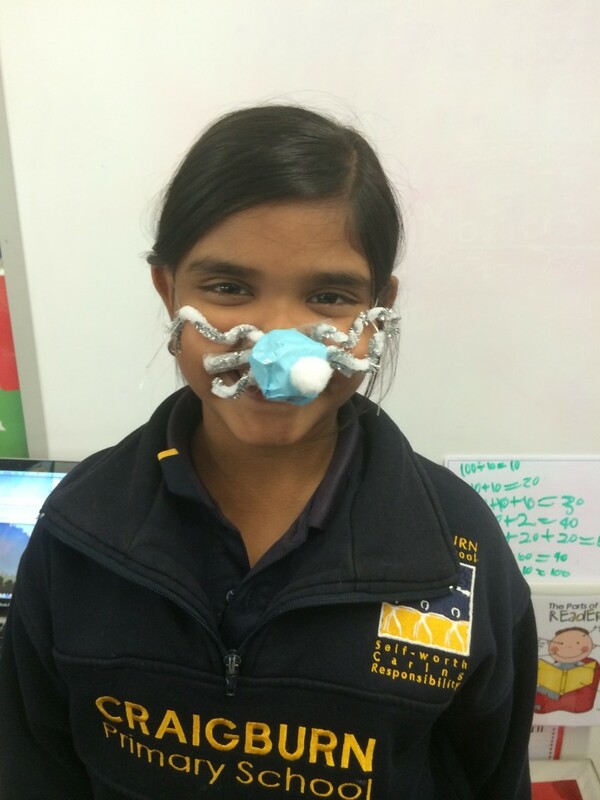 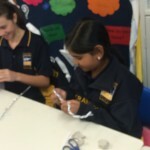 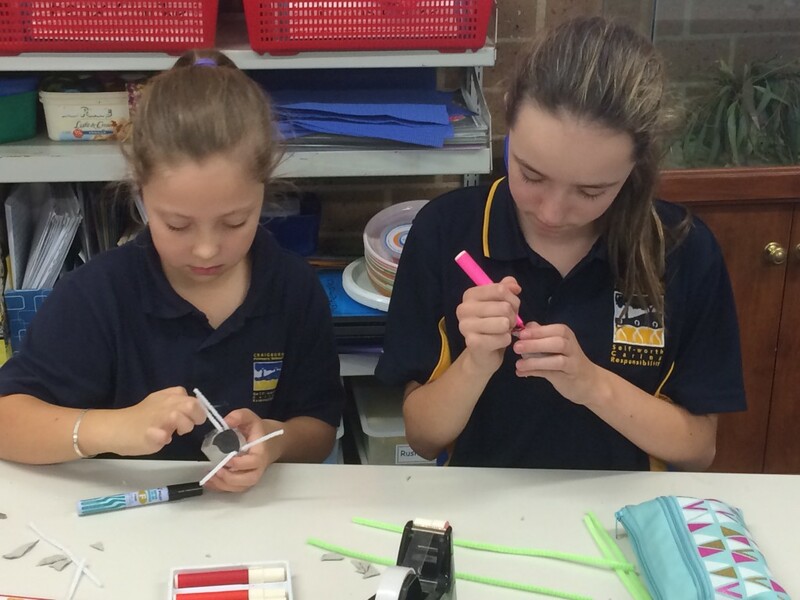 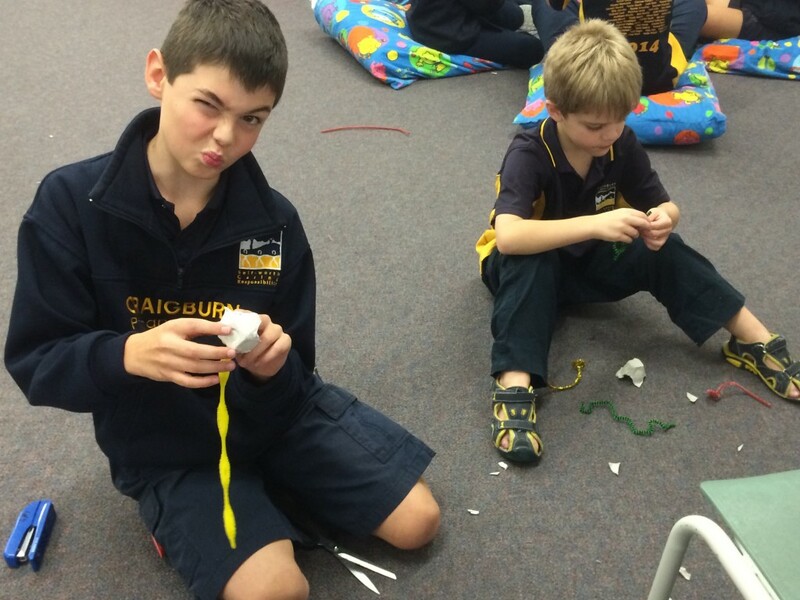 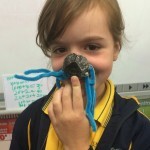 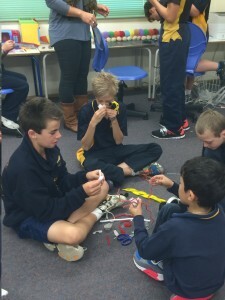 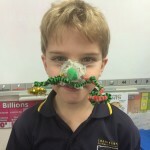 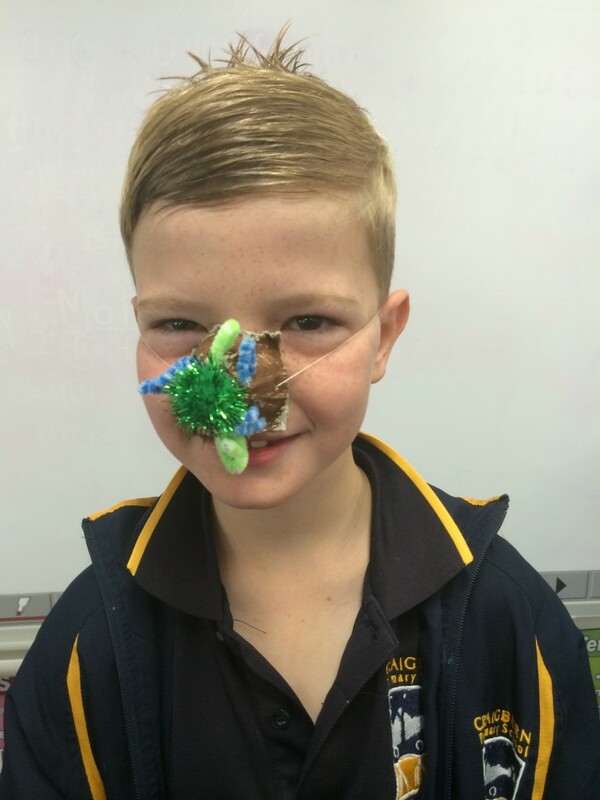 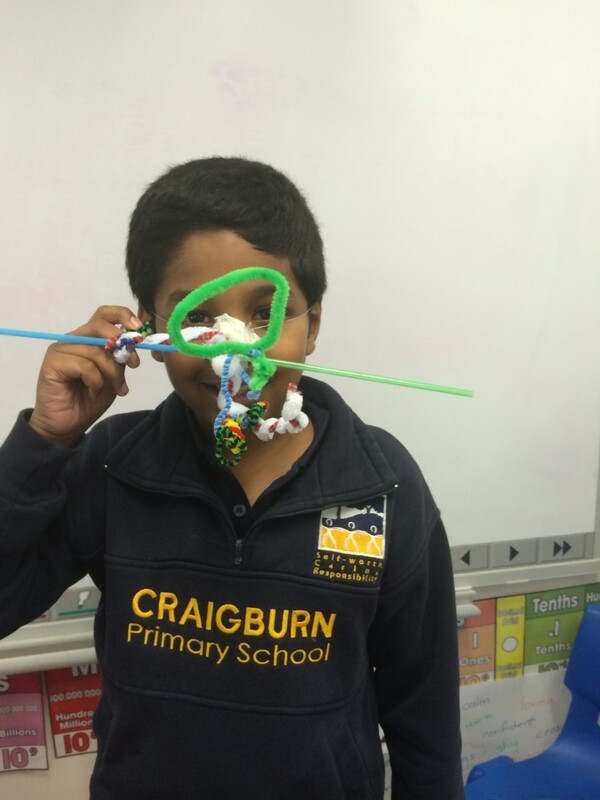 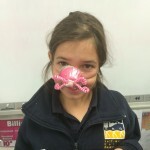 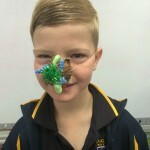 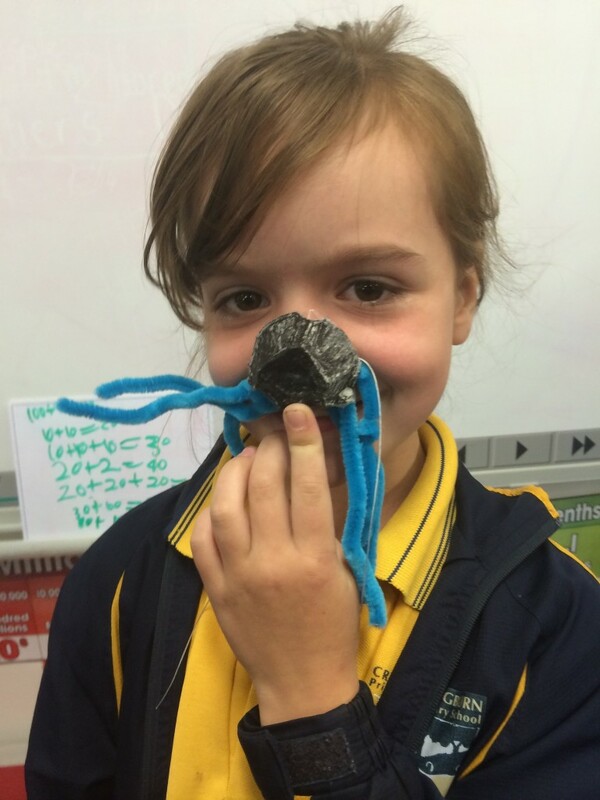 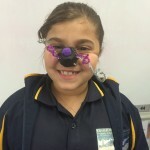 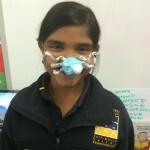 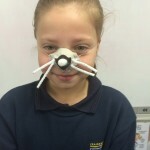 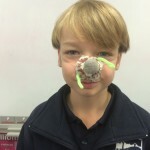 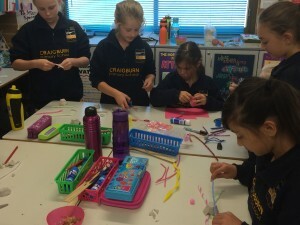 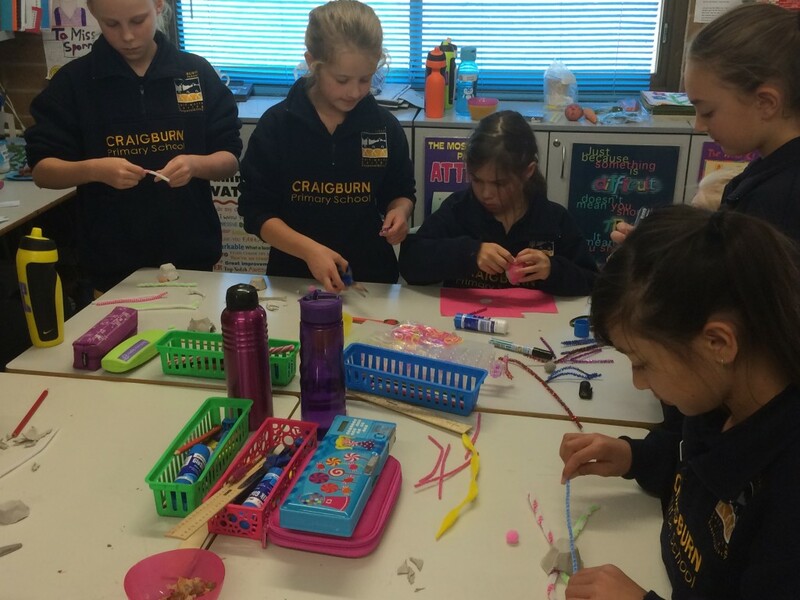 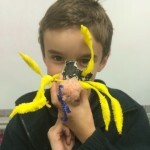 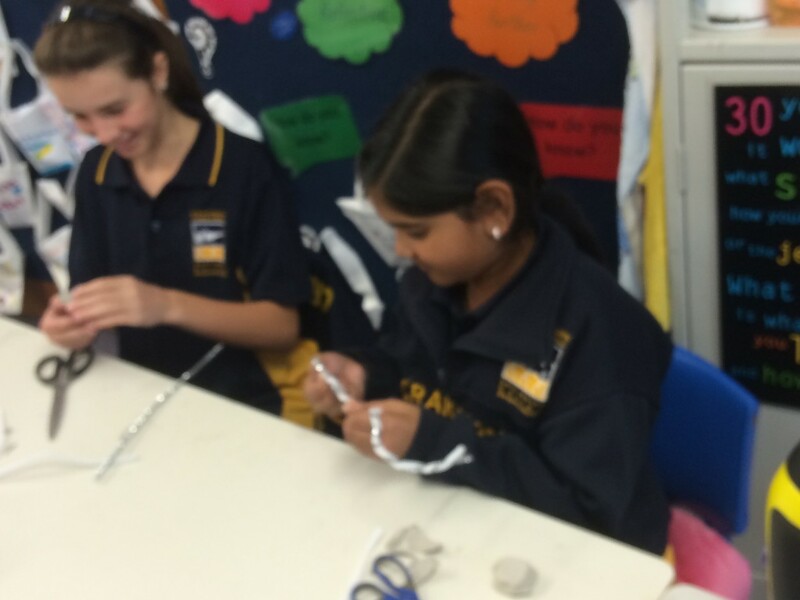 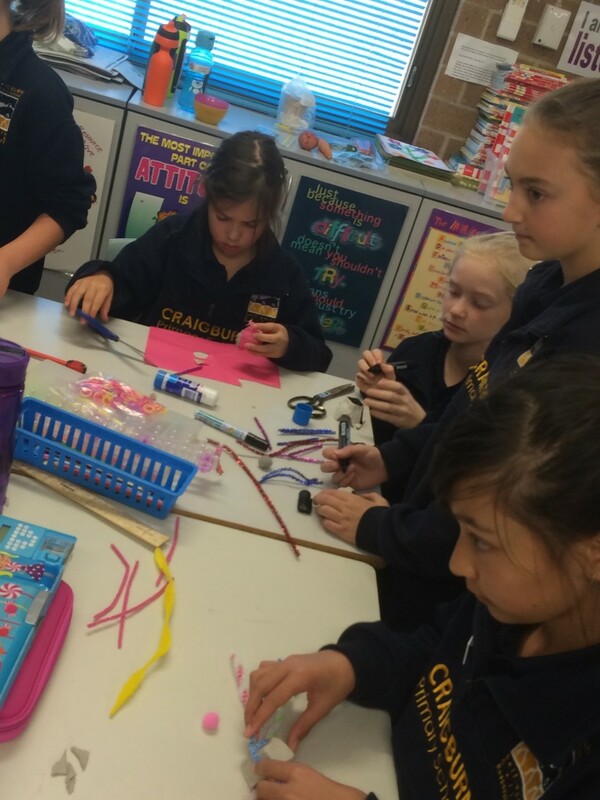 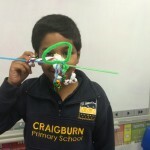 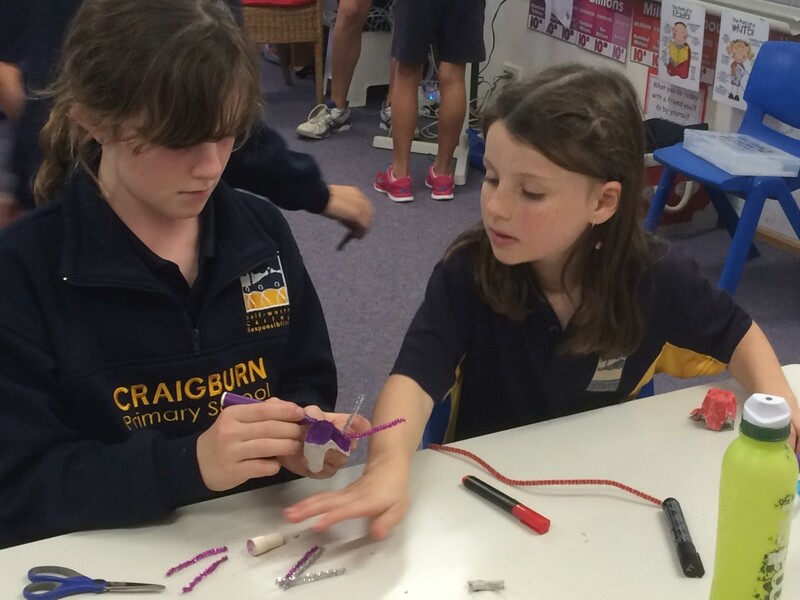 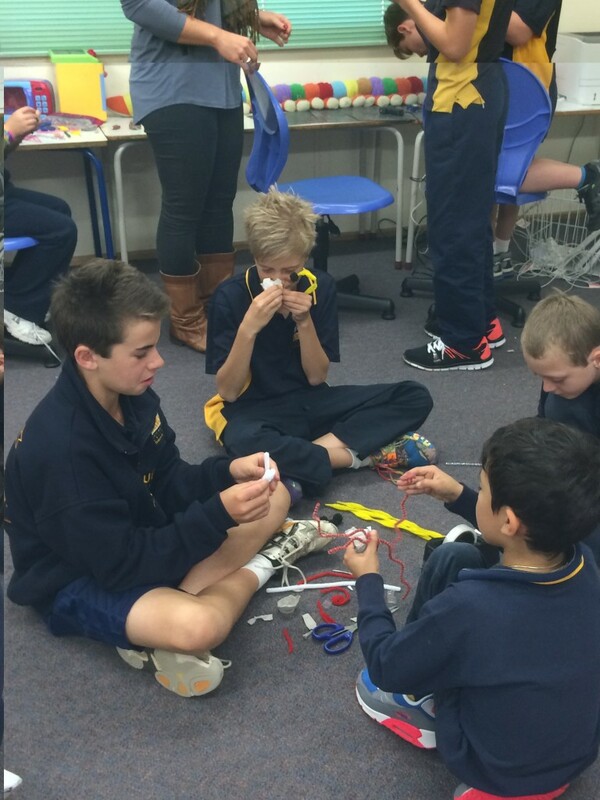 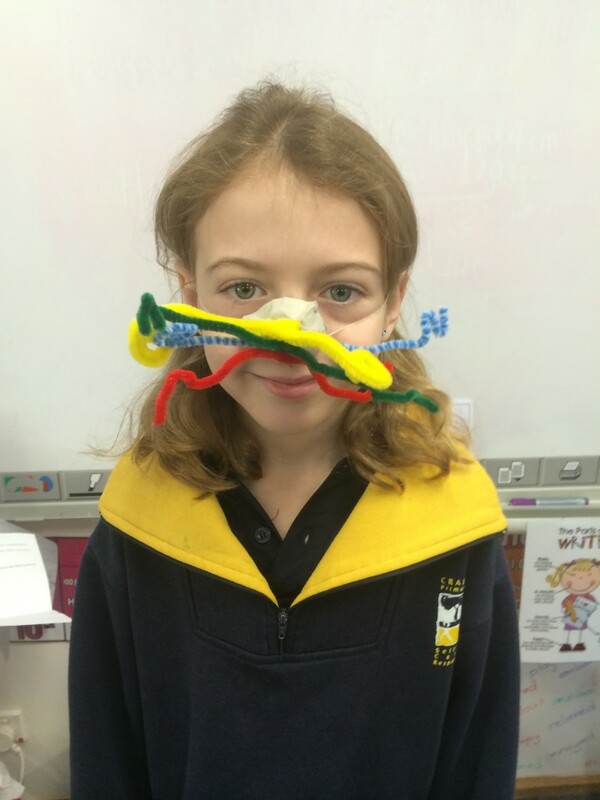 Our Year 6/7 buddies helped us make our whiskers during one of our buddy sessions. 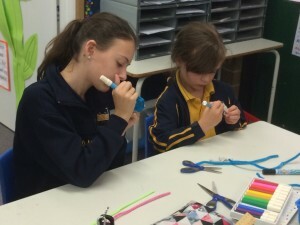 Here’s some photos of the whisker making session.